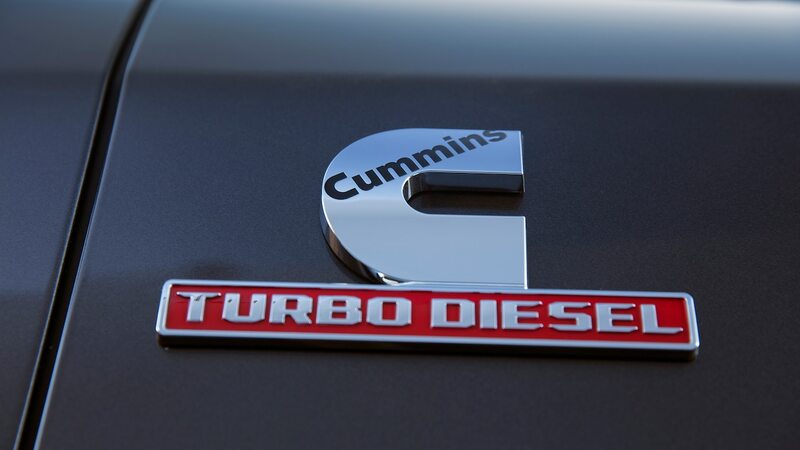 The alternate-reality numbers don’t stop there, of course. 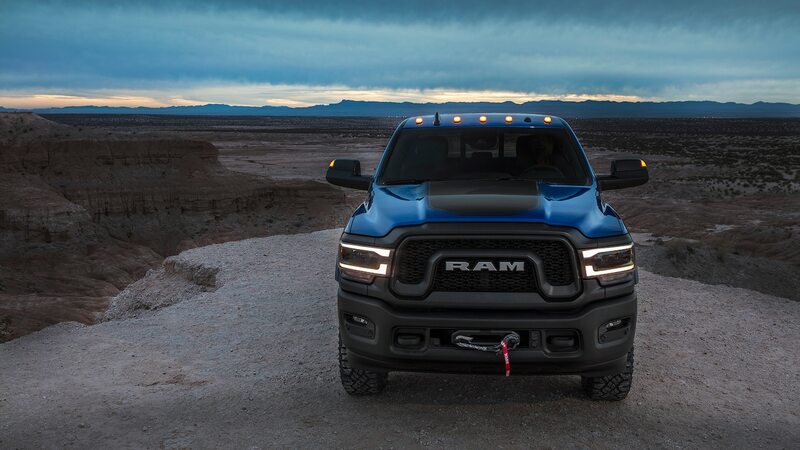 With great power comes great capability, or something like that. 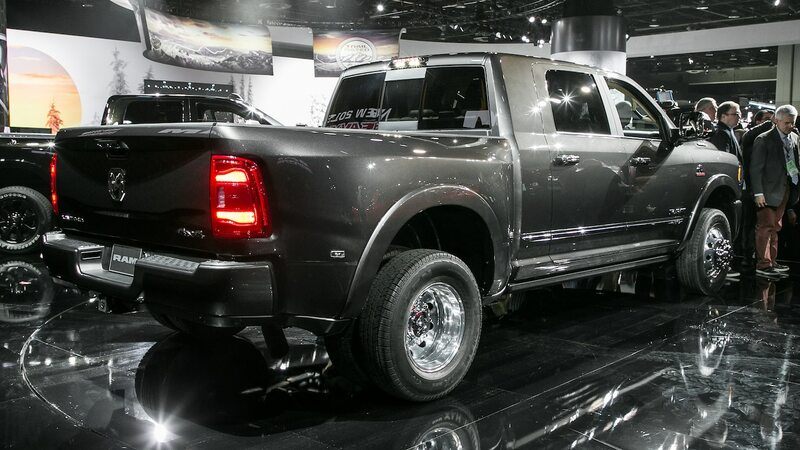 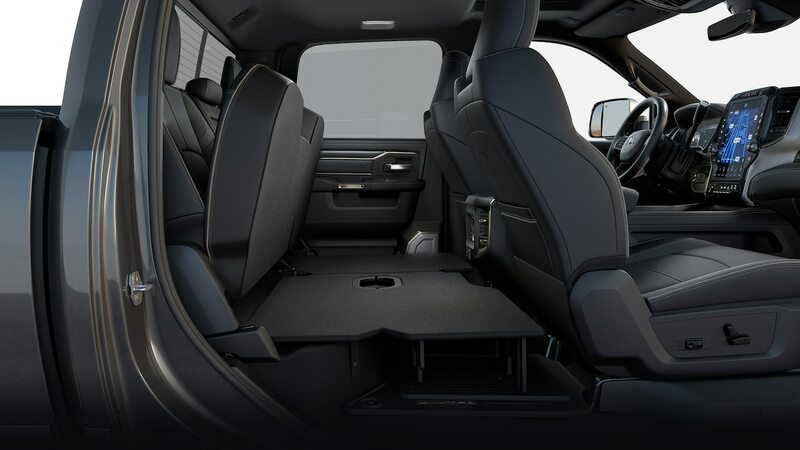 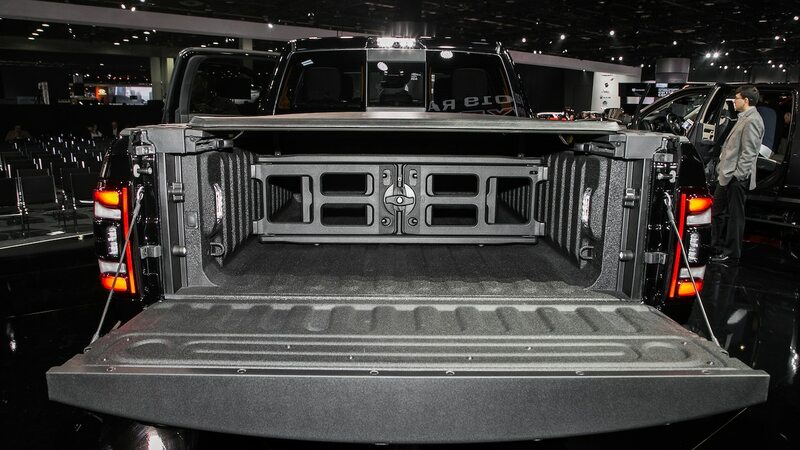 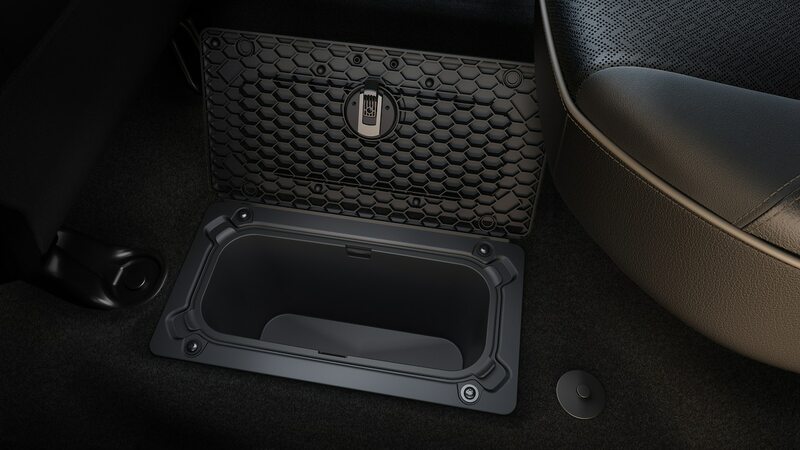 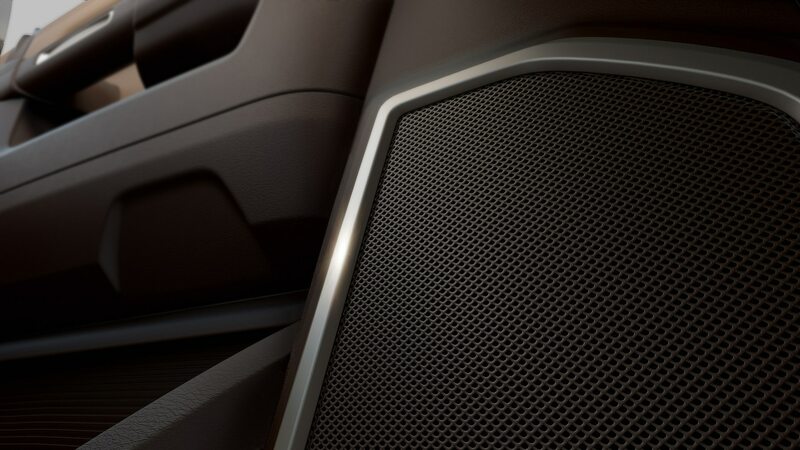 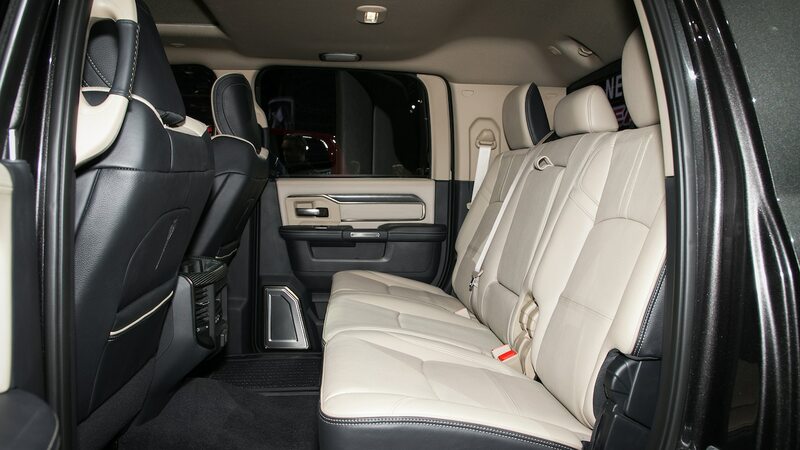 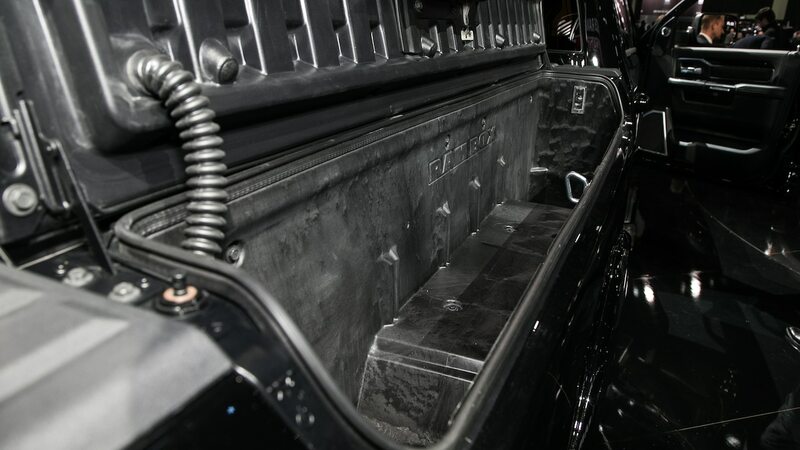 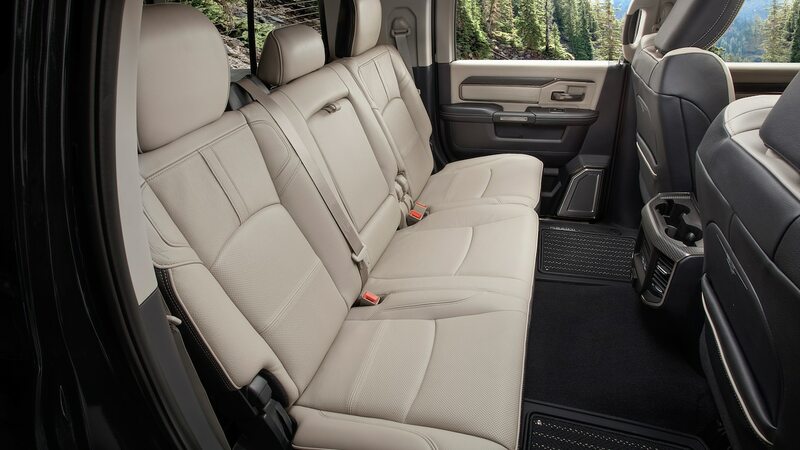 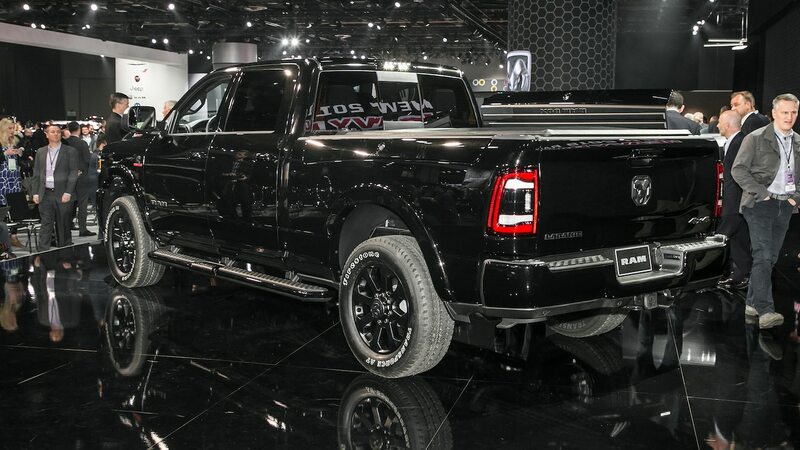 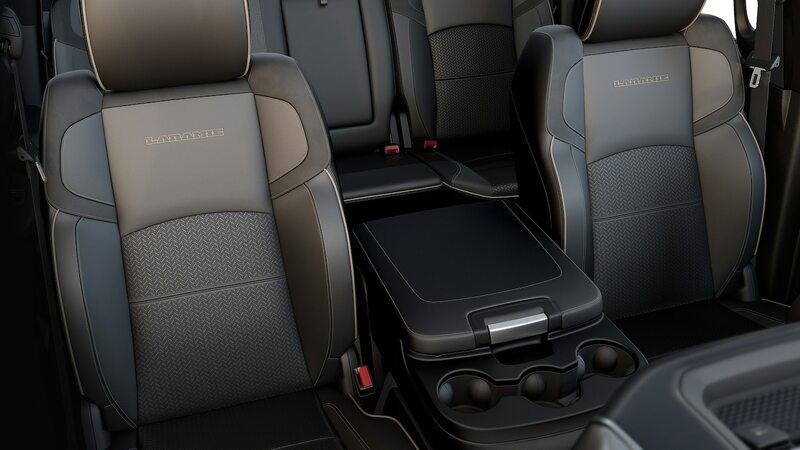 Bolted to a Ram 3500 dually, the monster motor can tow a class-leading 35,100 pounds (16,000 kg). 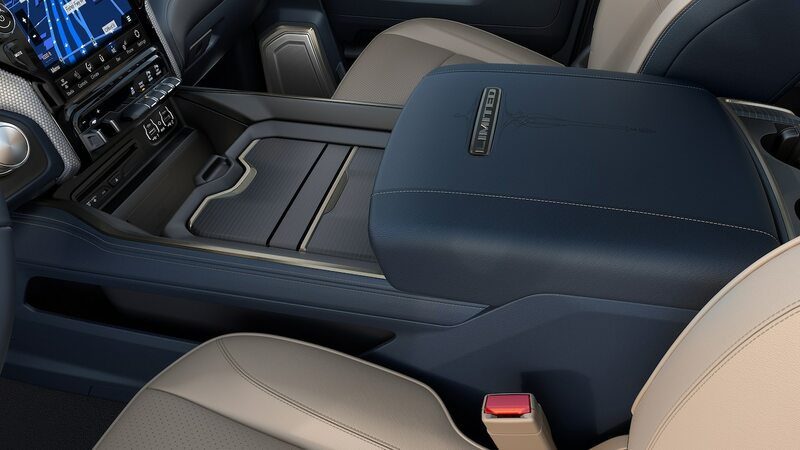 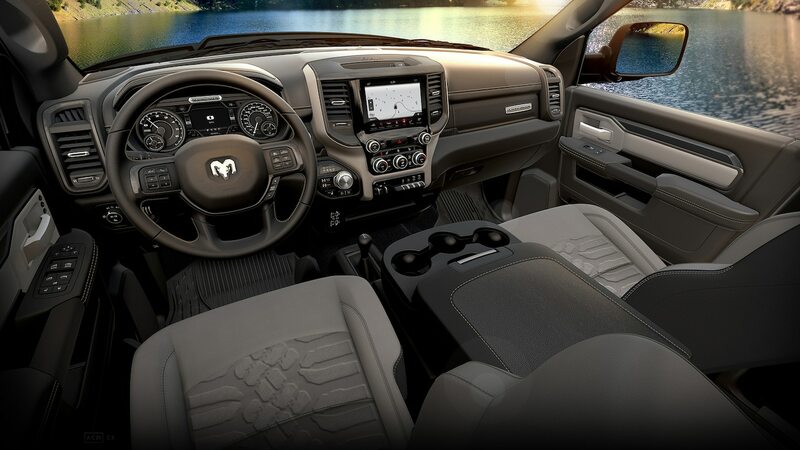 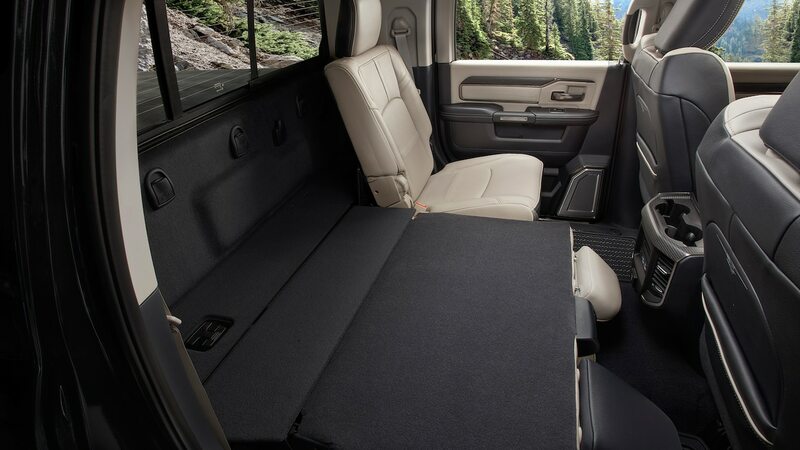 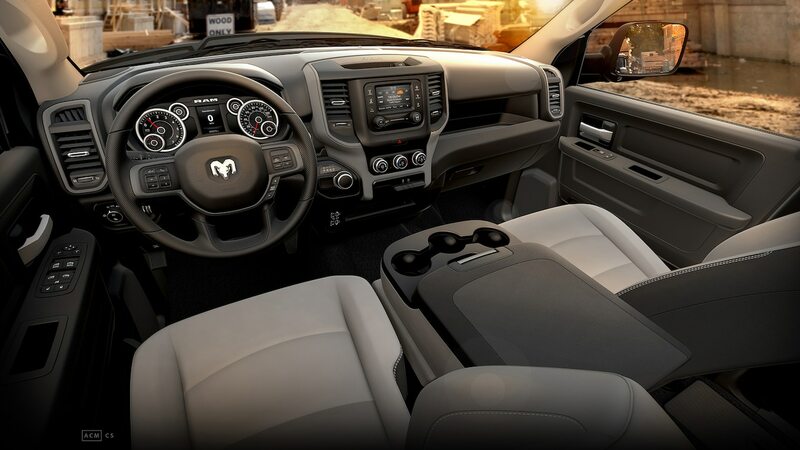 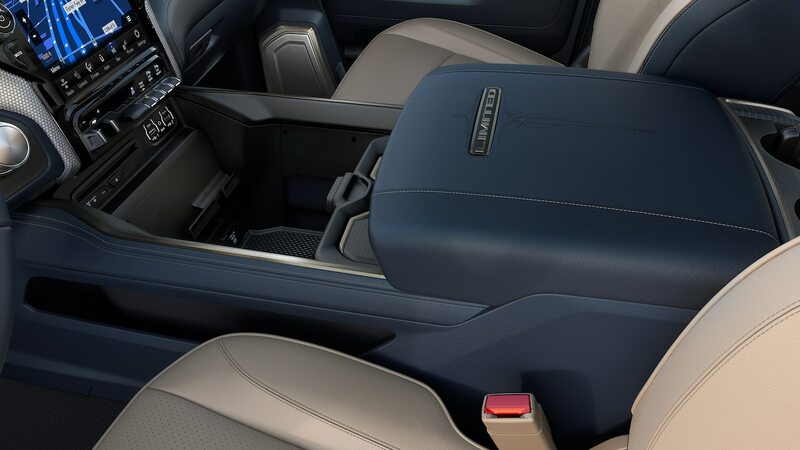 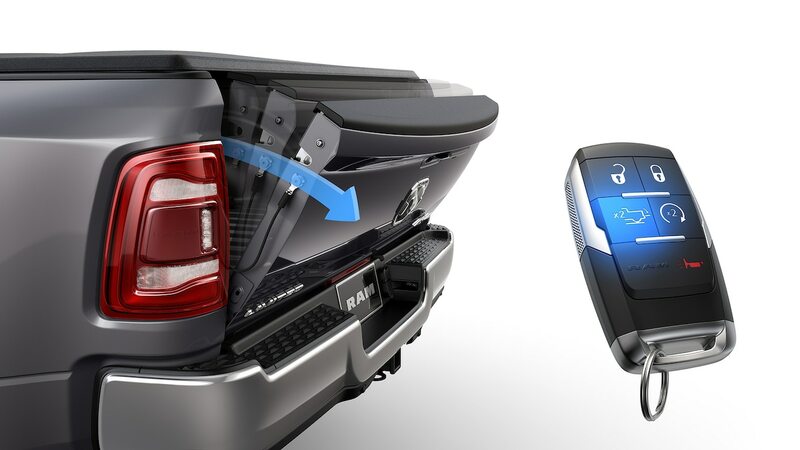 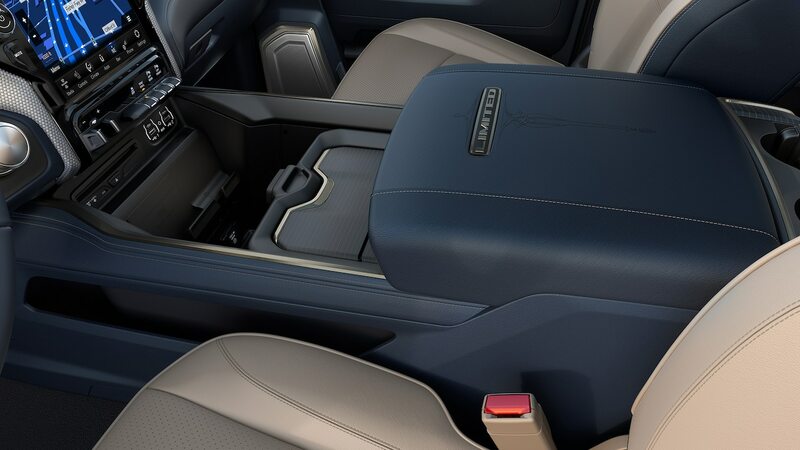 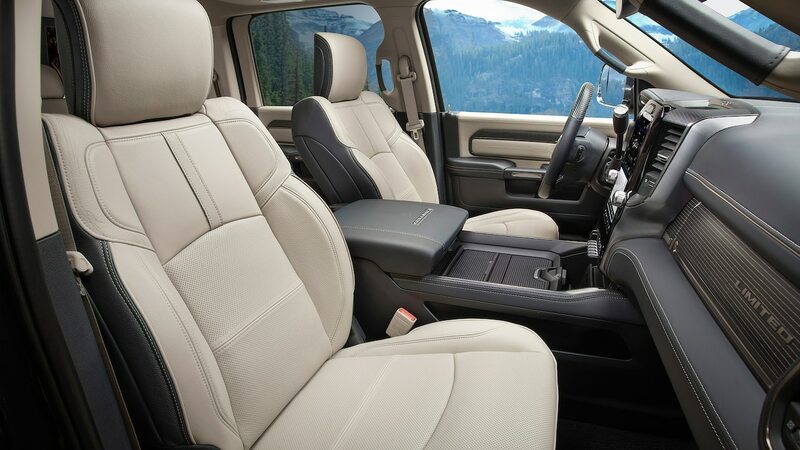 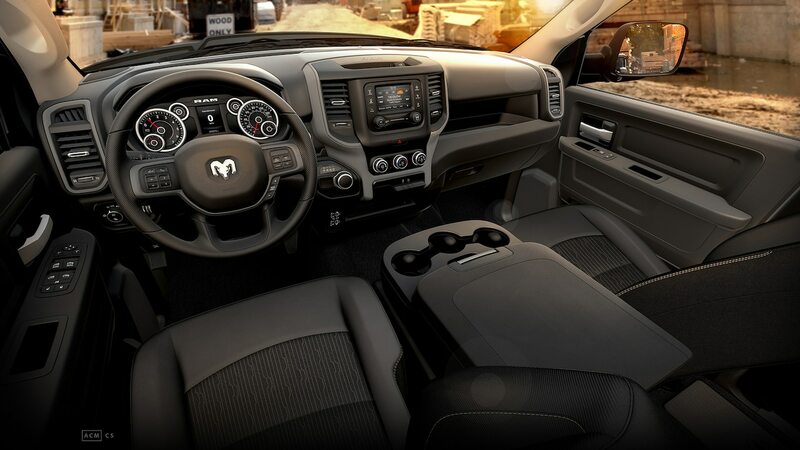 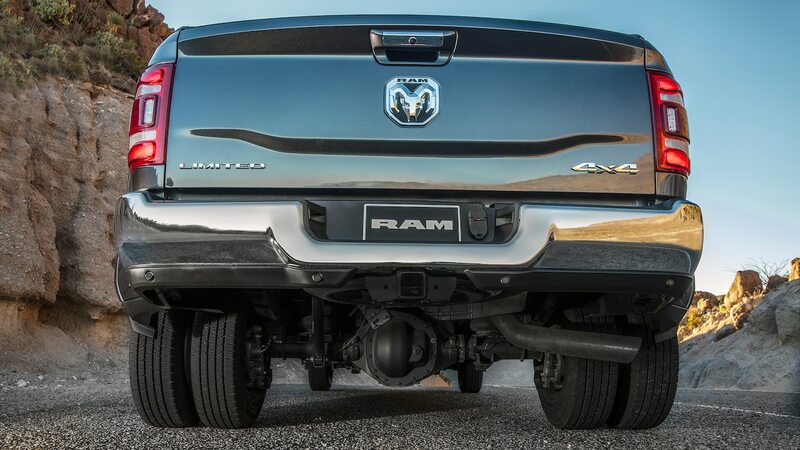 Even in the narrower Ram 2500, it’s no slouch, pulling 19,780 pounds (9,000 kg) on a standard Class 5 hitch. 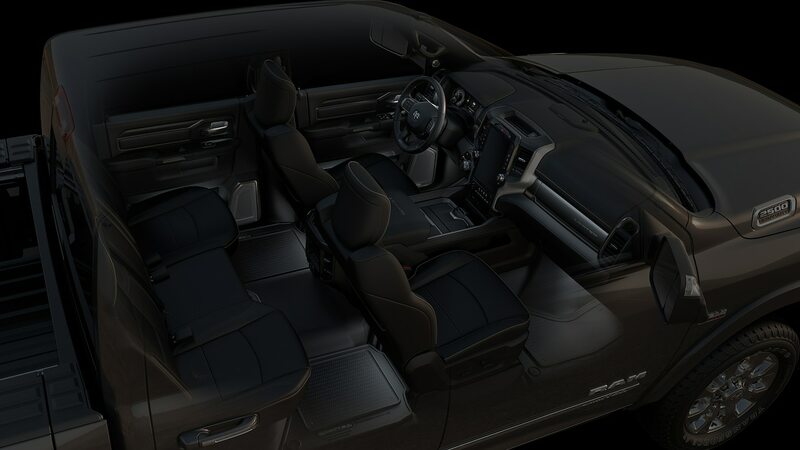 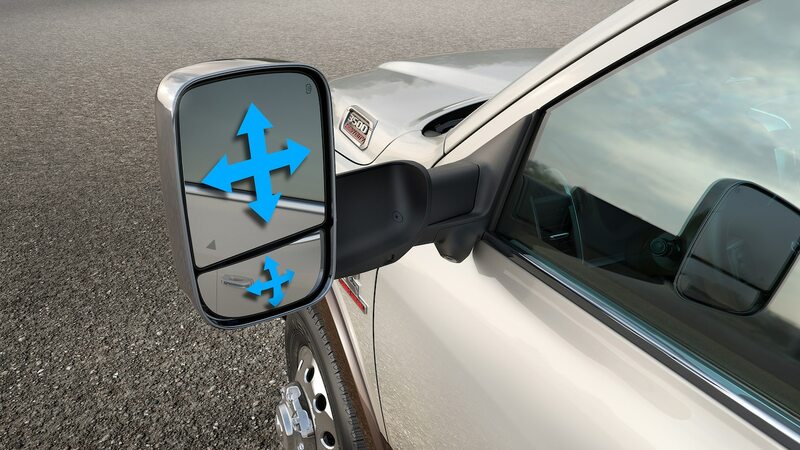 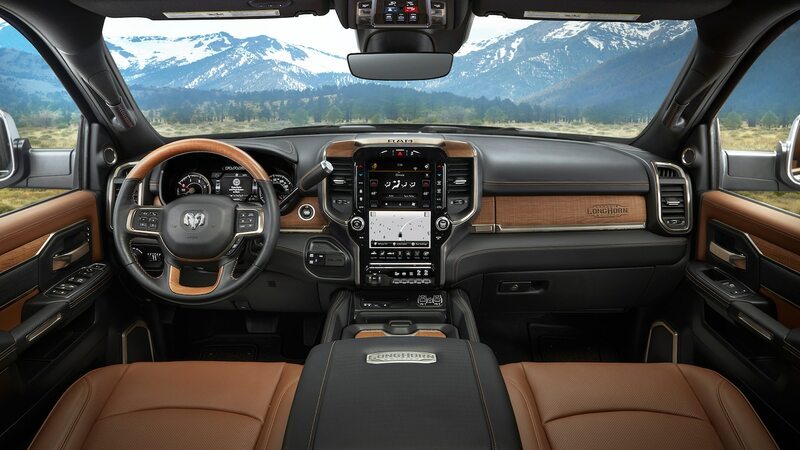 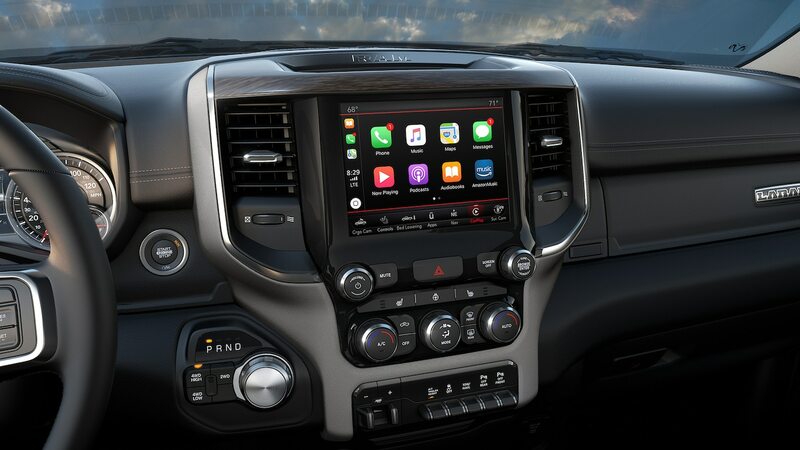 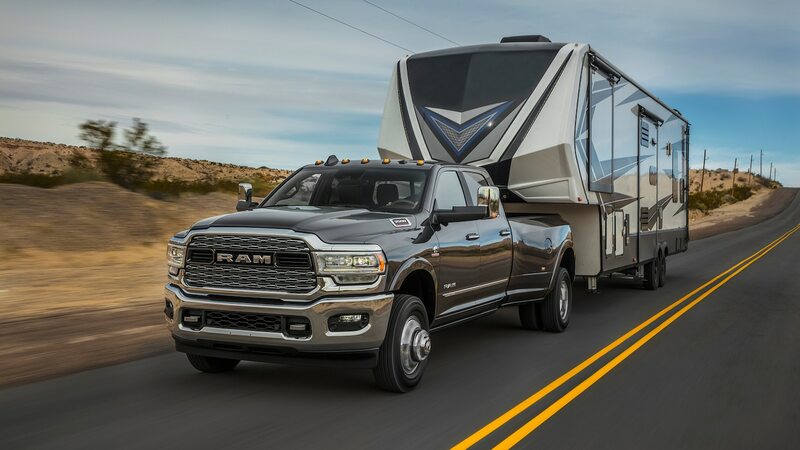 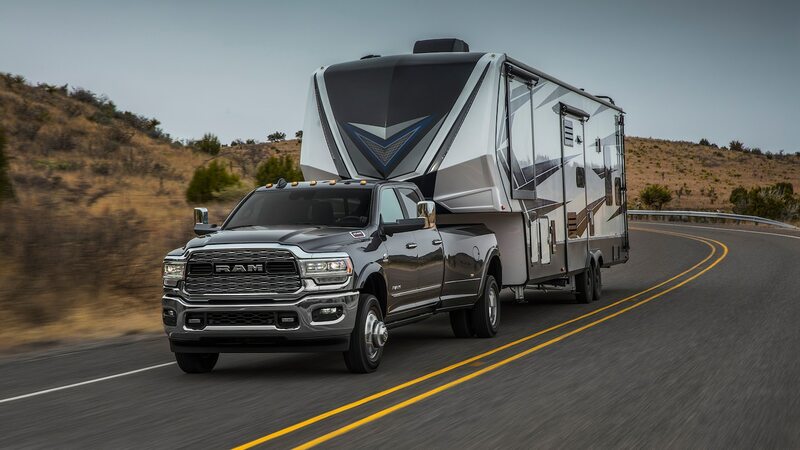 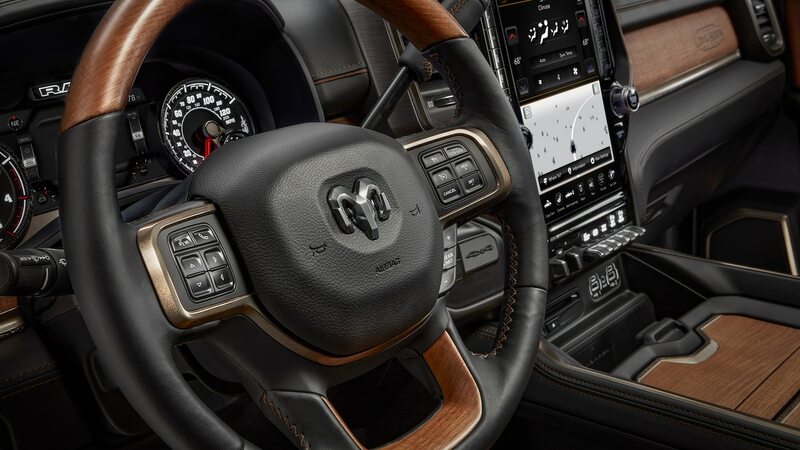 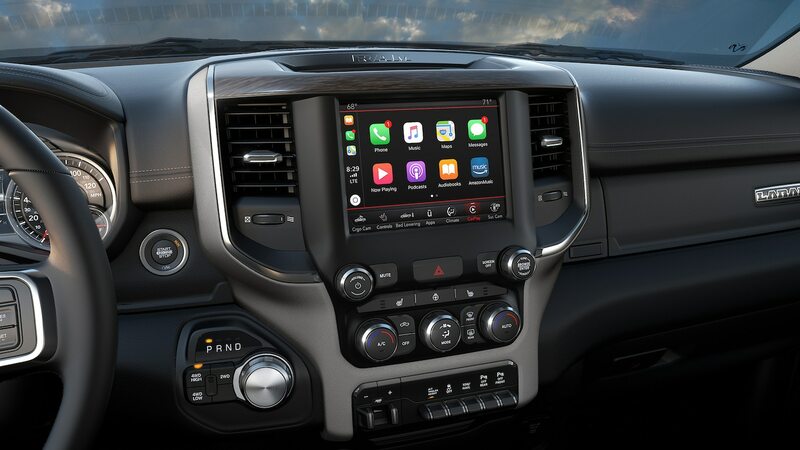 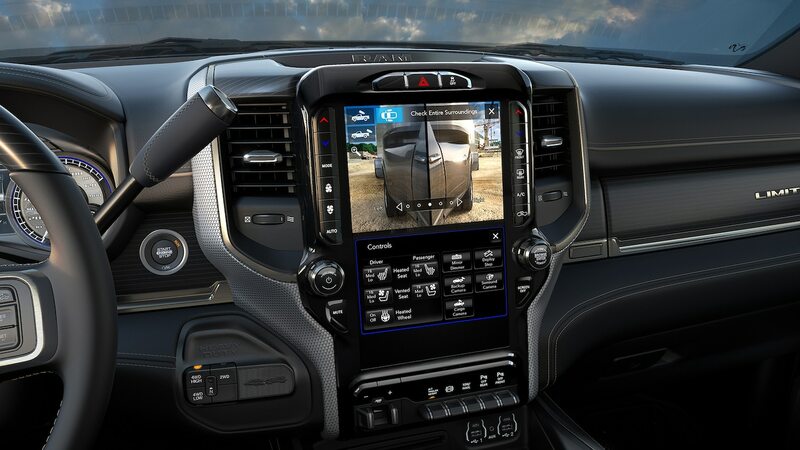 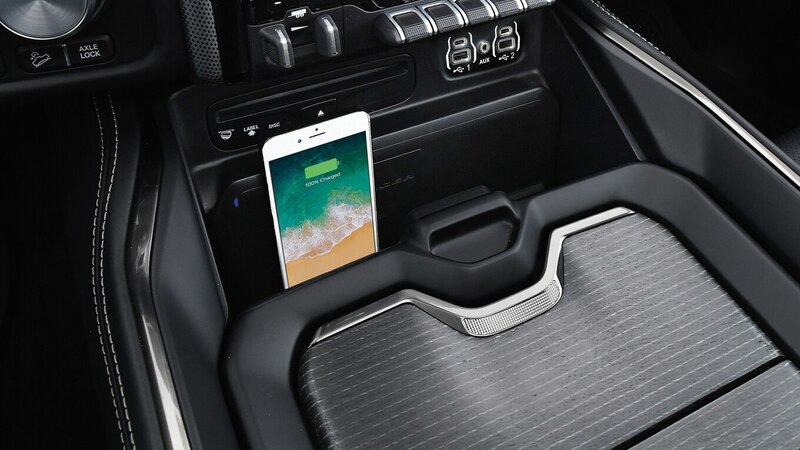 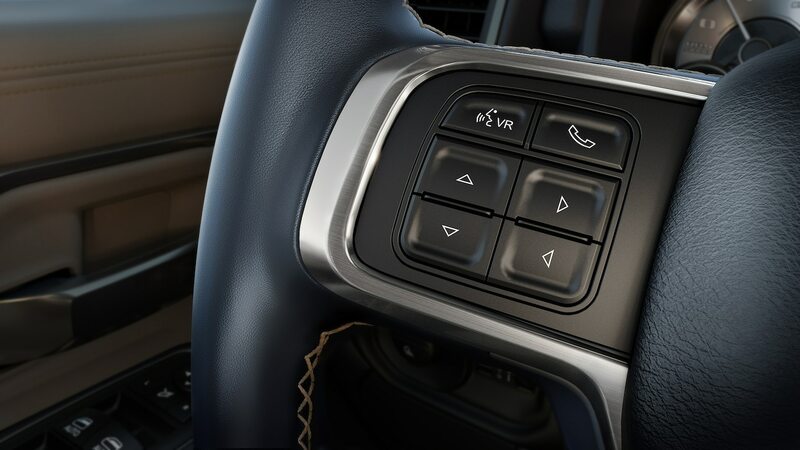 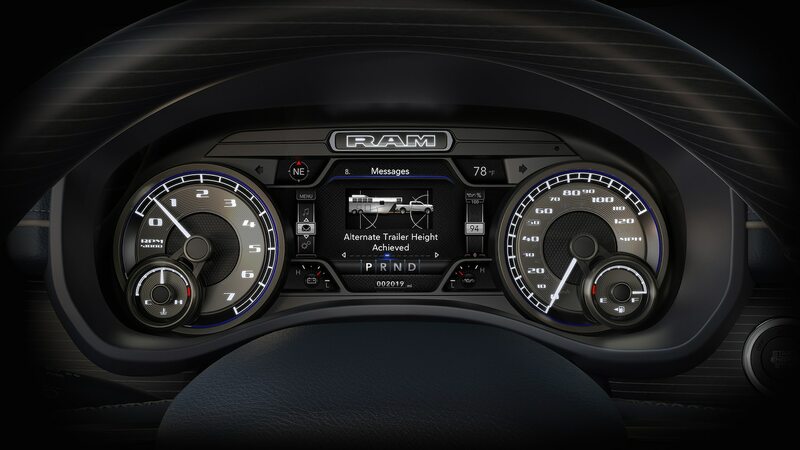 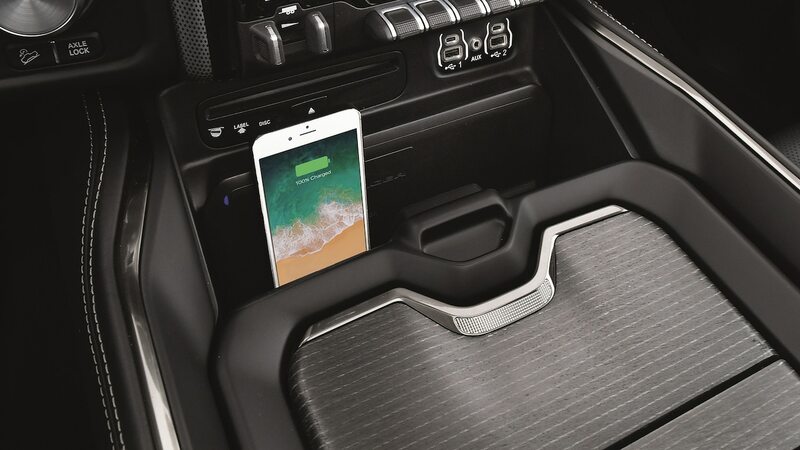 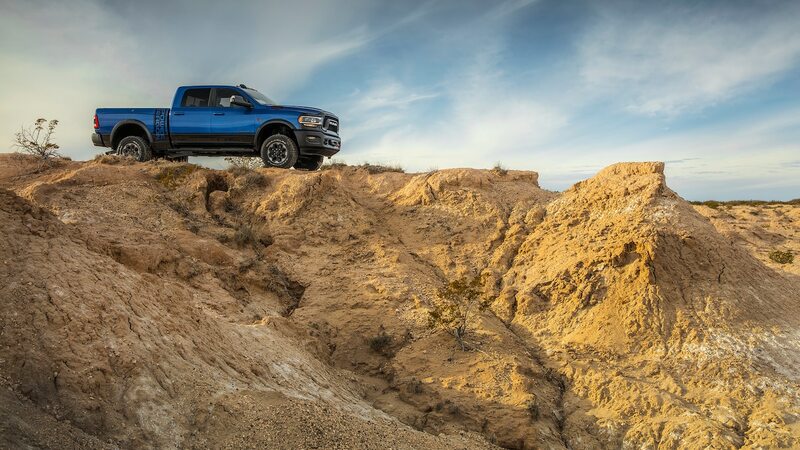 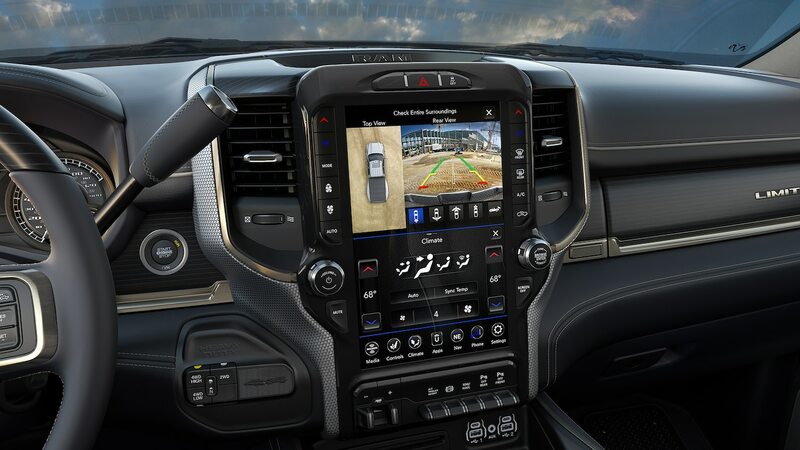 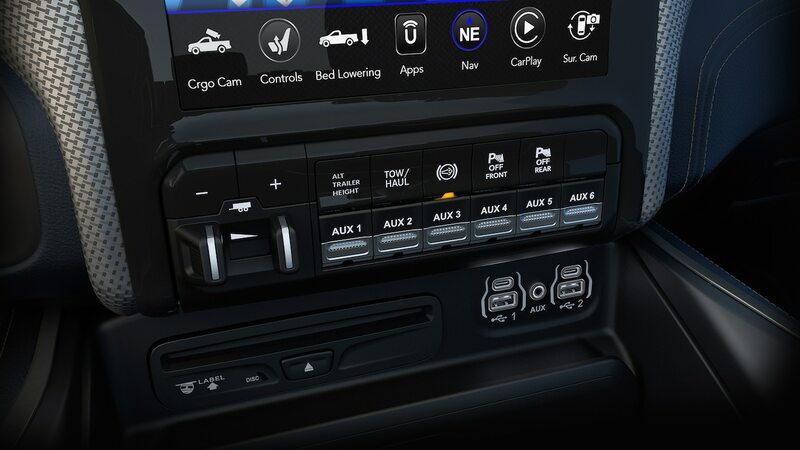 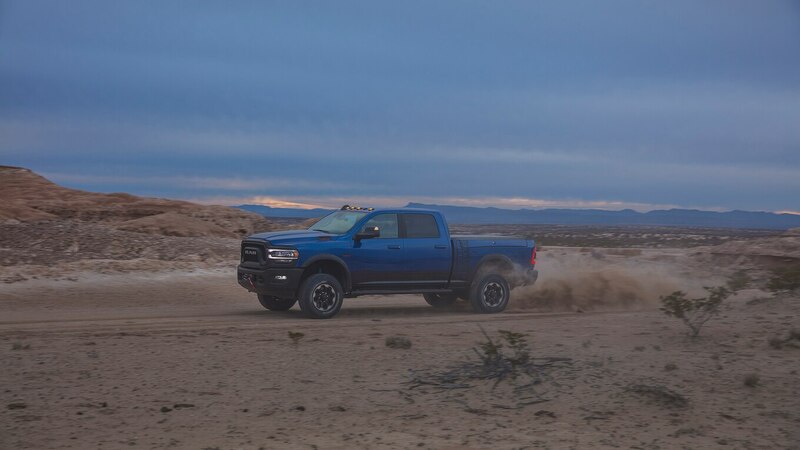 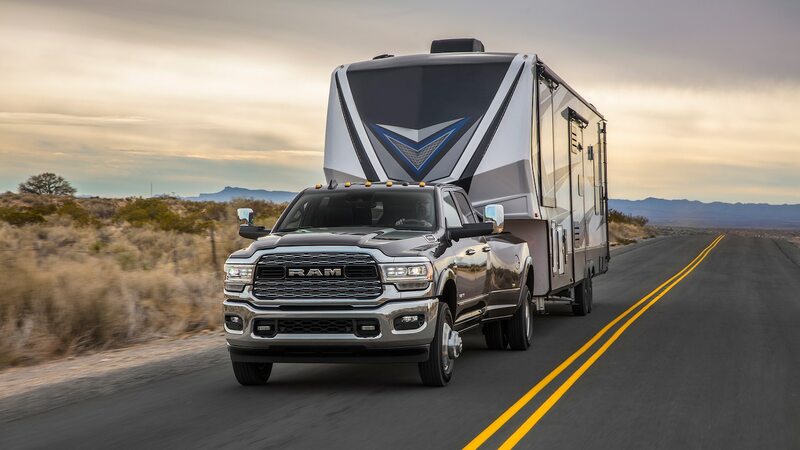 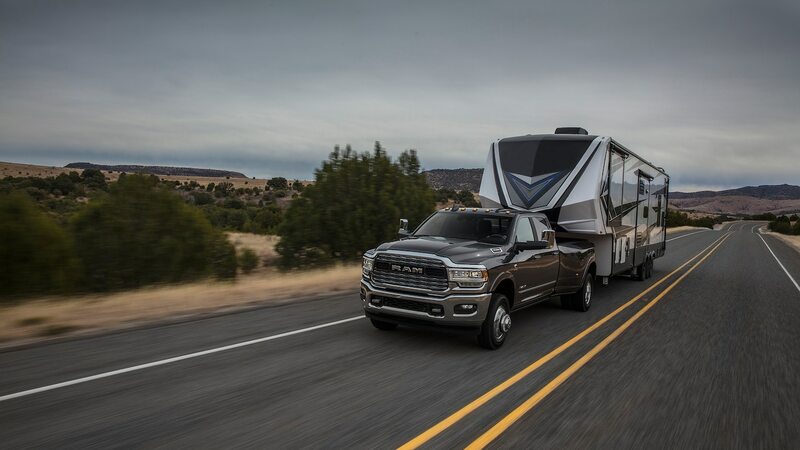 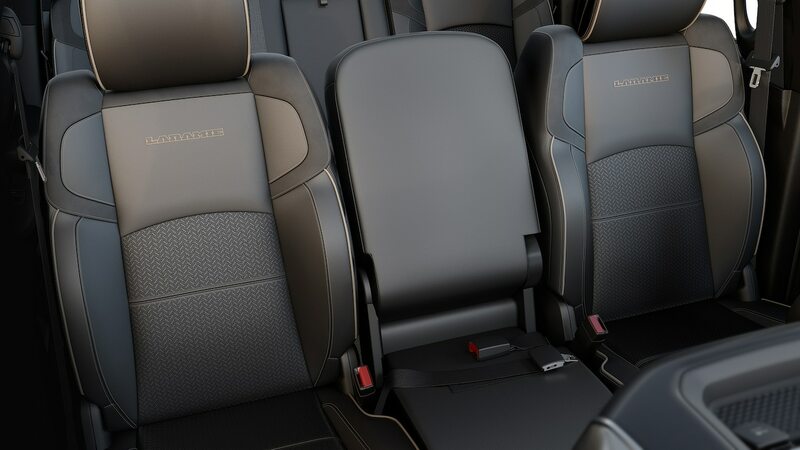 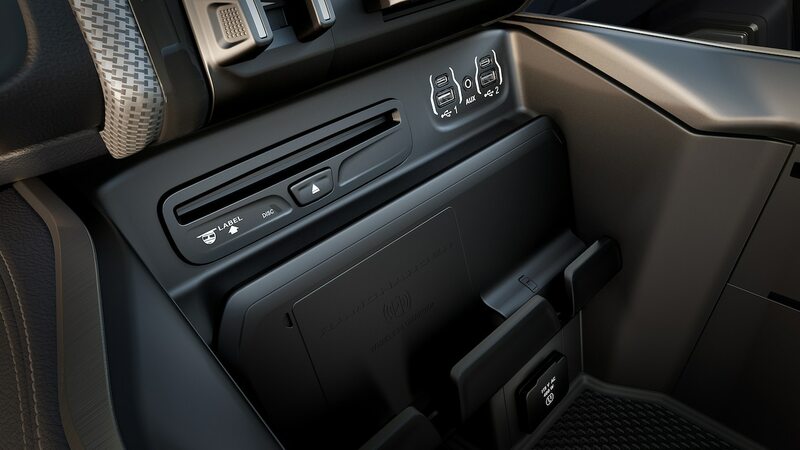 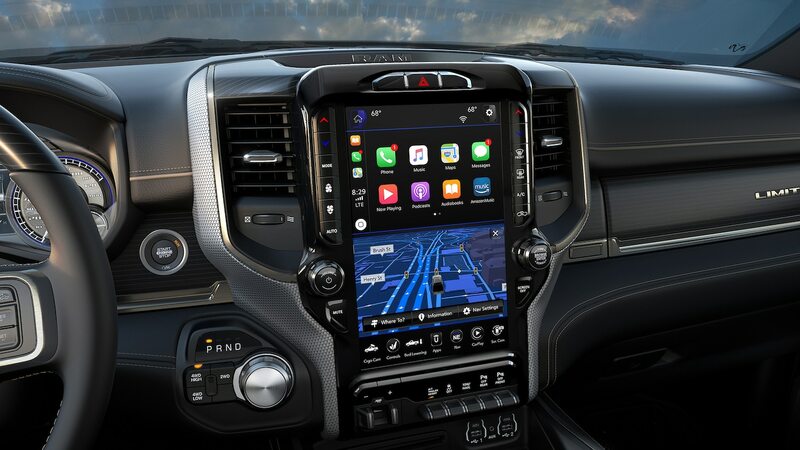 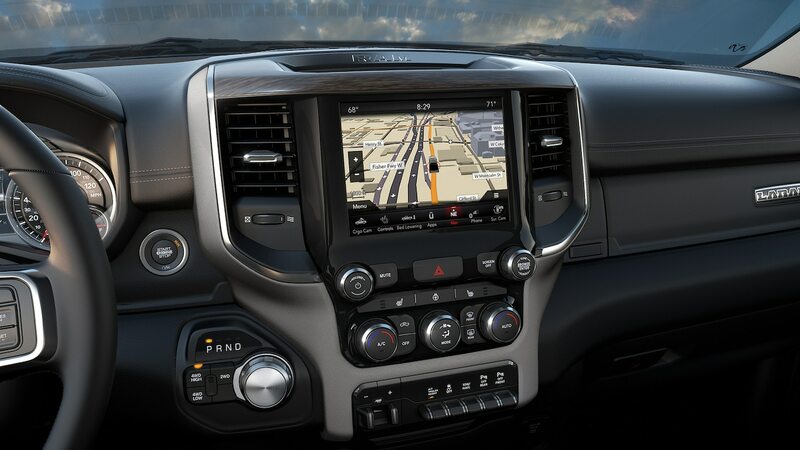 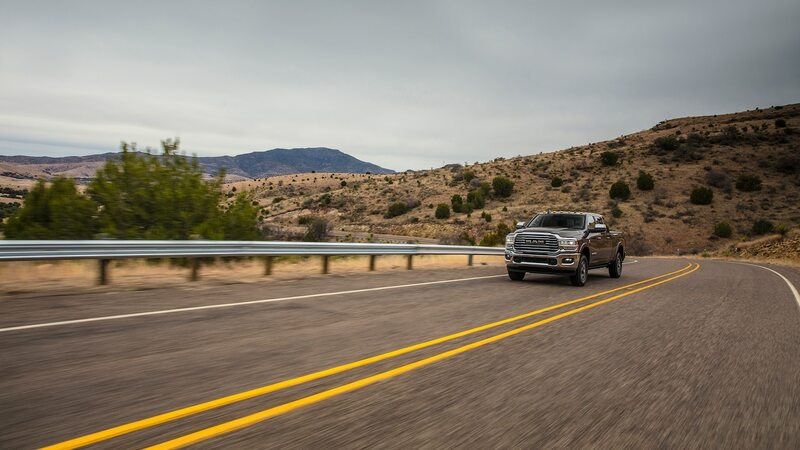 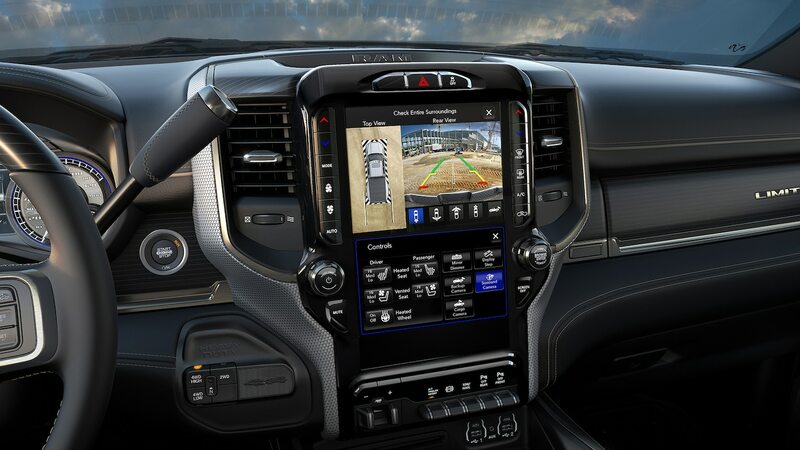 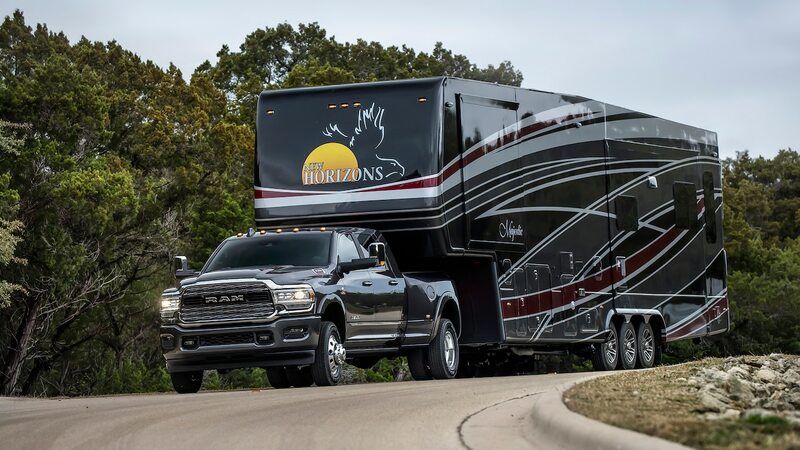 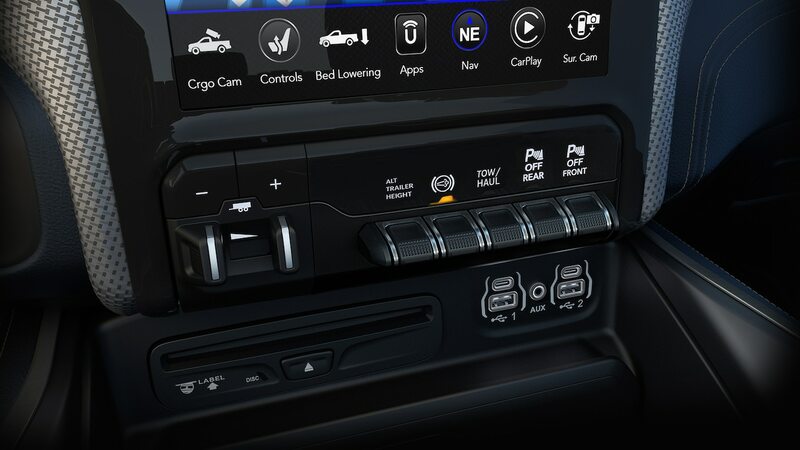 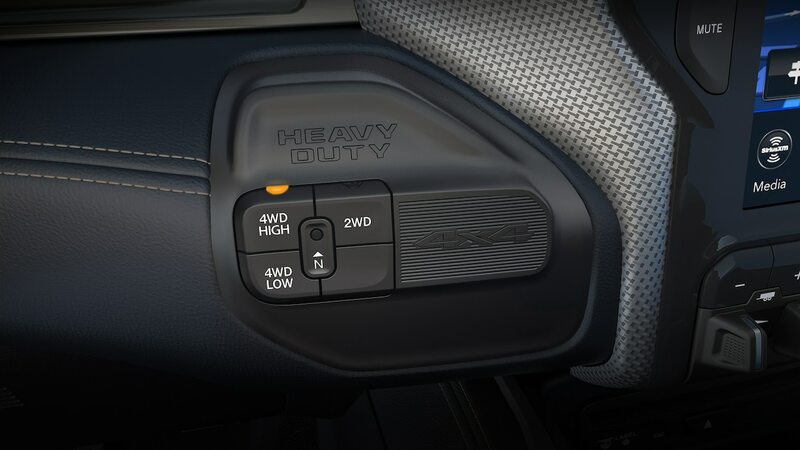 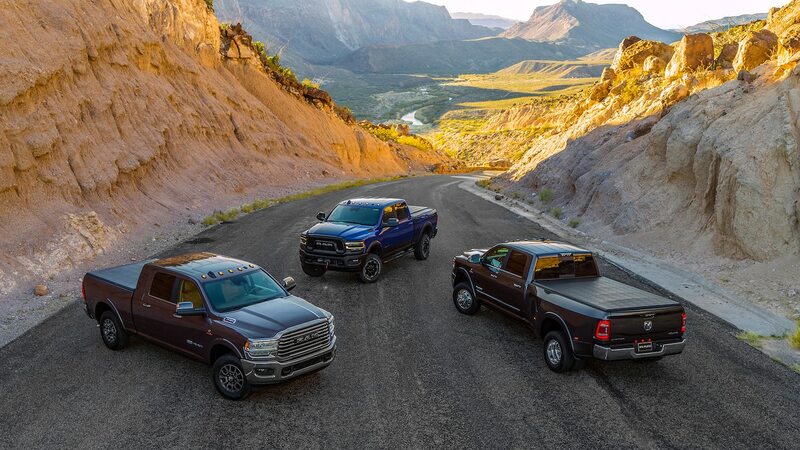 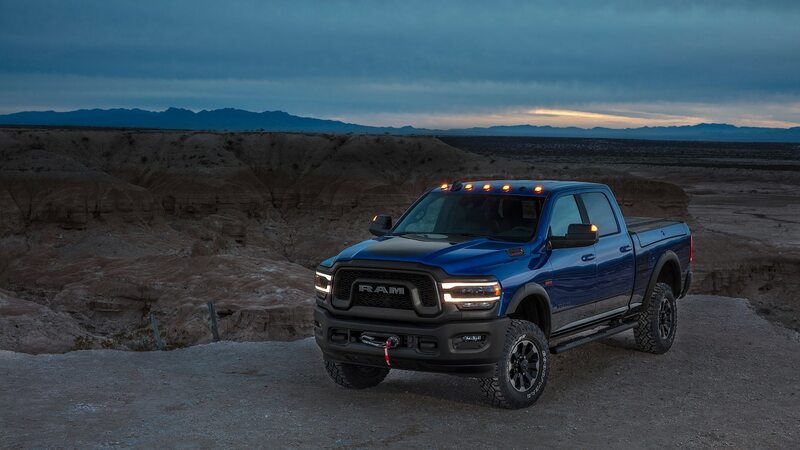 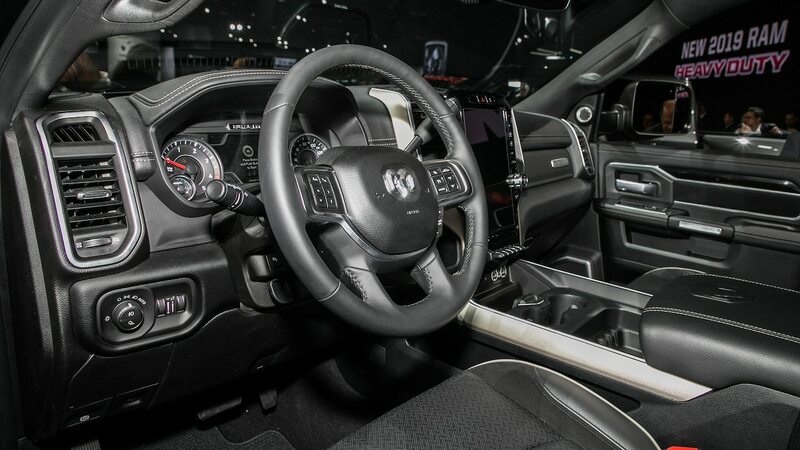 Helping it do so are a pair of six-speed automatics, both thoroughly gone through to improve shift quality and refinement, one beefed up to handle that 1,000 lb-ft of torque with 35,000 pounds (15,876 kg) on the gooseneck. 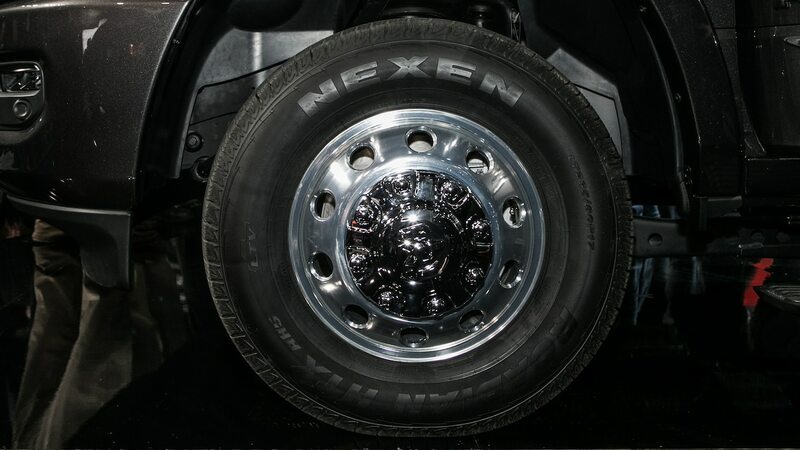 As you might expect, there are also two transfer cases, one of which has been likewise strengthened for max towing. 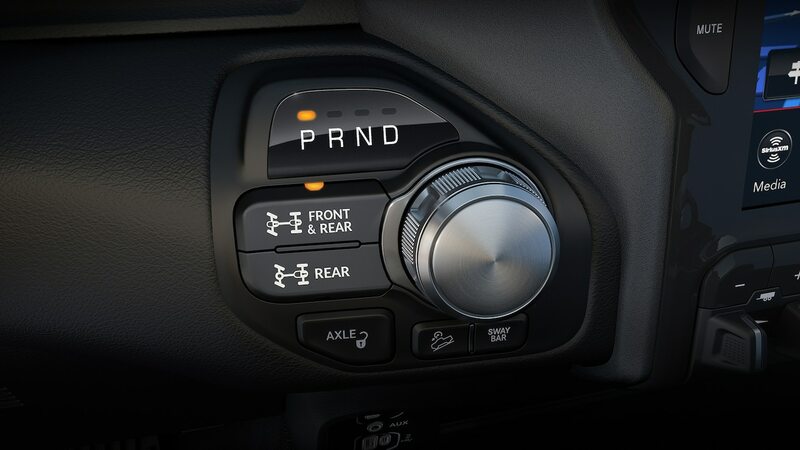 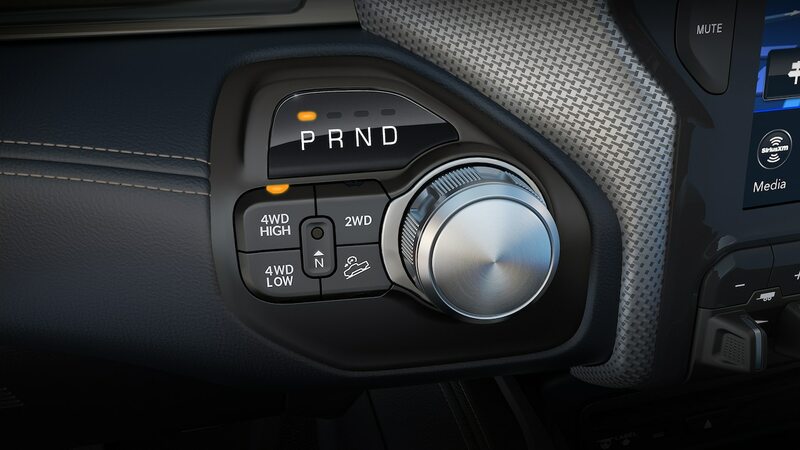 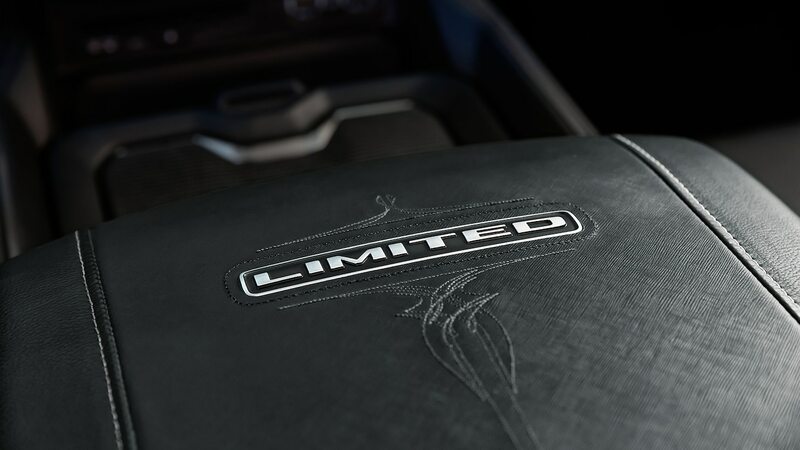 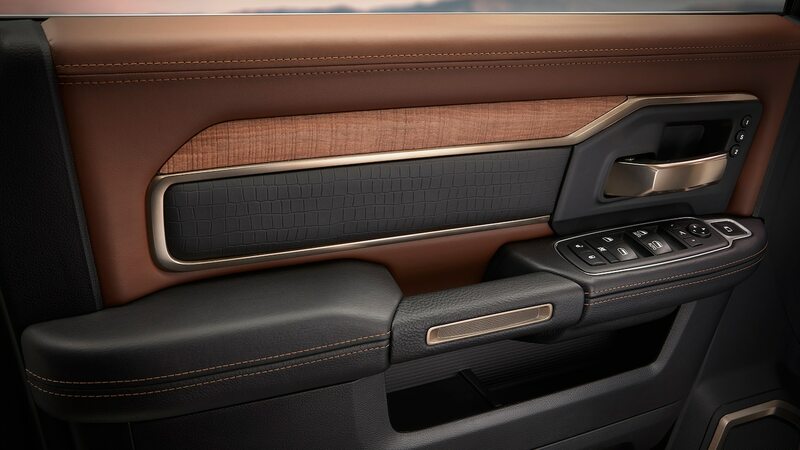 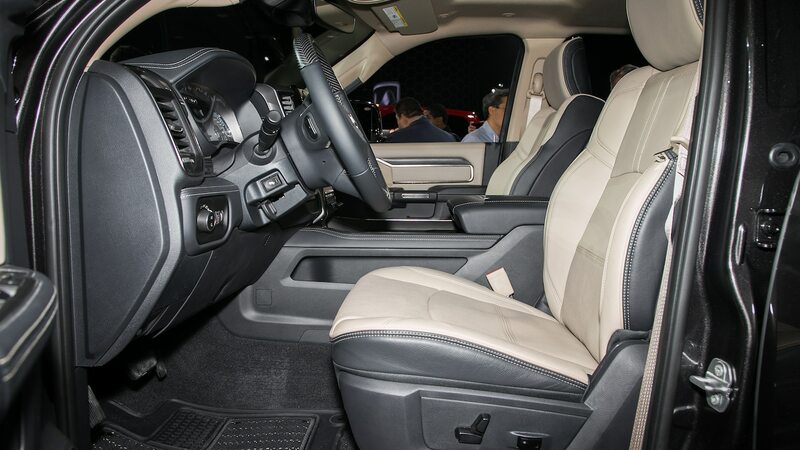 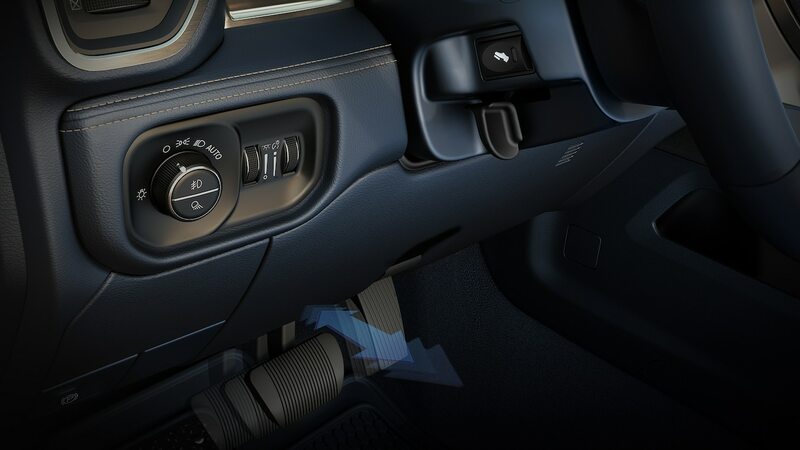 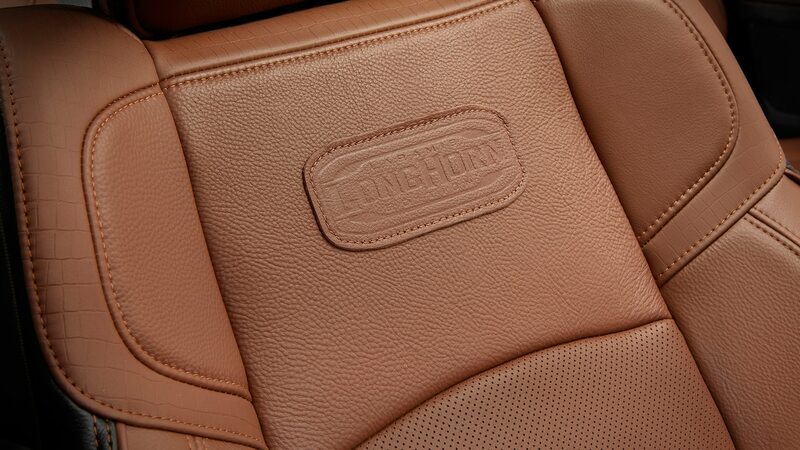 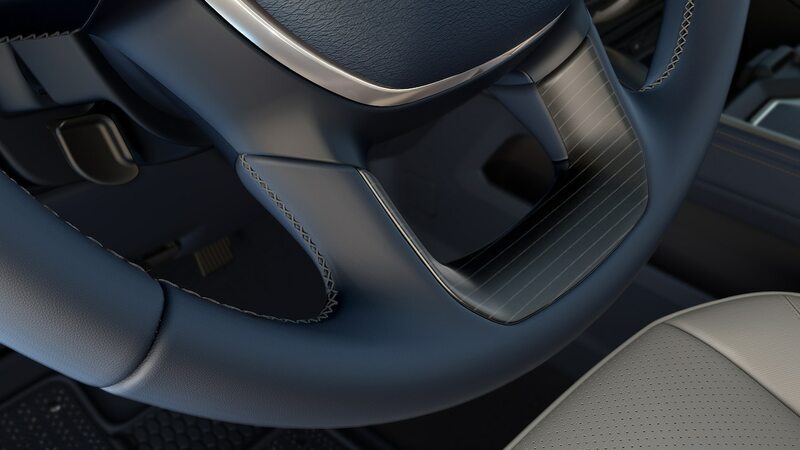 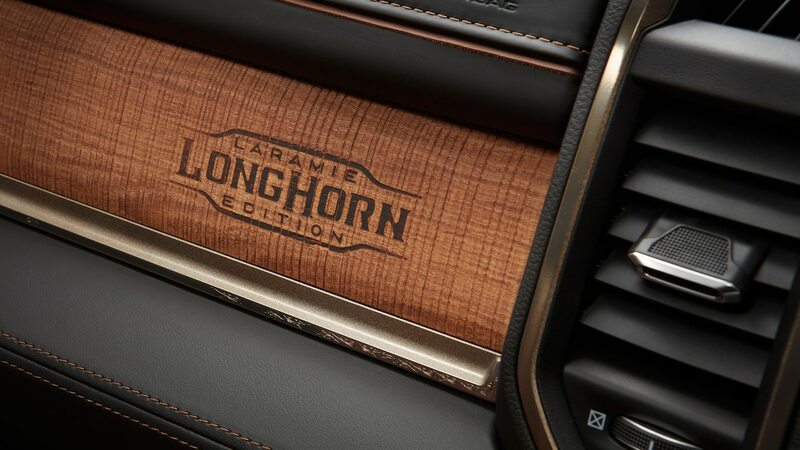 The lone manual transmission in the land of heavy-duties has finally been retired. 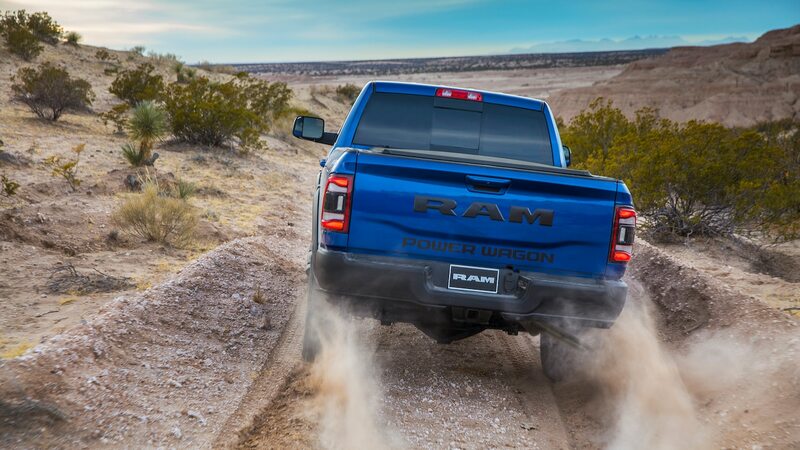 Pour out a 40-weight for your homie. 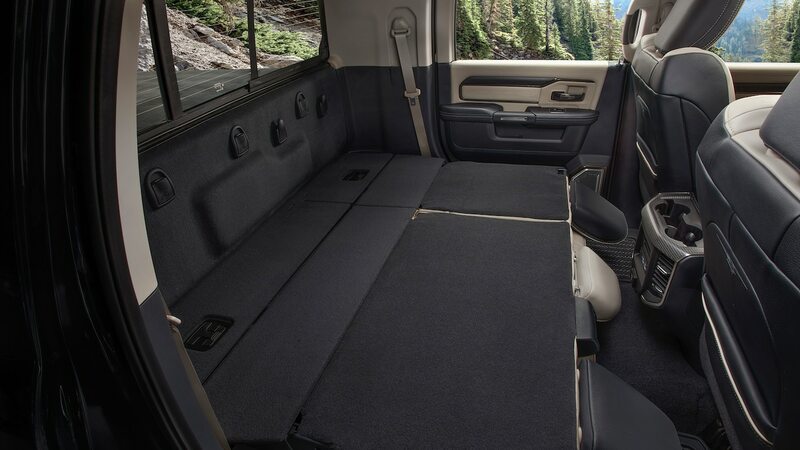 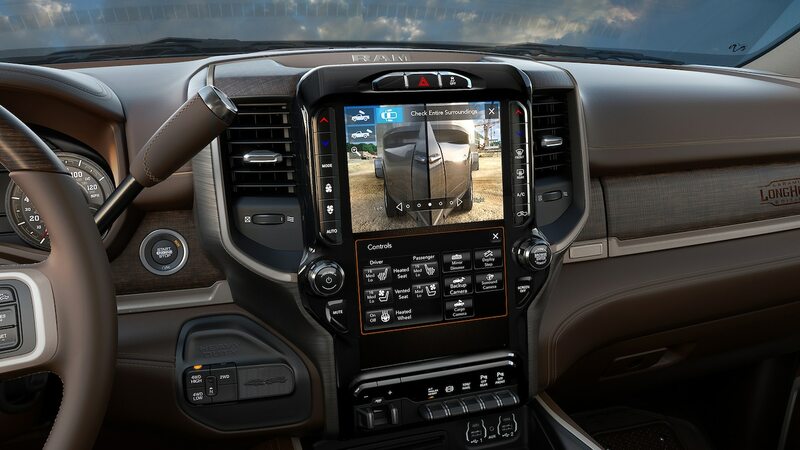 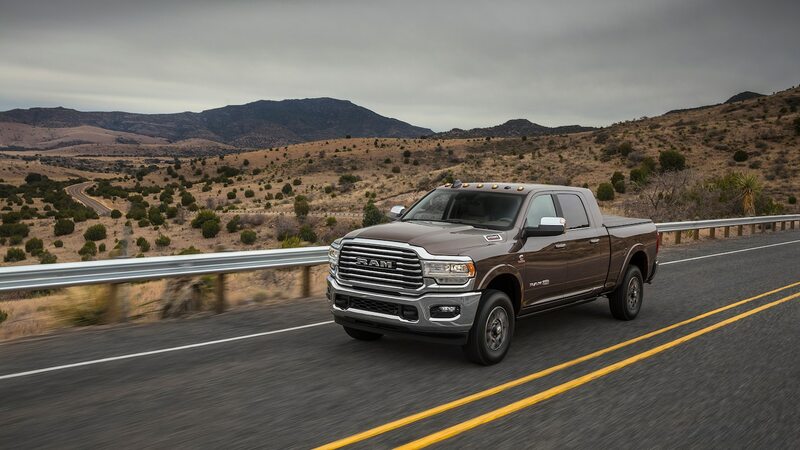 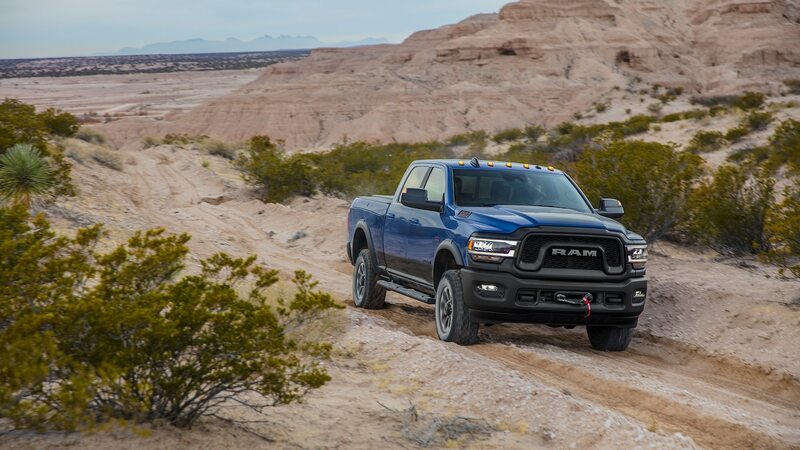 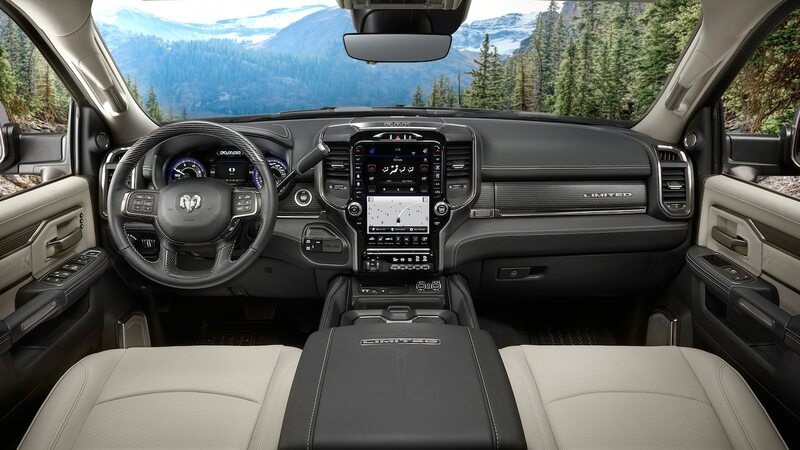 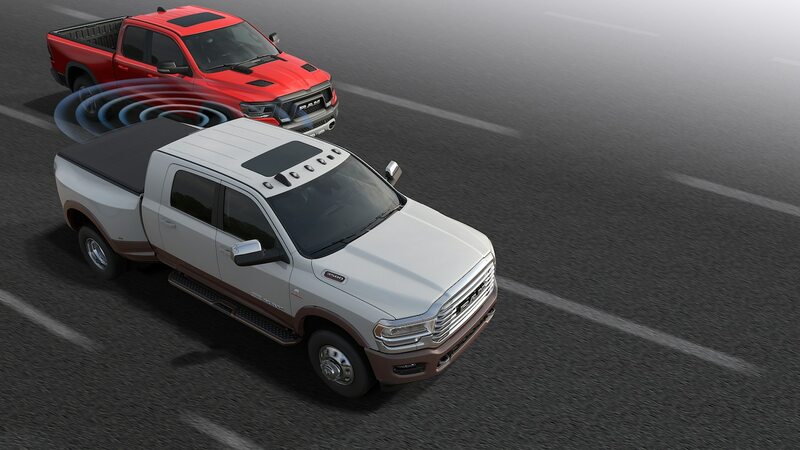 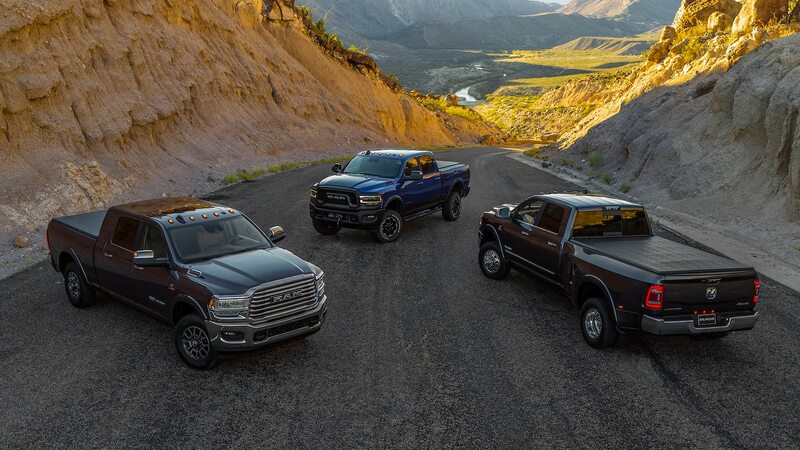 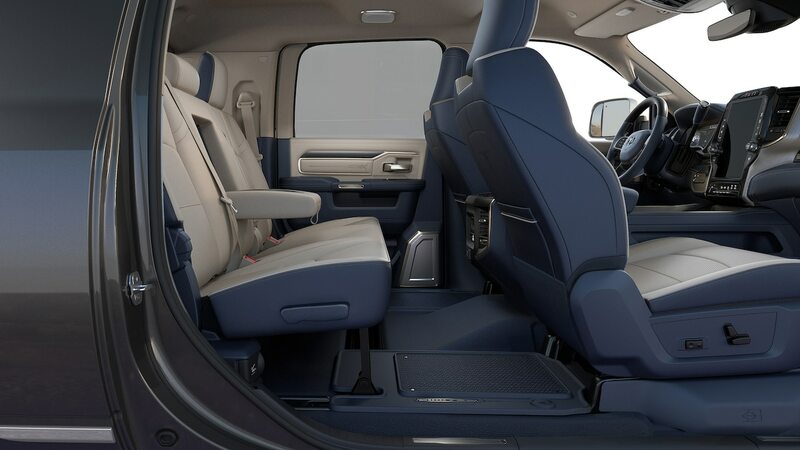 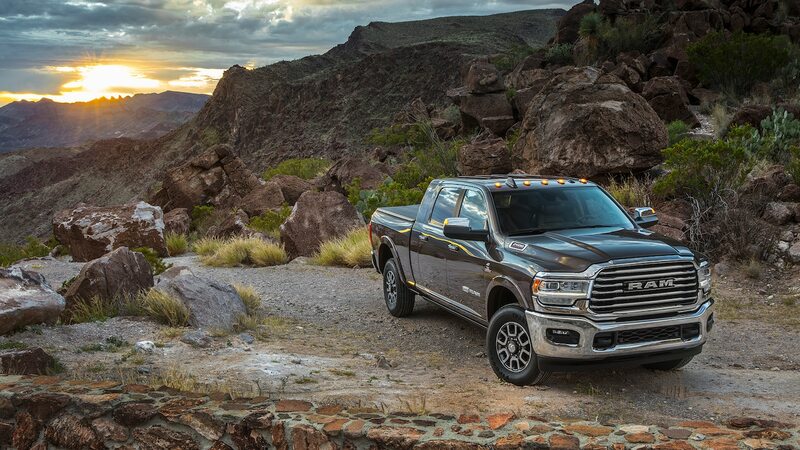 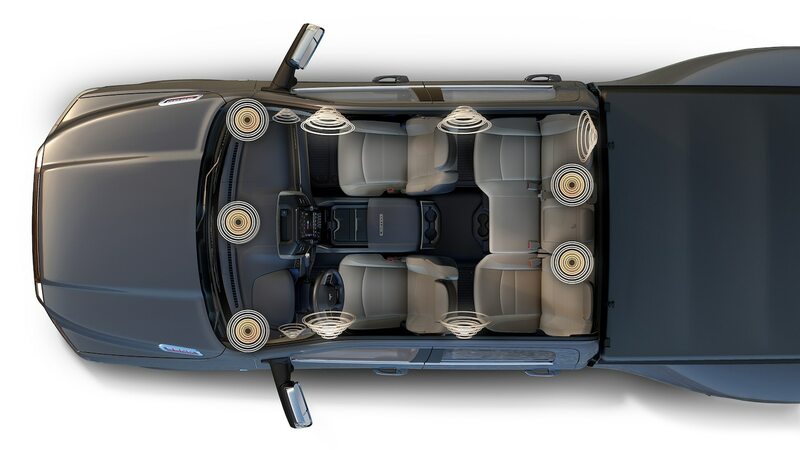 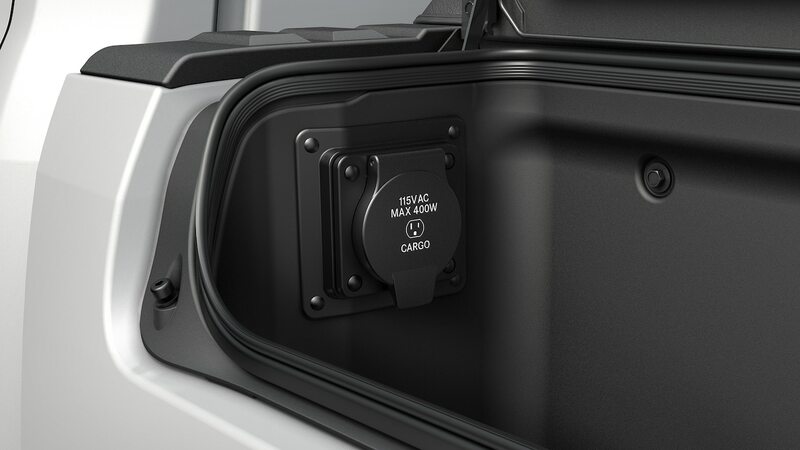 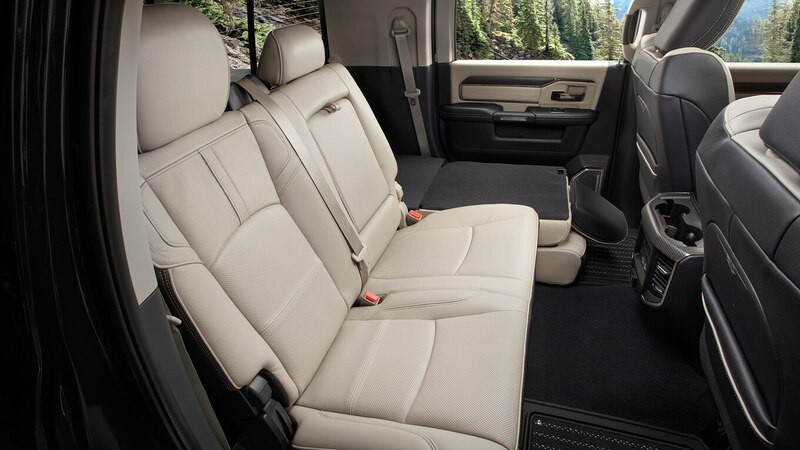 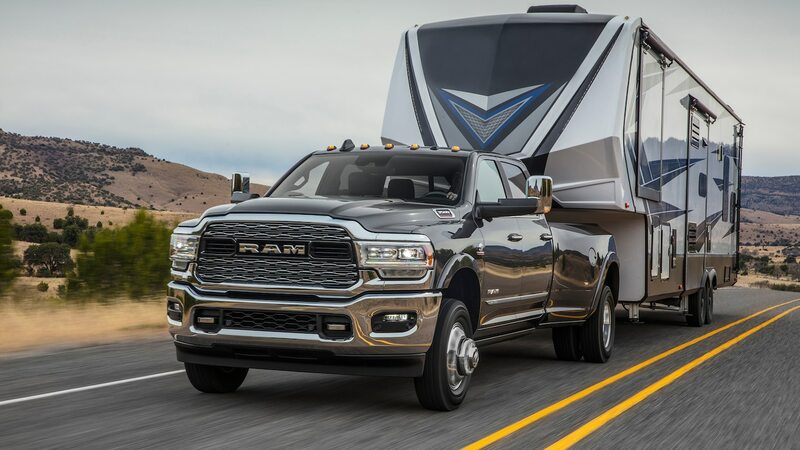 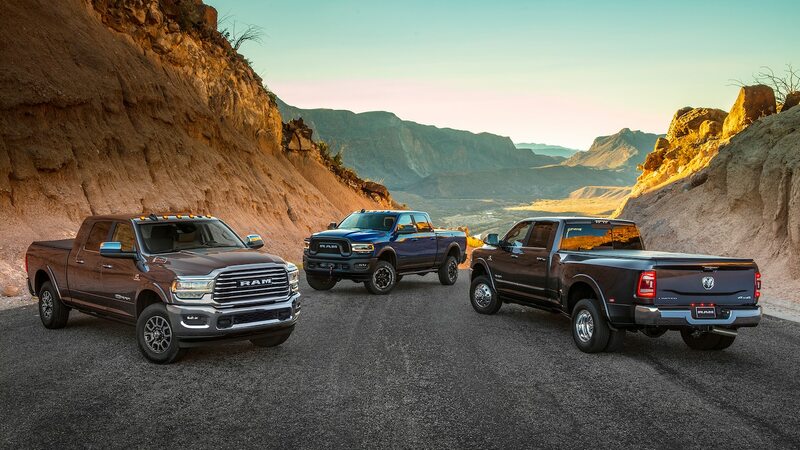 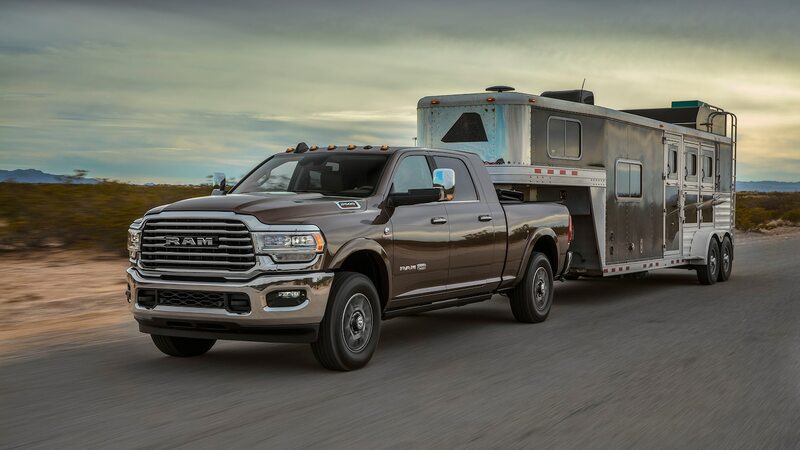 Because towing and hauling are about more than just raw power, the gas engine sees its max towing climb to 17,580 pounds (7,974 kg) on the 2500 and 18,210 pounds (8,260 kg) on the 3500. 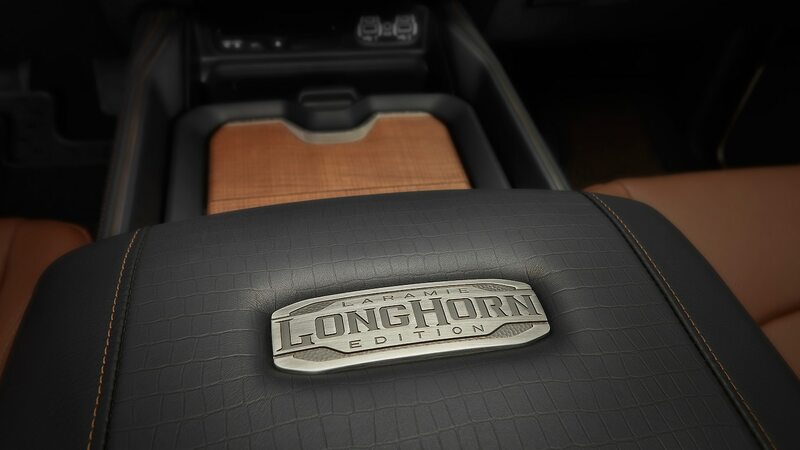 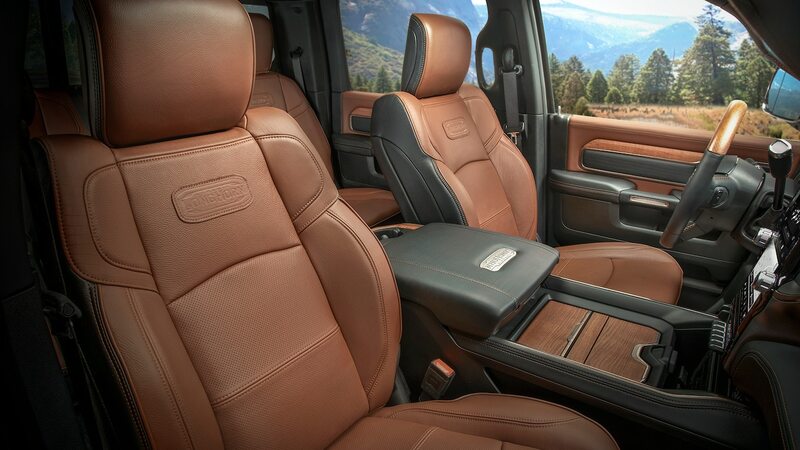 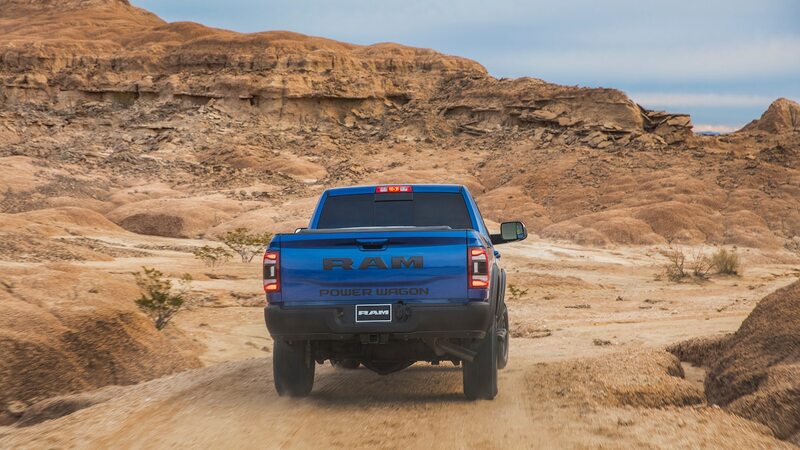 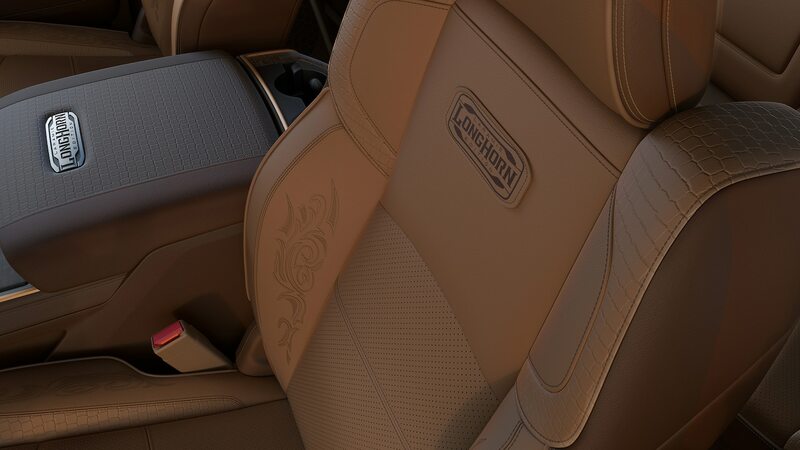 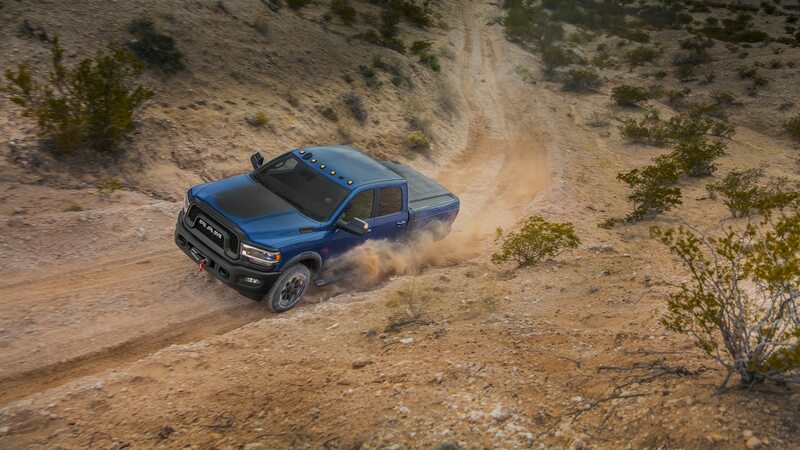 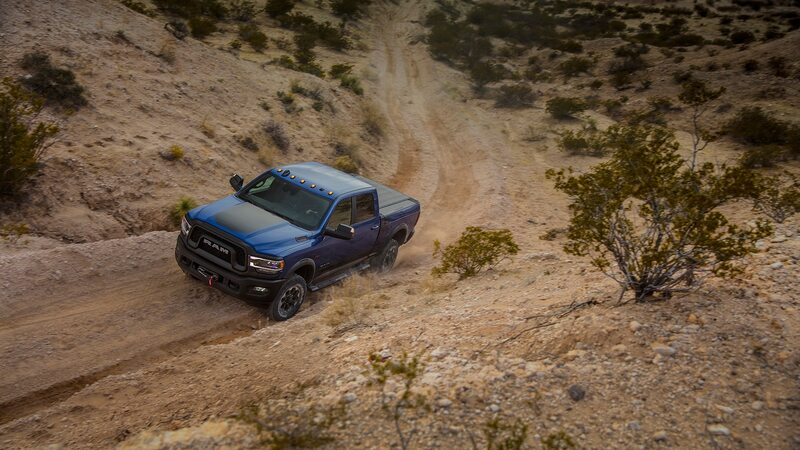 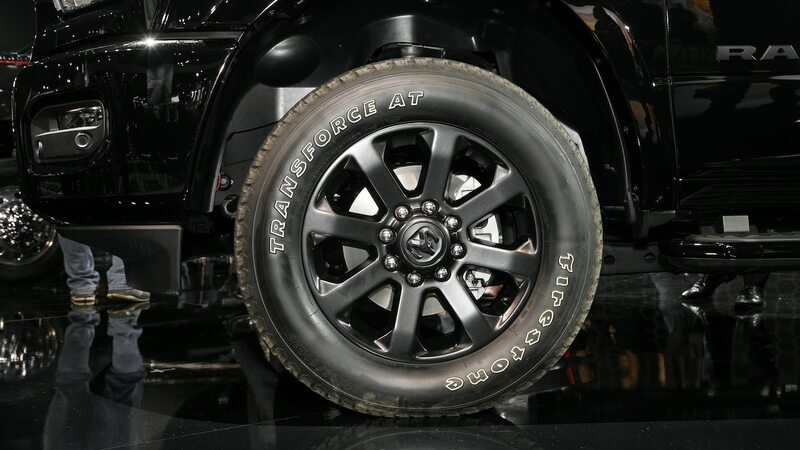 The gas-only Power Wagon tops out at 10,350 pounds (4,695 kg) due to its off-road suspension. 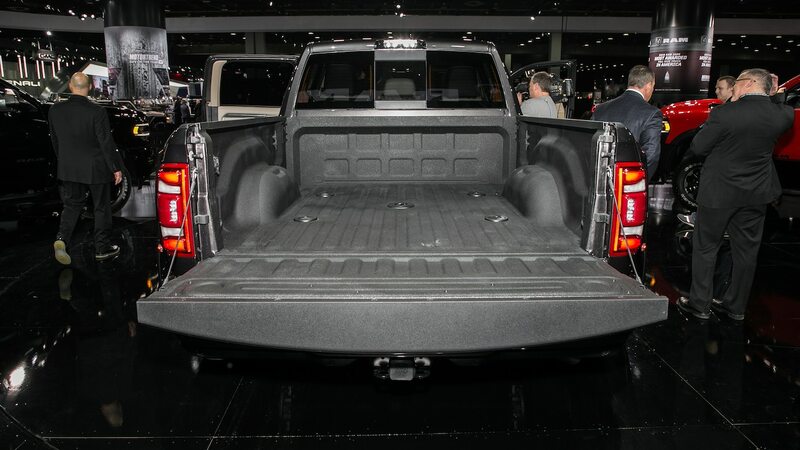 Payload also grows to a best-in-class 7,680 pounds (3,484 kg) for a 3500 (with gas; 6,910 (3,134 kg) with diesel) and 4,040 pounds (1,832 kg) for a 2500 (also gas; 3,250 (1,474 kg) diesel). 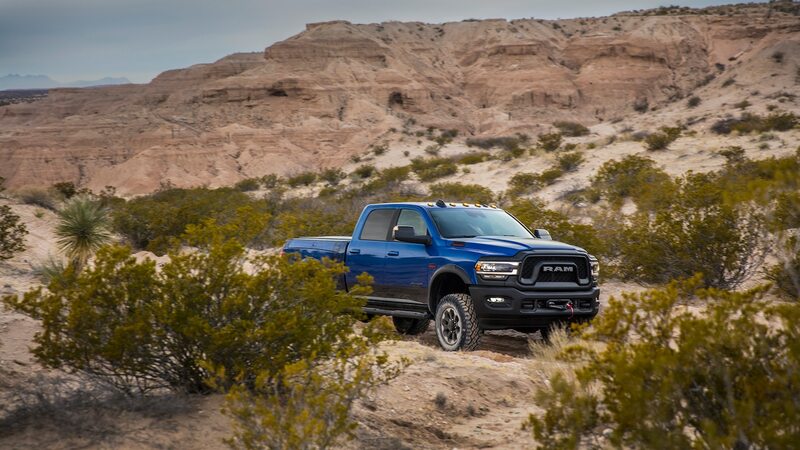 Added muscle mass aside, Ram also claims it’s trimmed the fat. 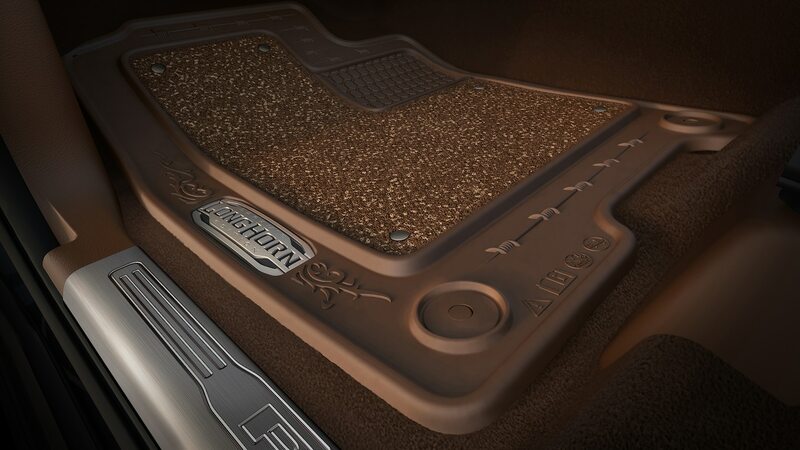 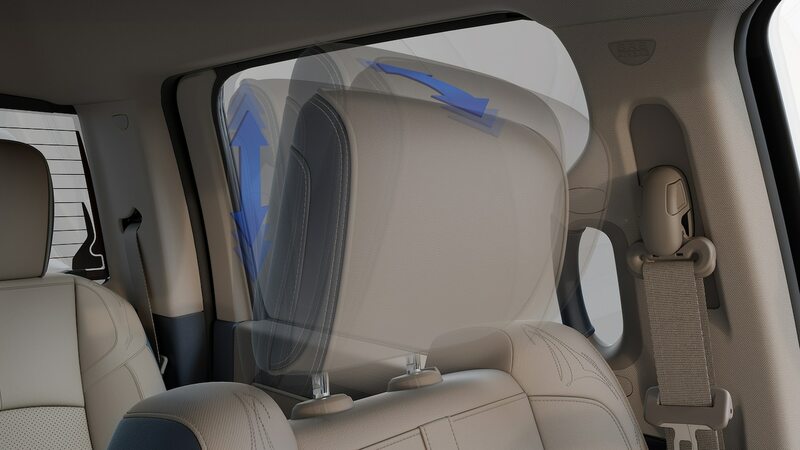 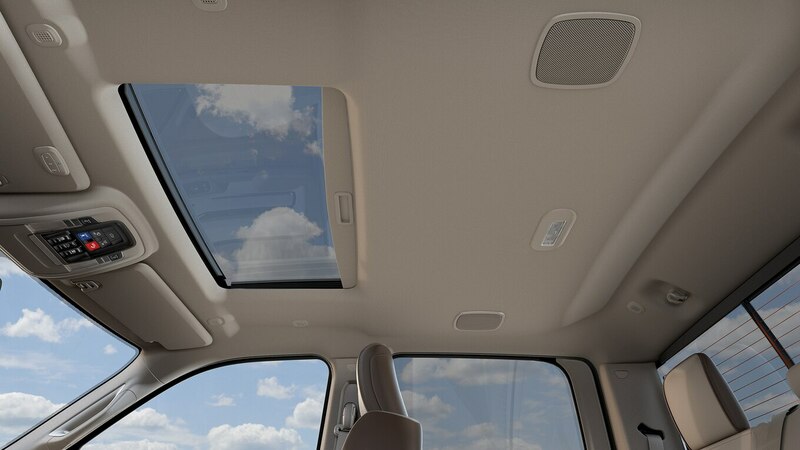 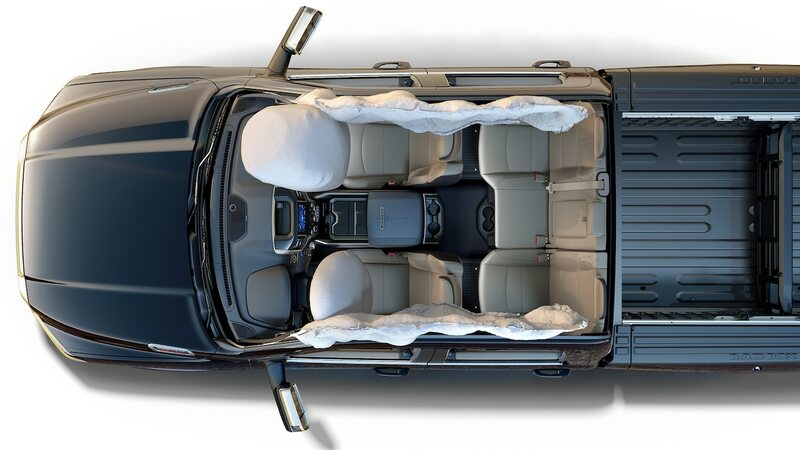 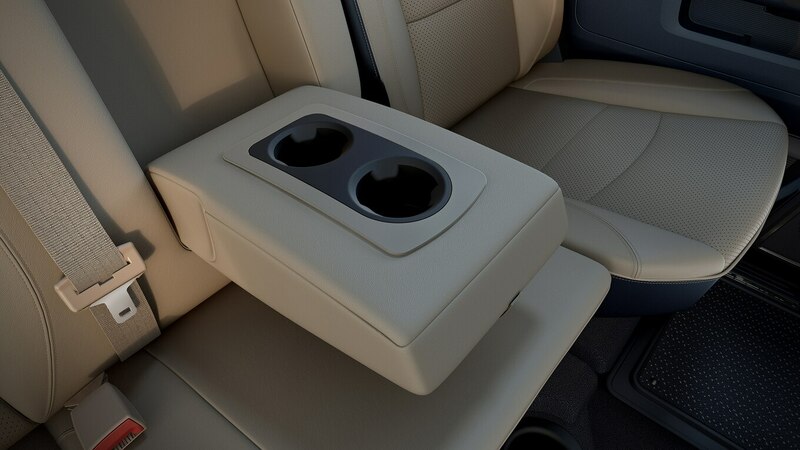 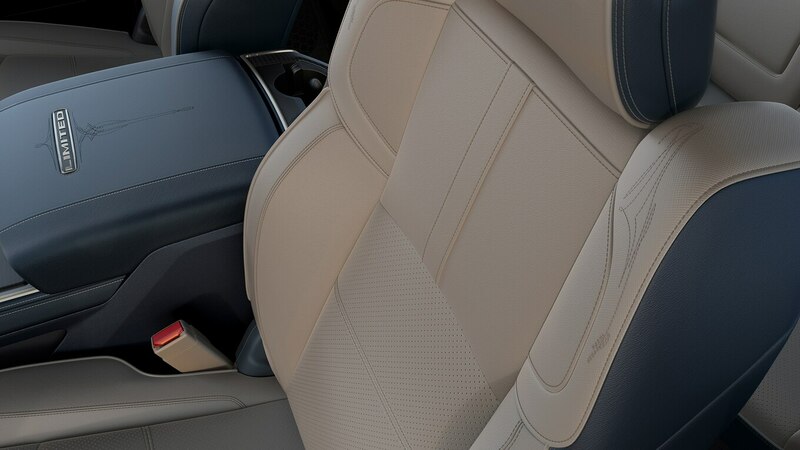 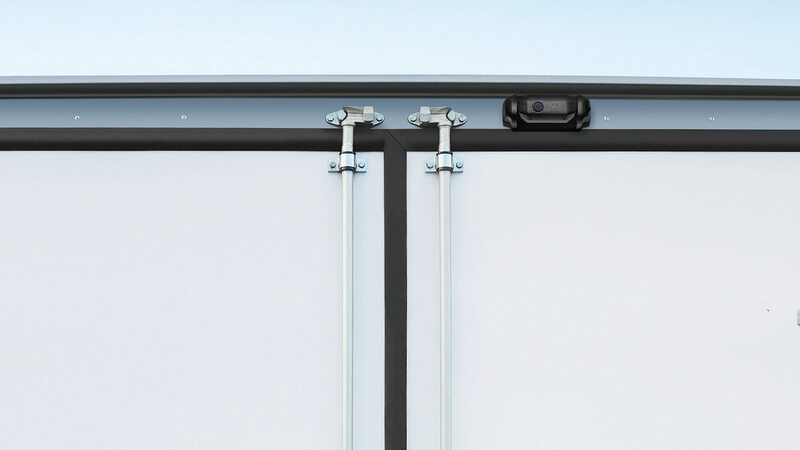 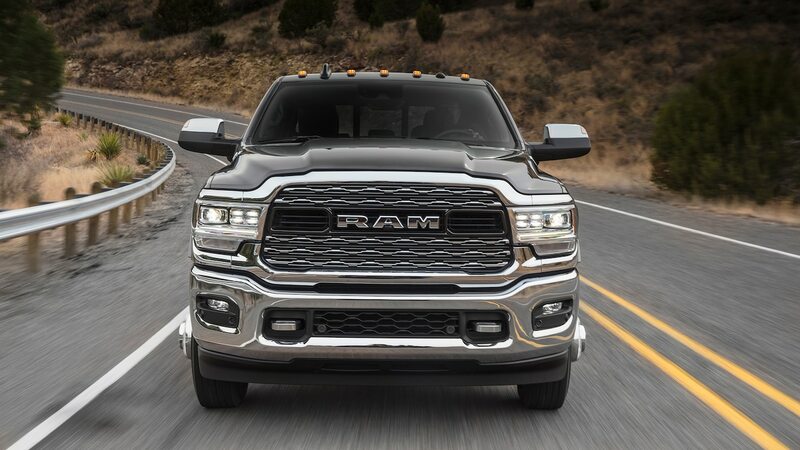 Curb weight has been reduced by roughly 140 pounds (63 kg) on average with an aluminum hood and lighter, higher-strength steel in the frame. 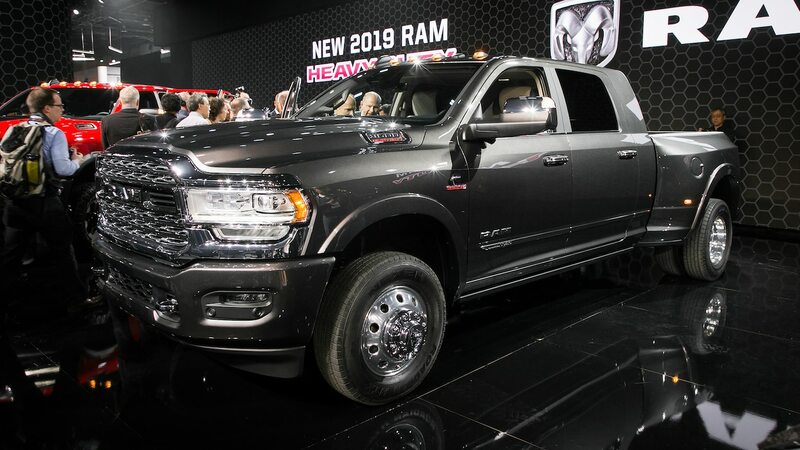 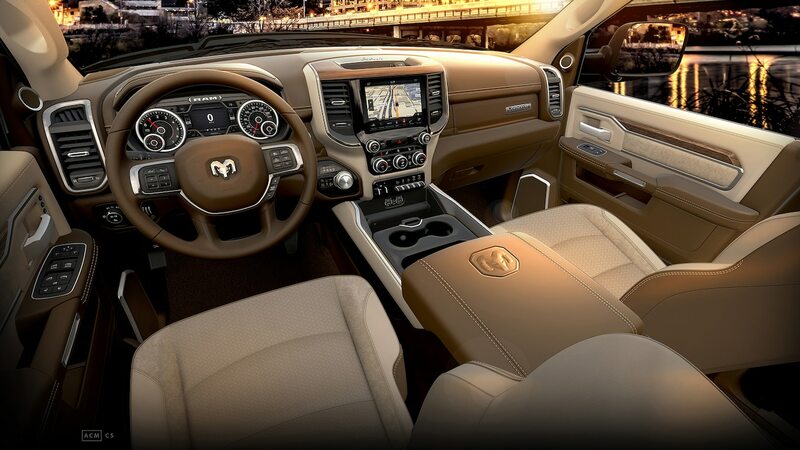 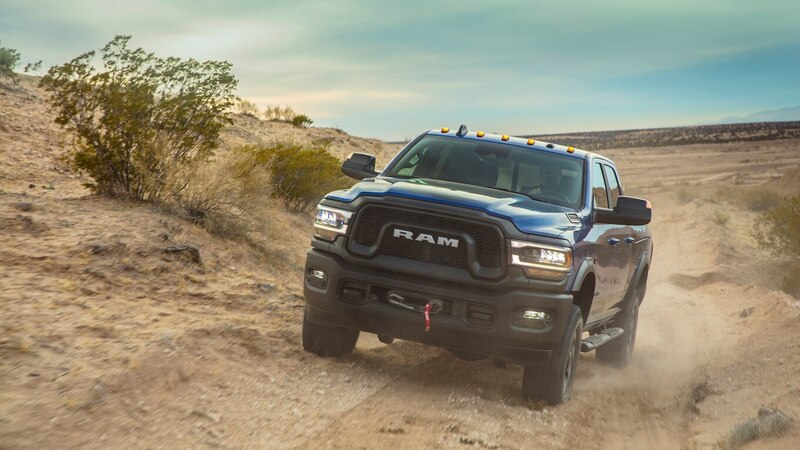 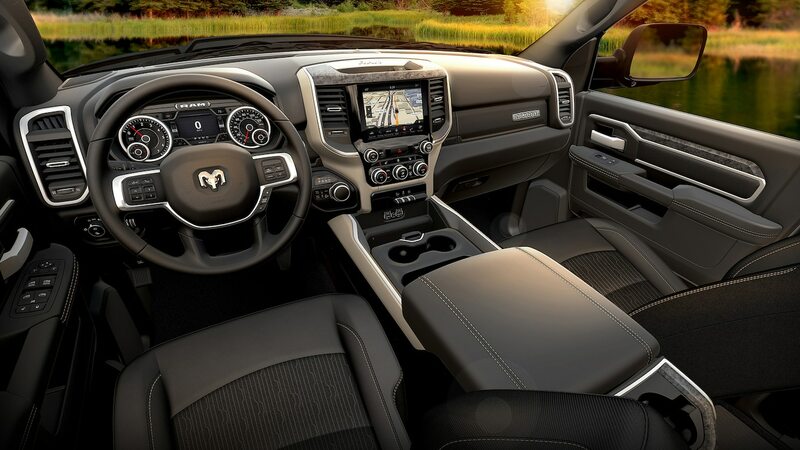 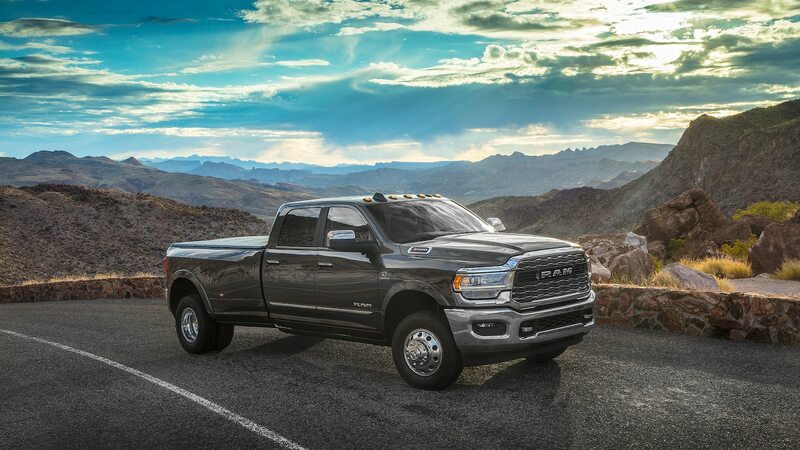 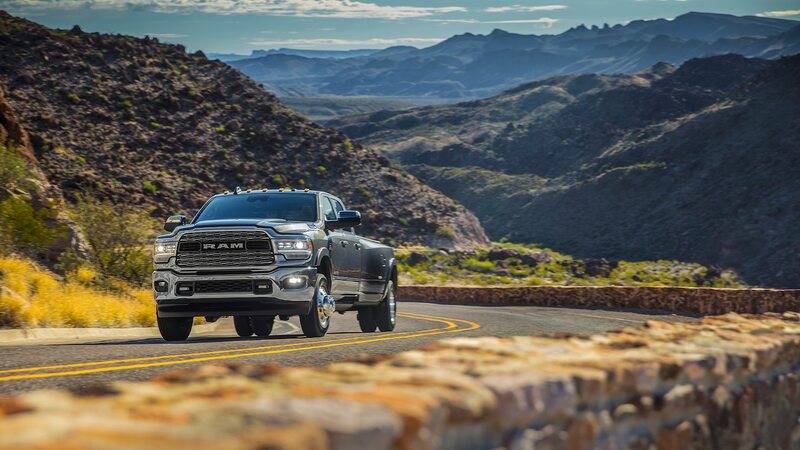 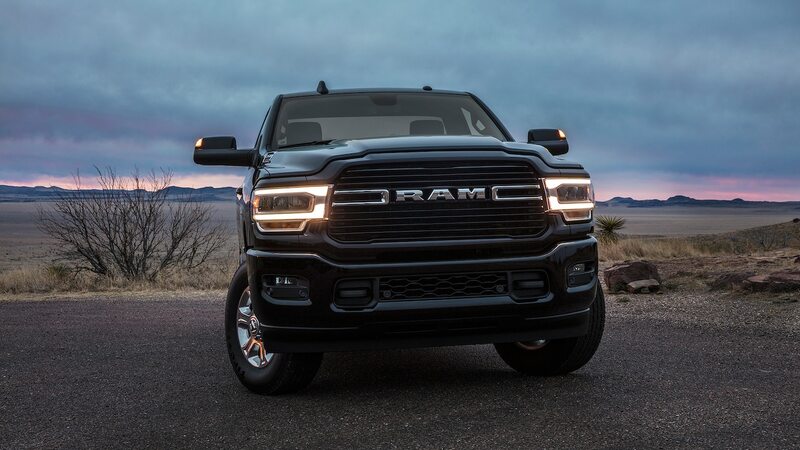 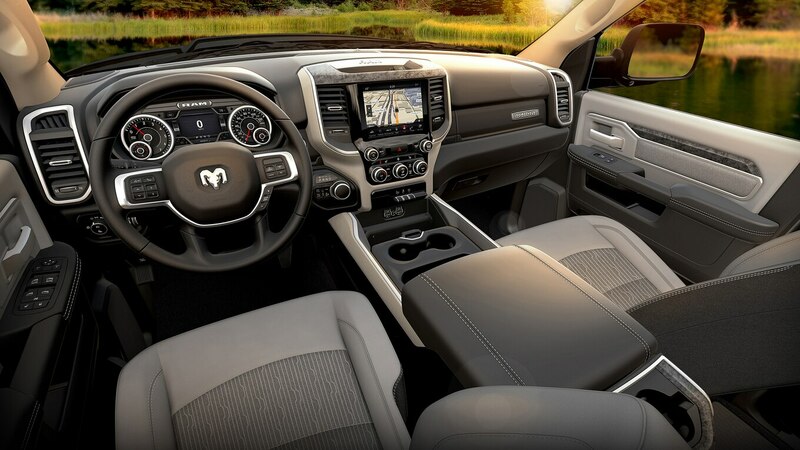 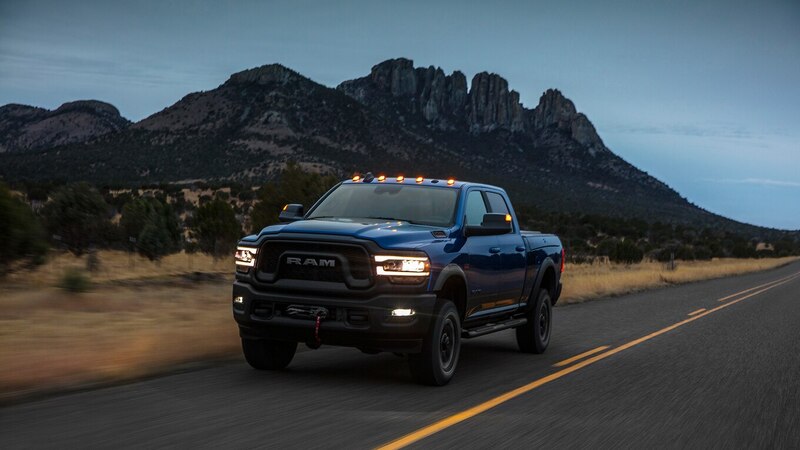 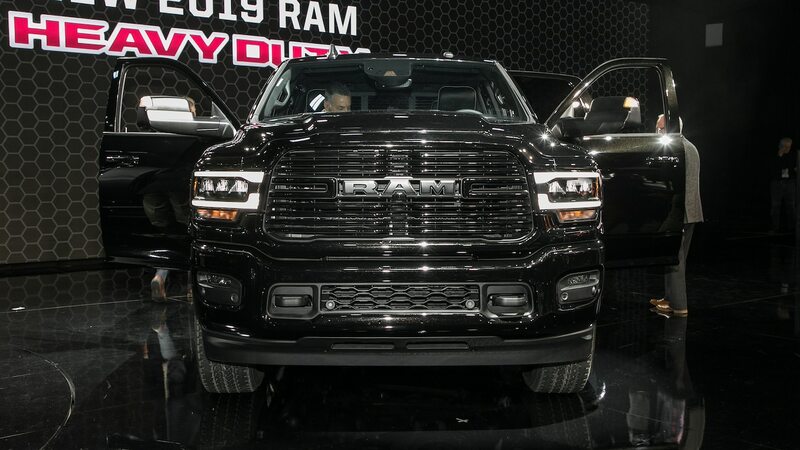 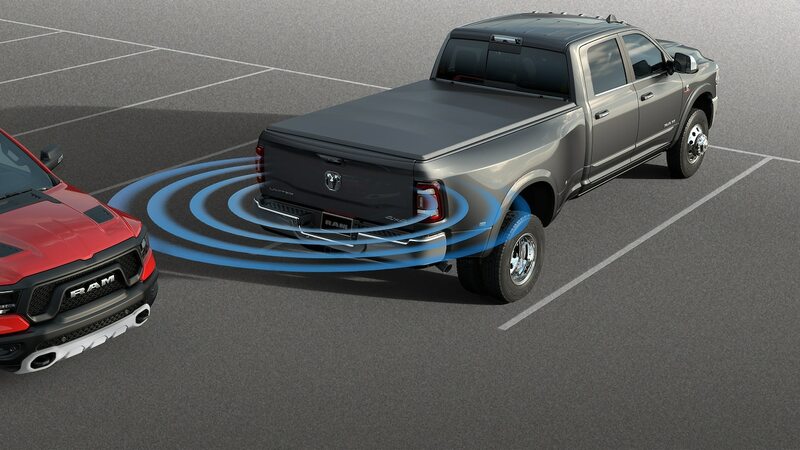 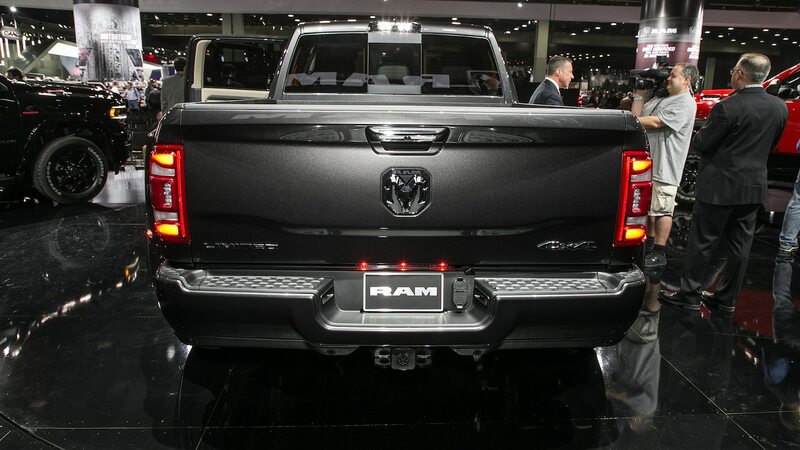 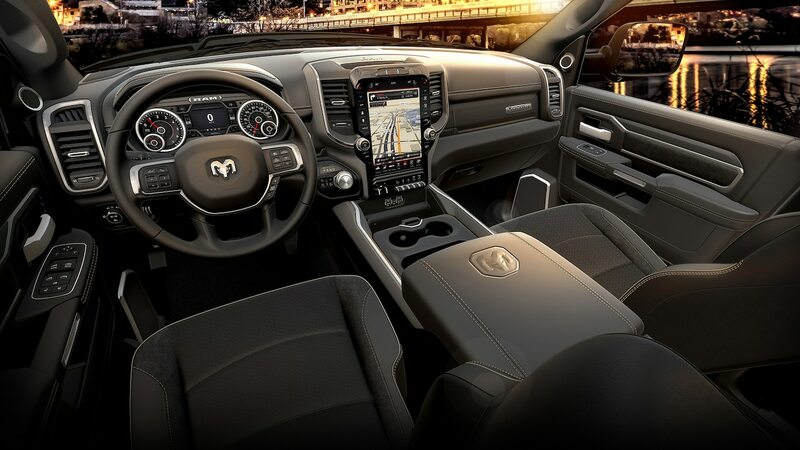 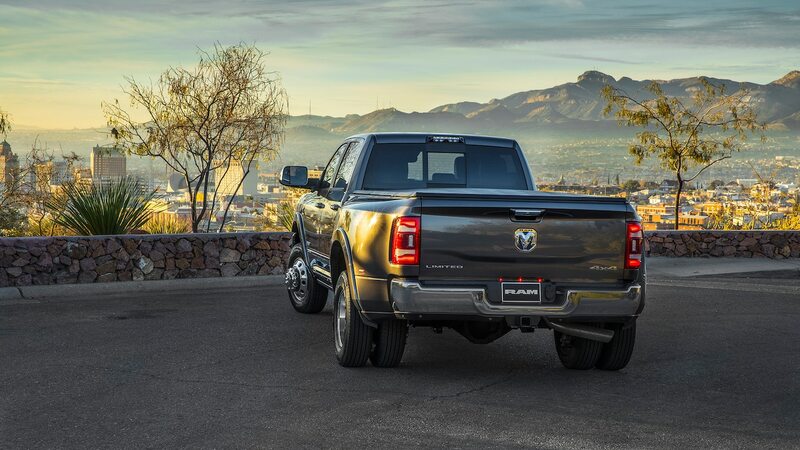 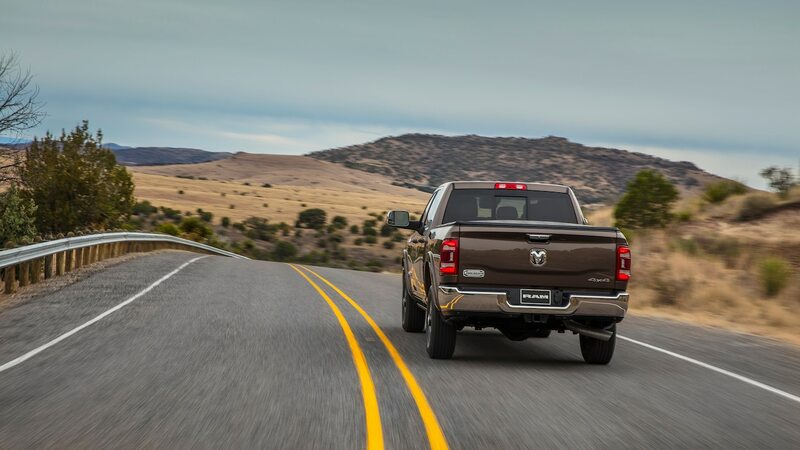 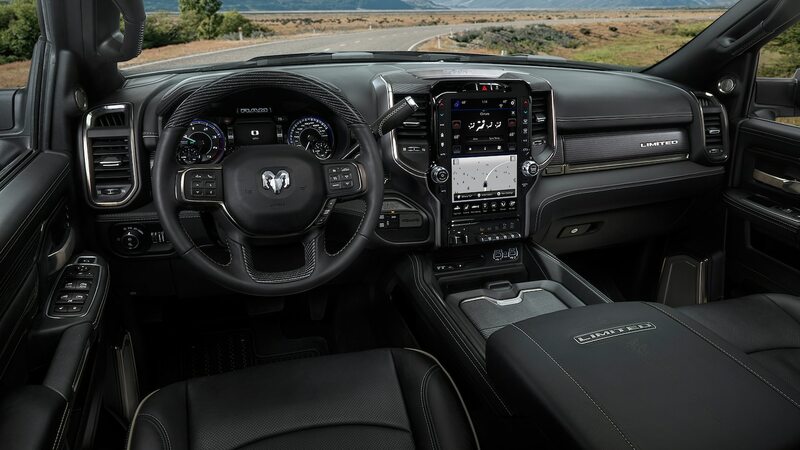 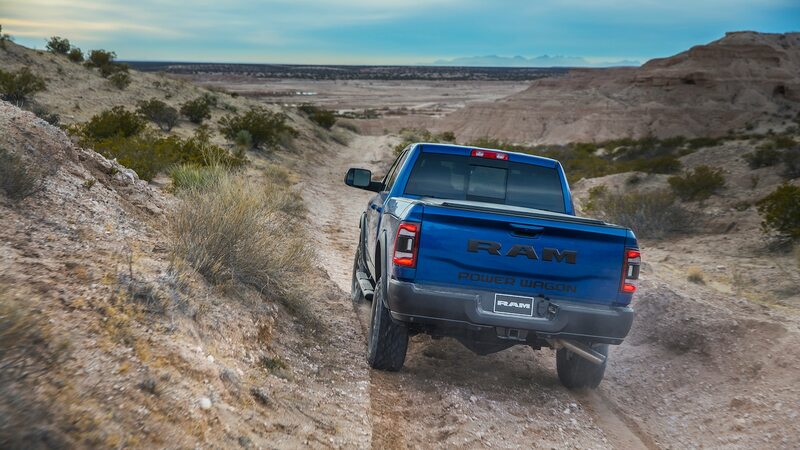 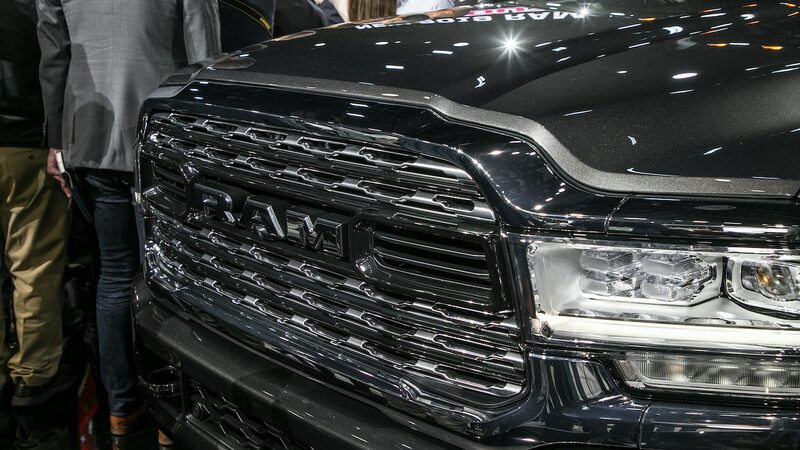 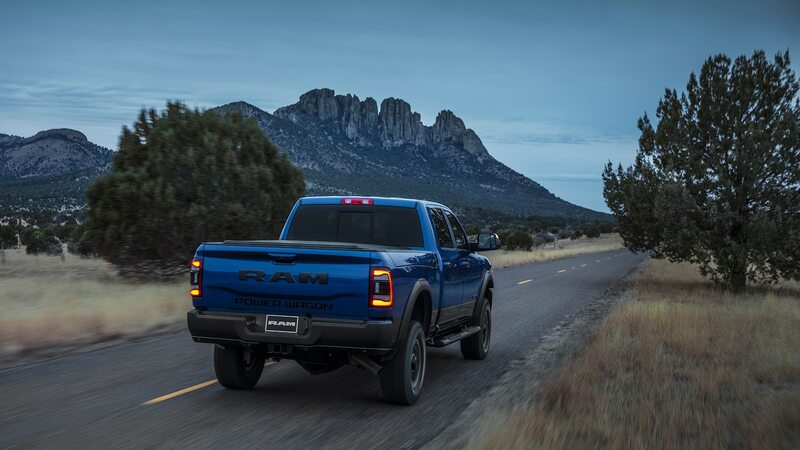 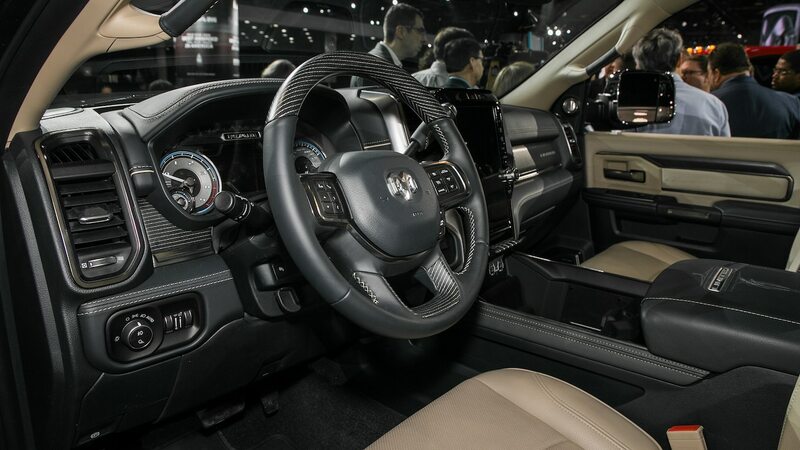 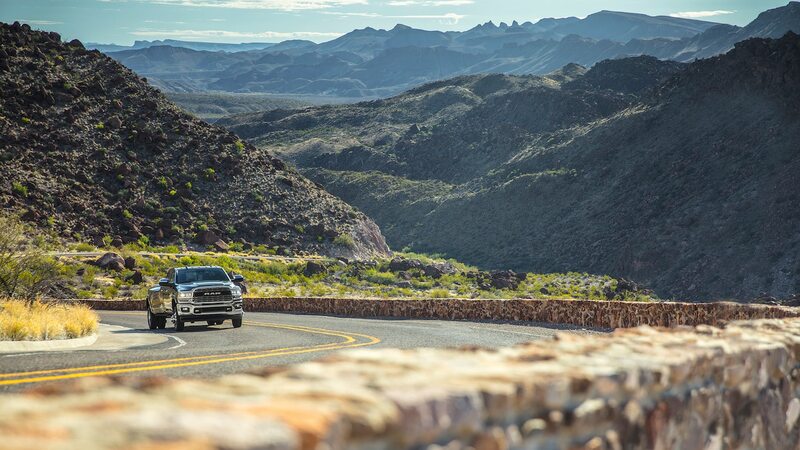 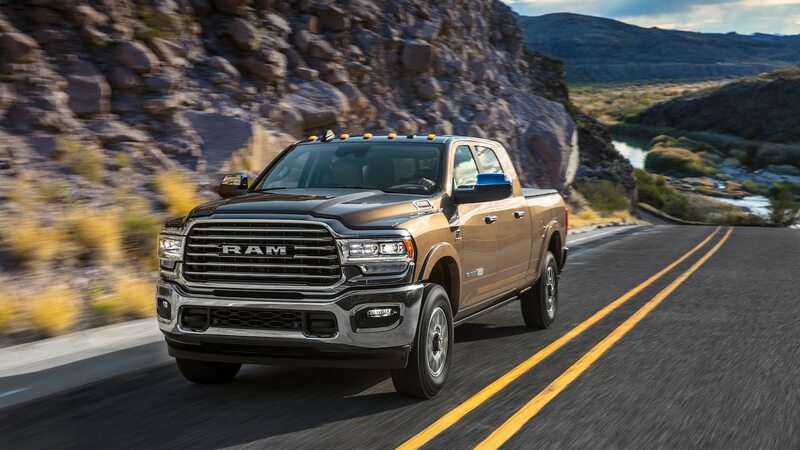 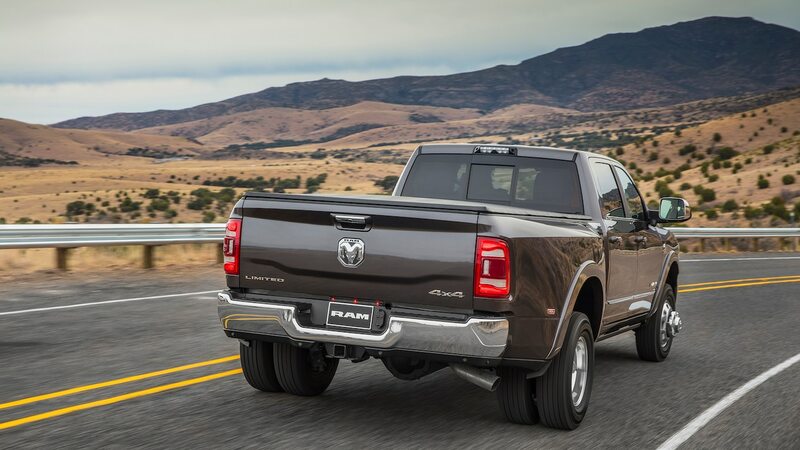 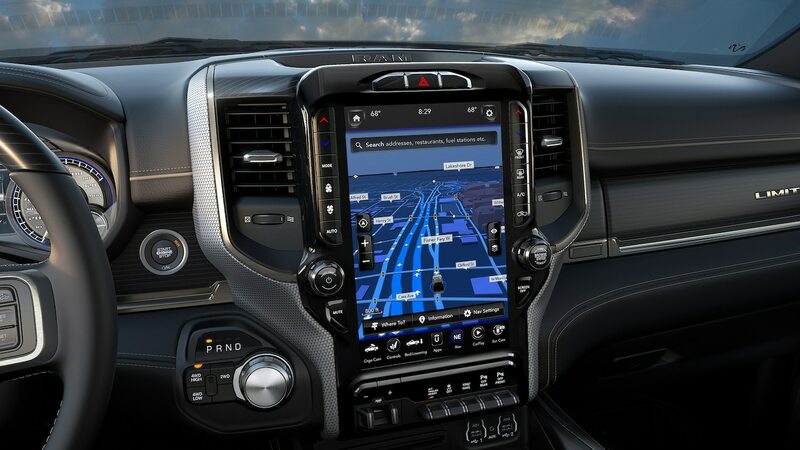 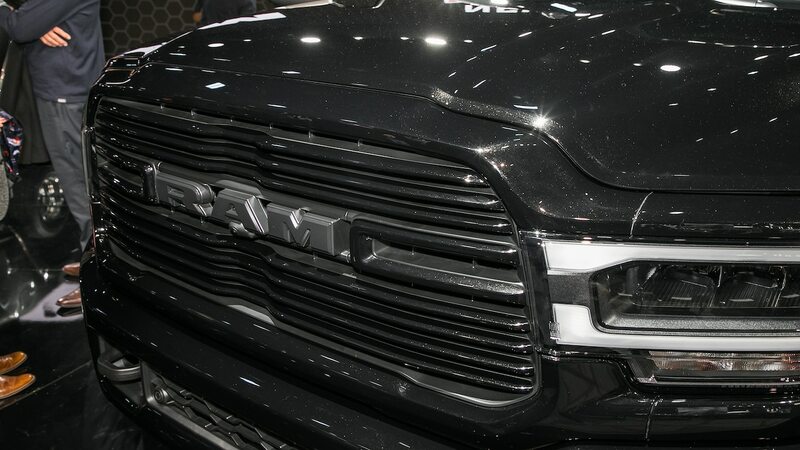 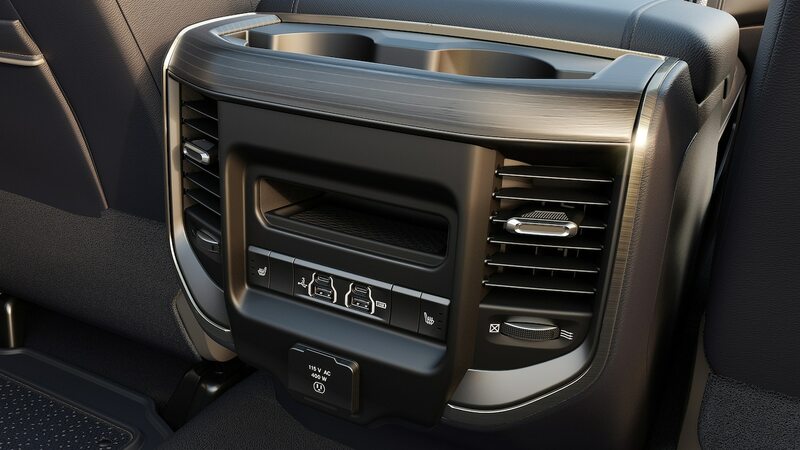 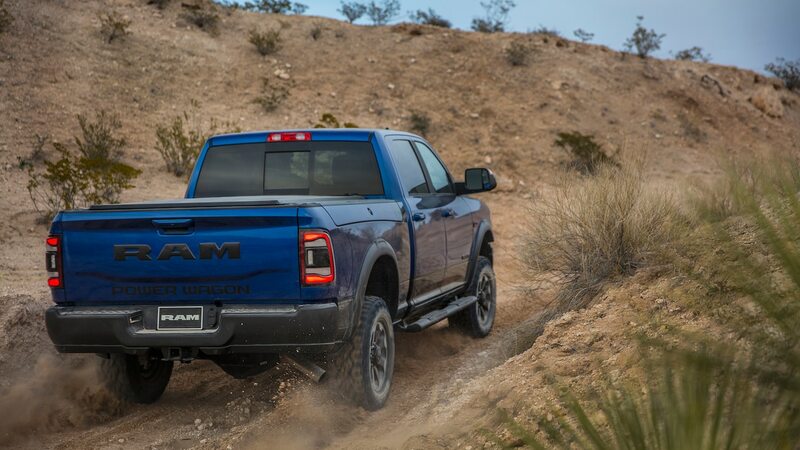 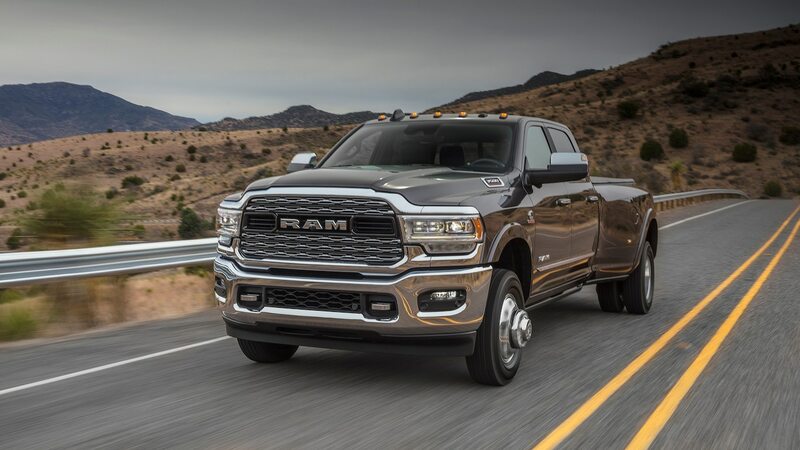 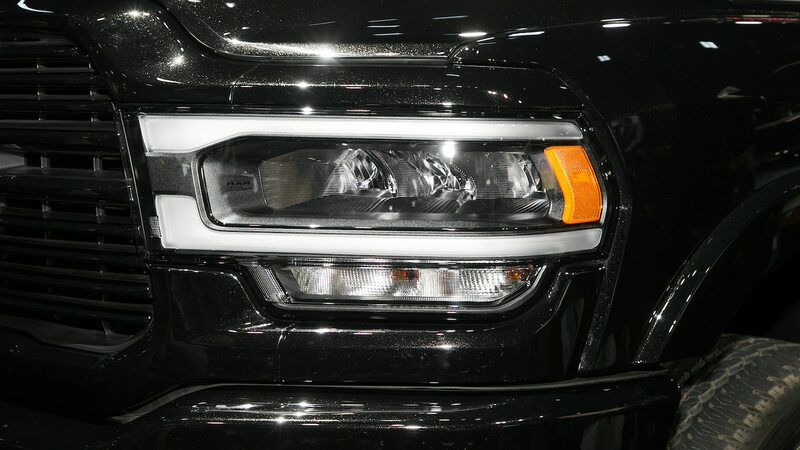 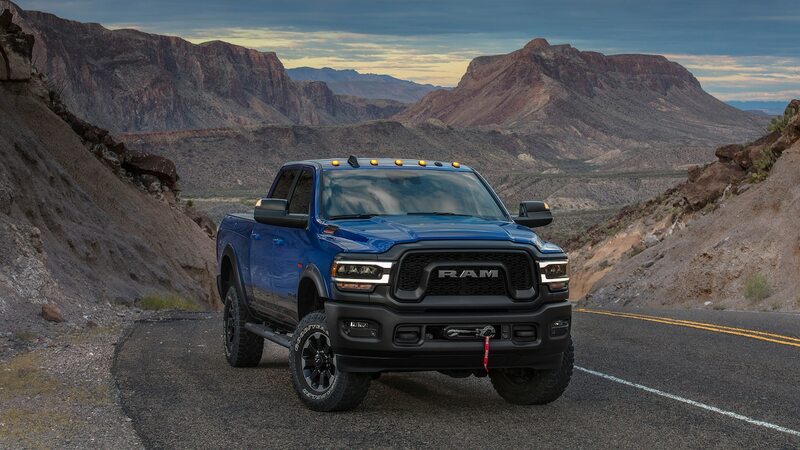 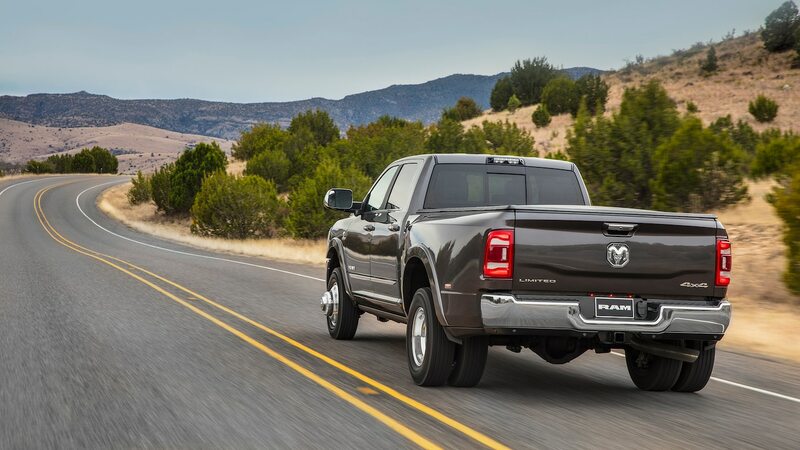 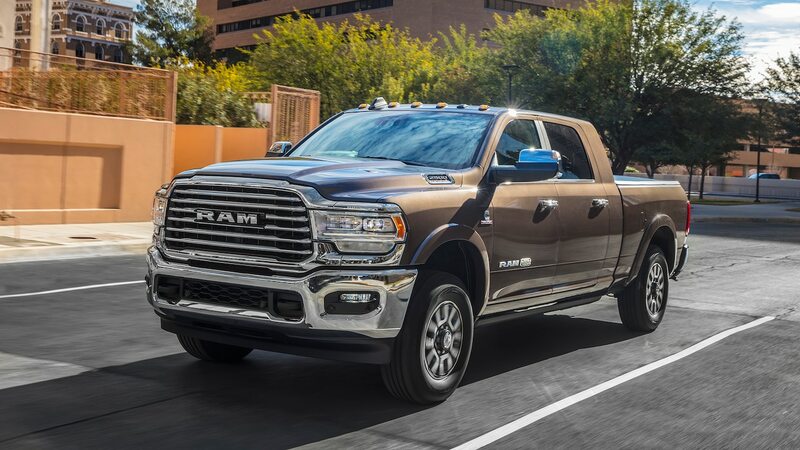 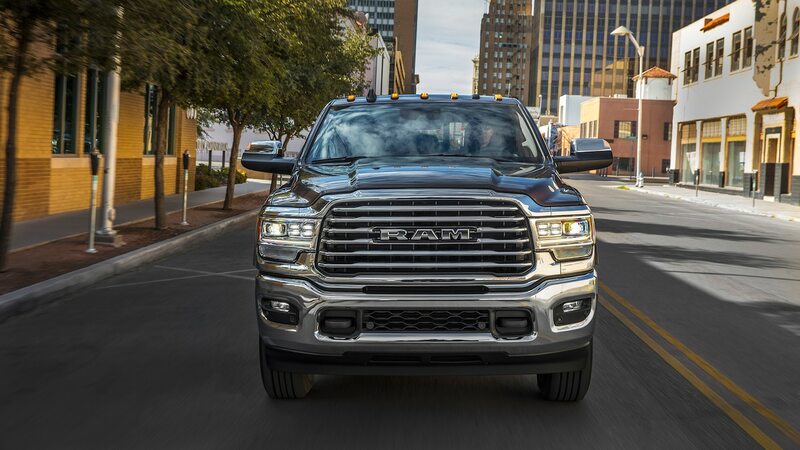 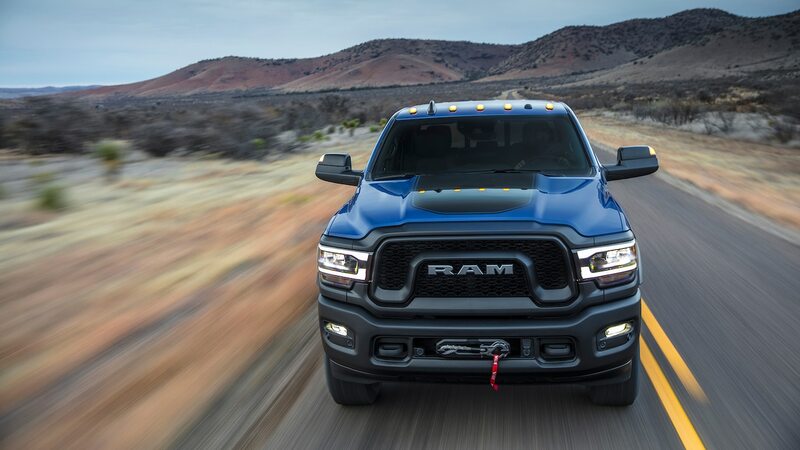 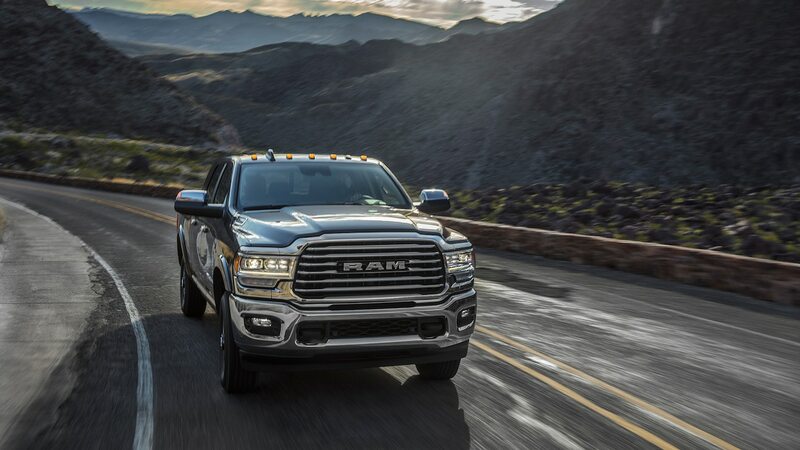 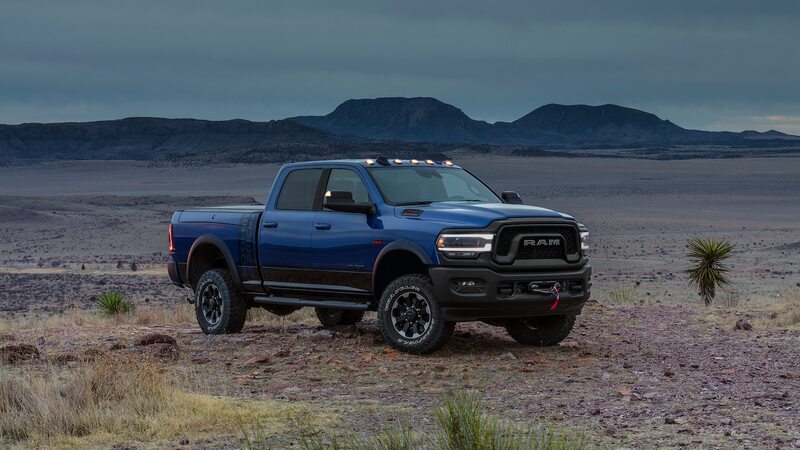 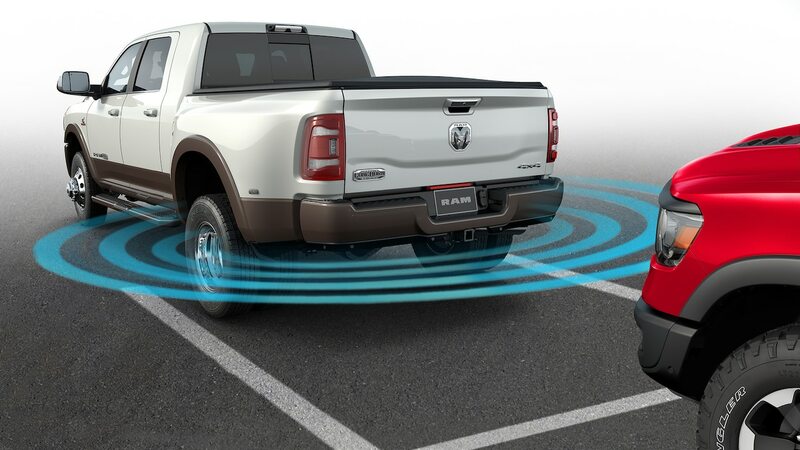 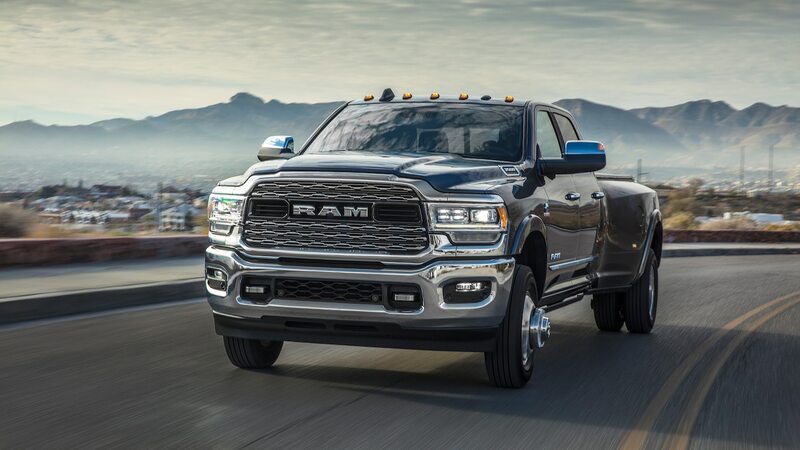 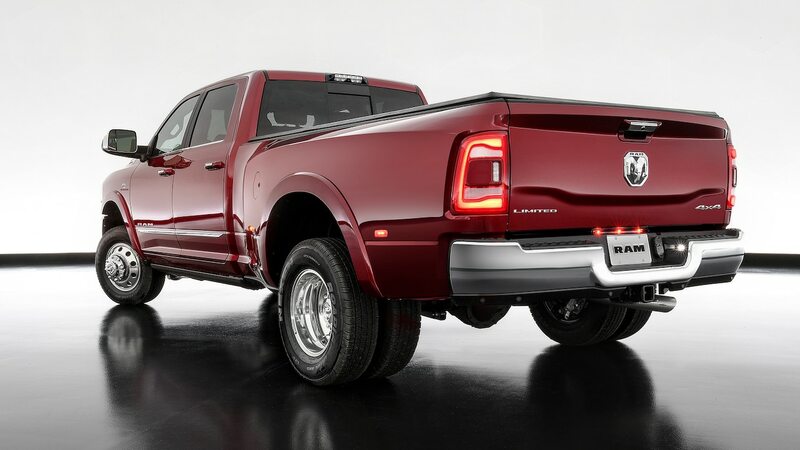 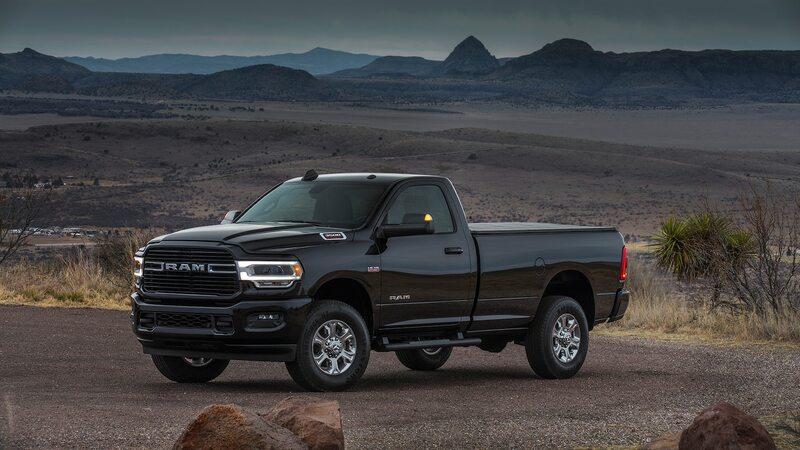 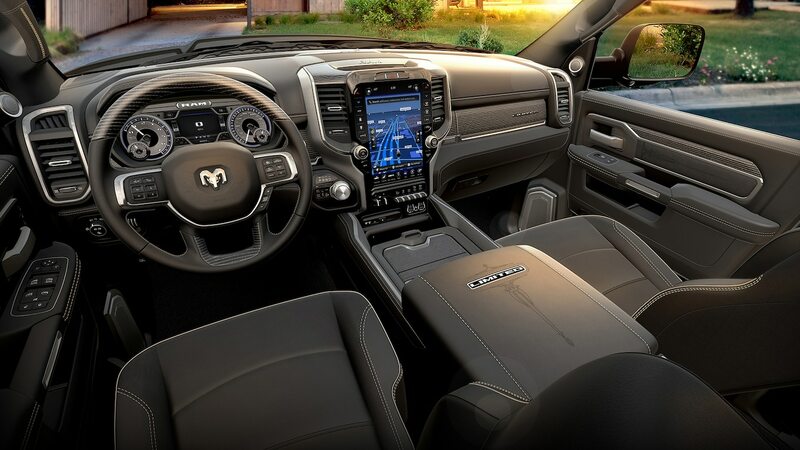 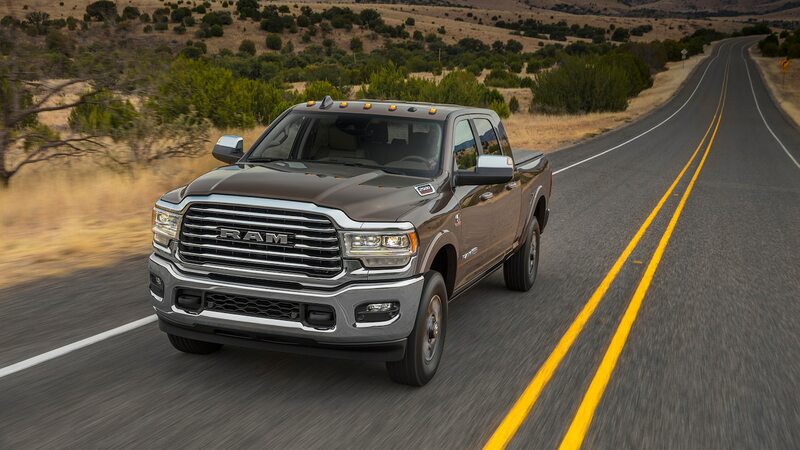 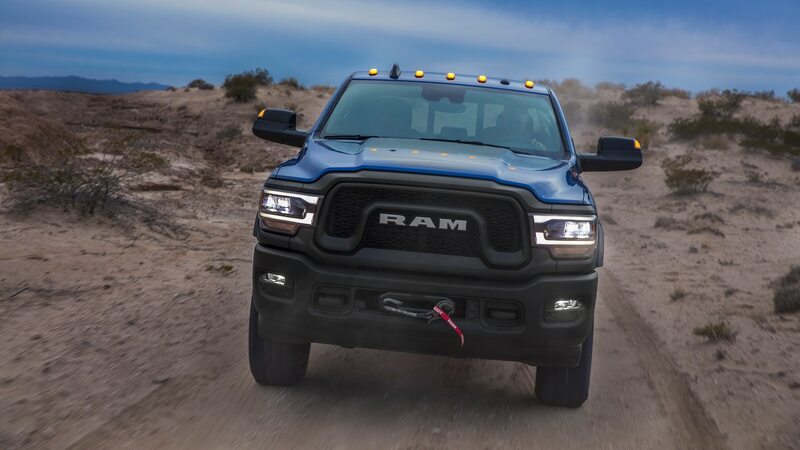 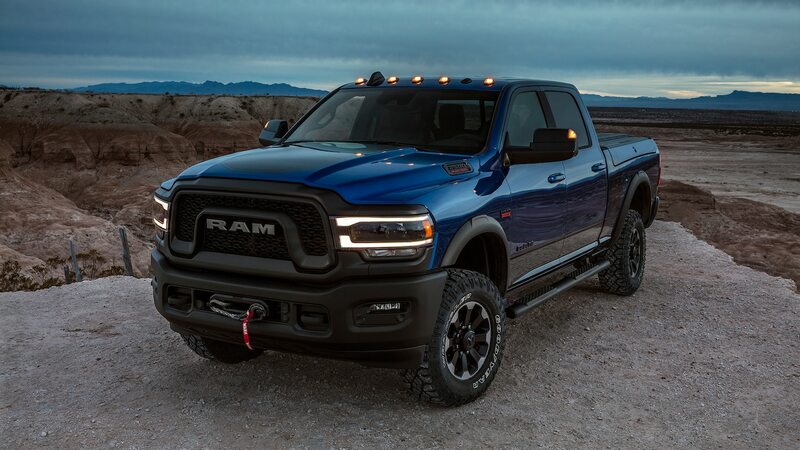 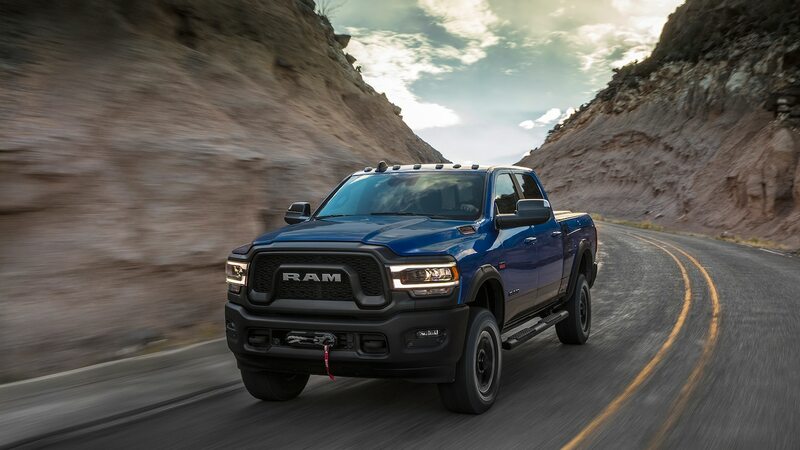 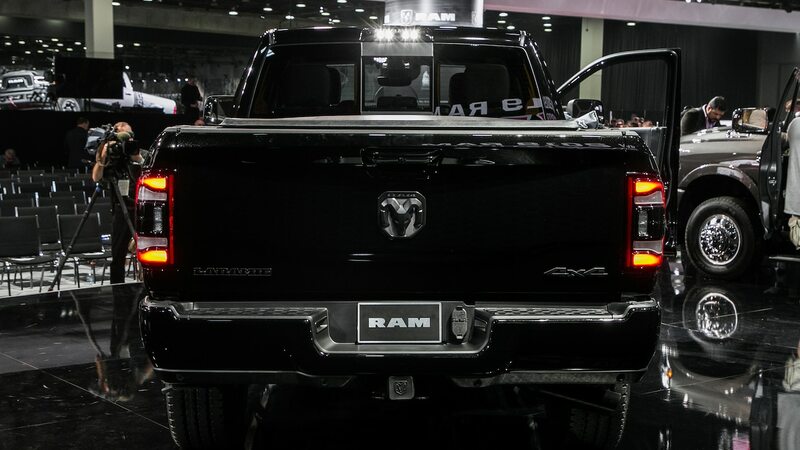 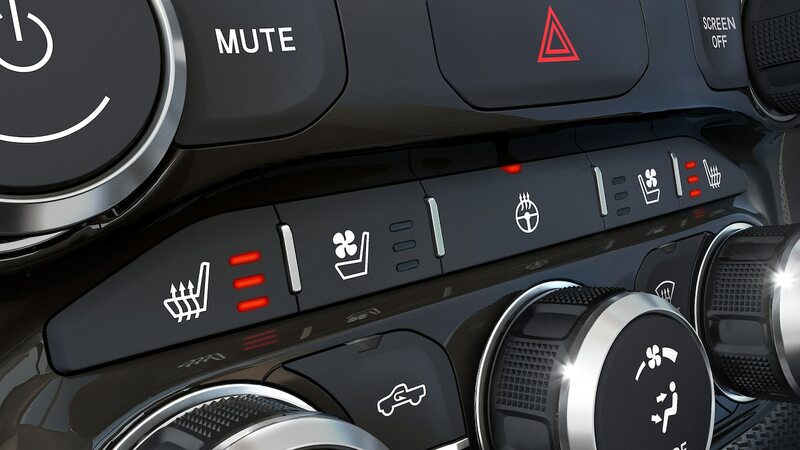 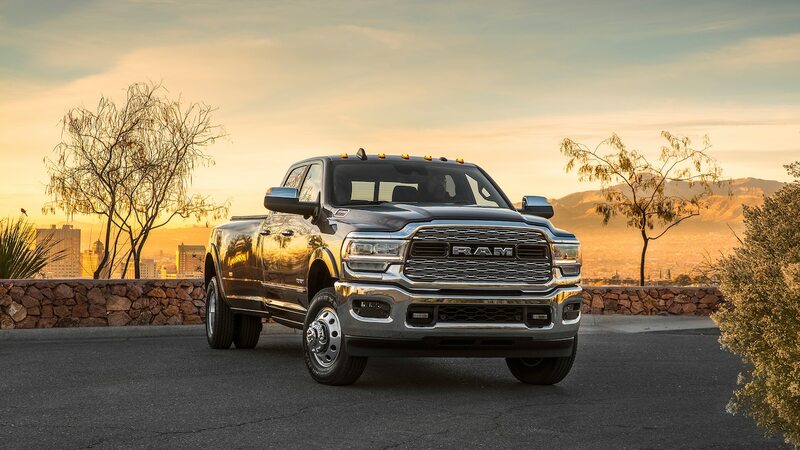 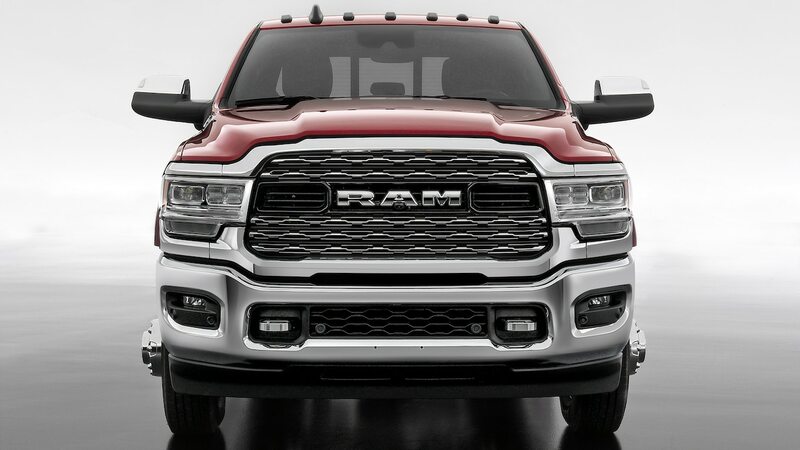 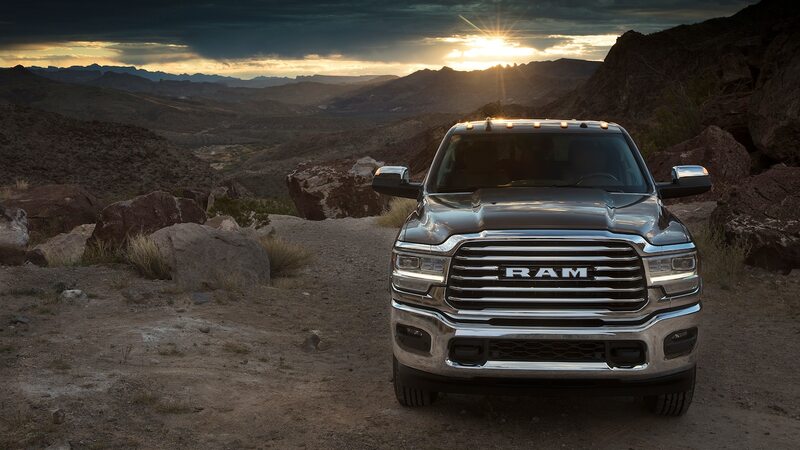 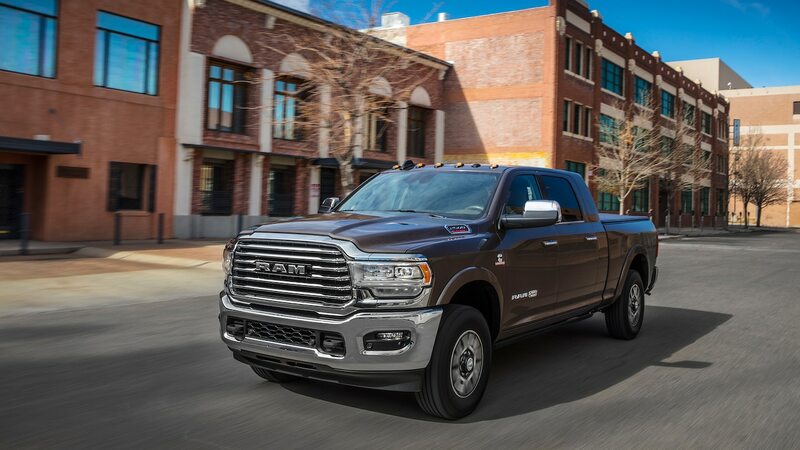 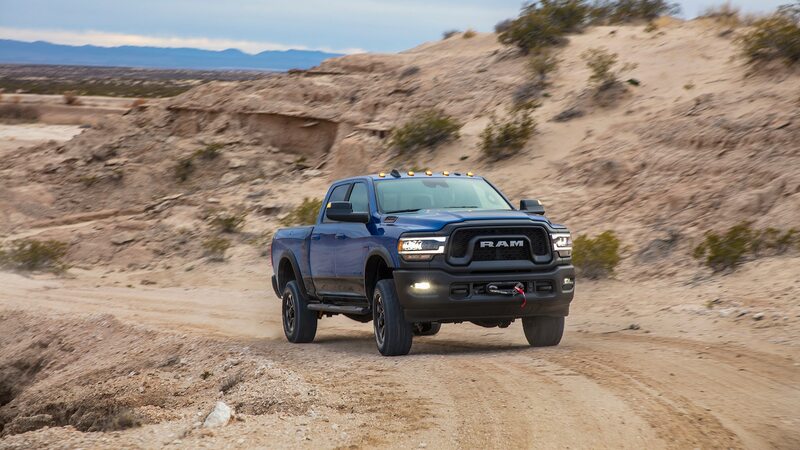 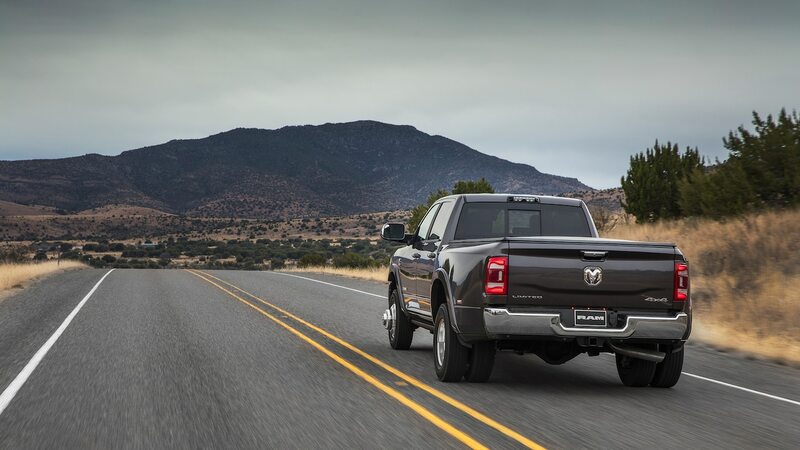 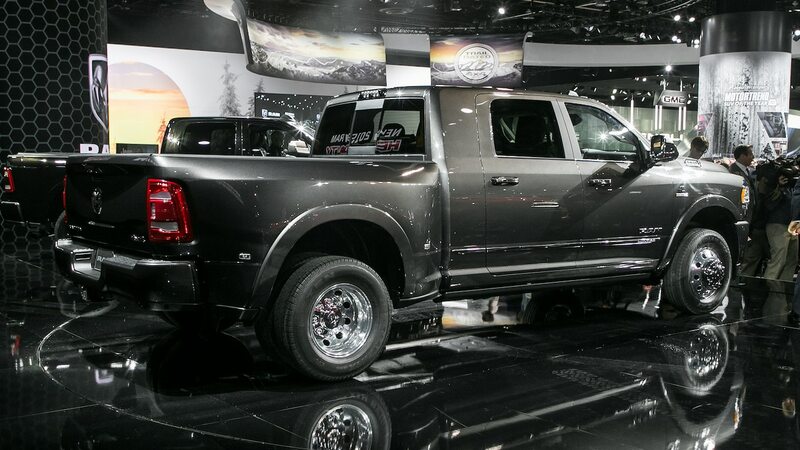 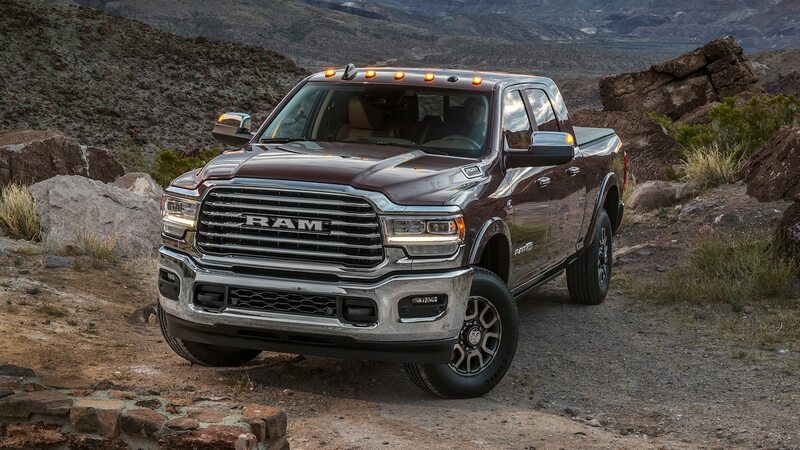 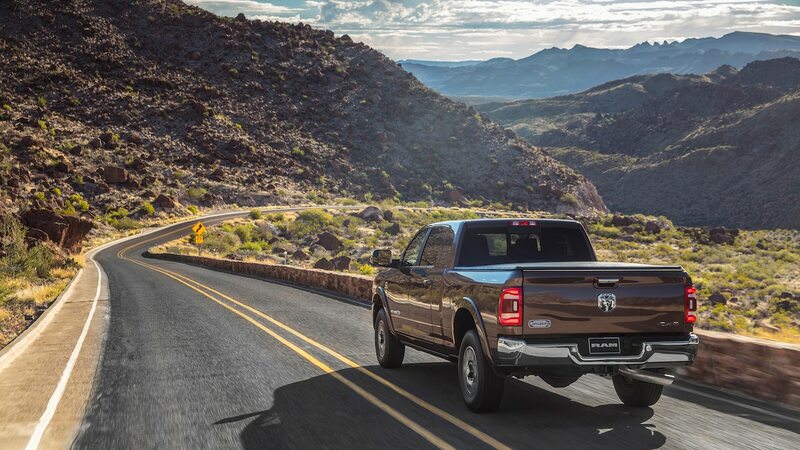 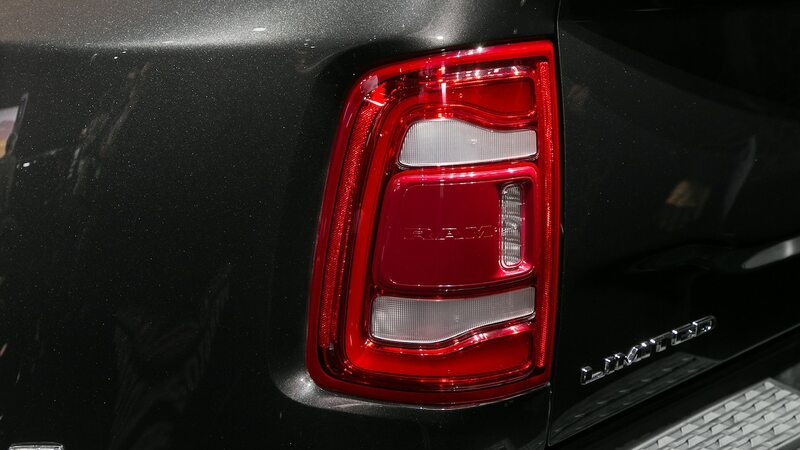 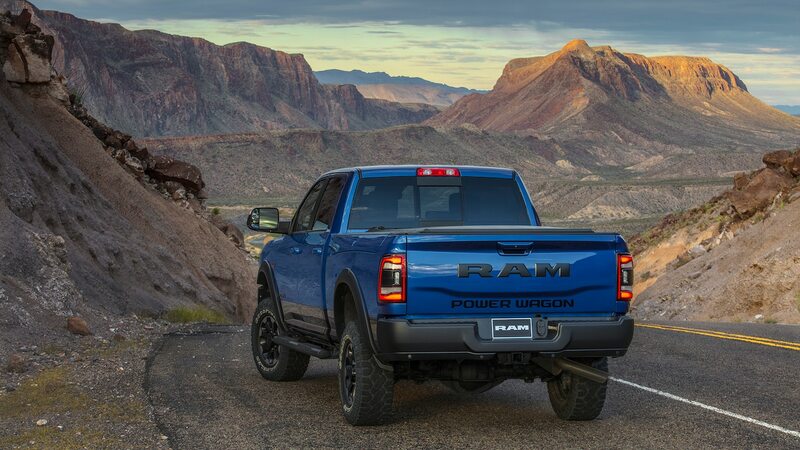 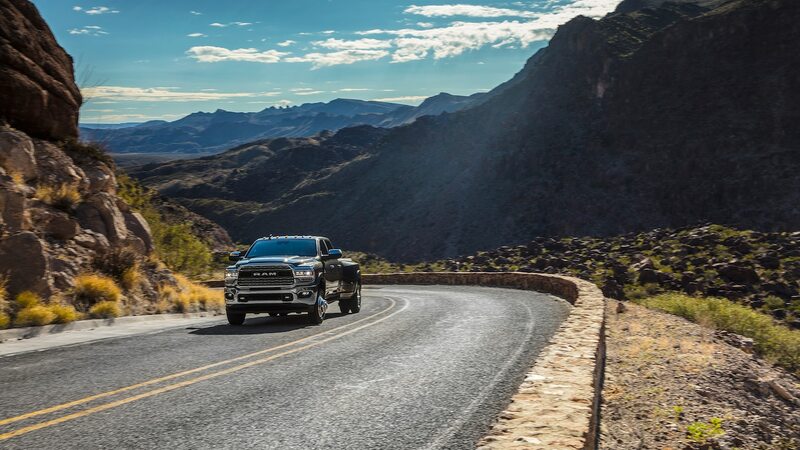 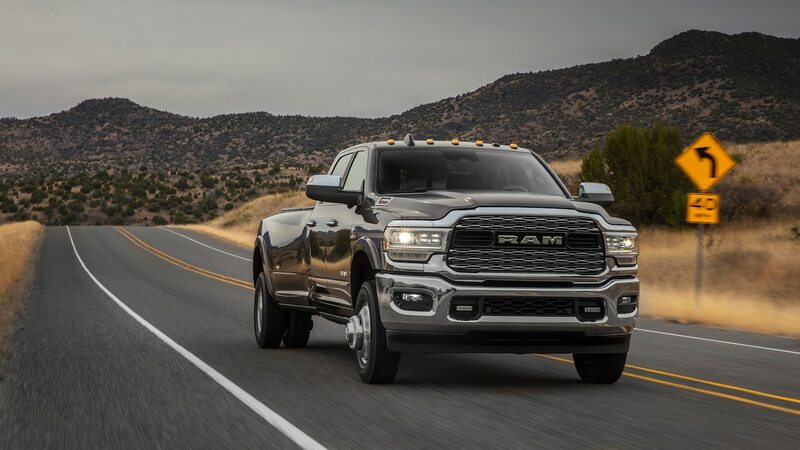 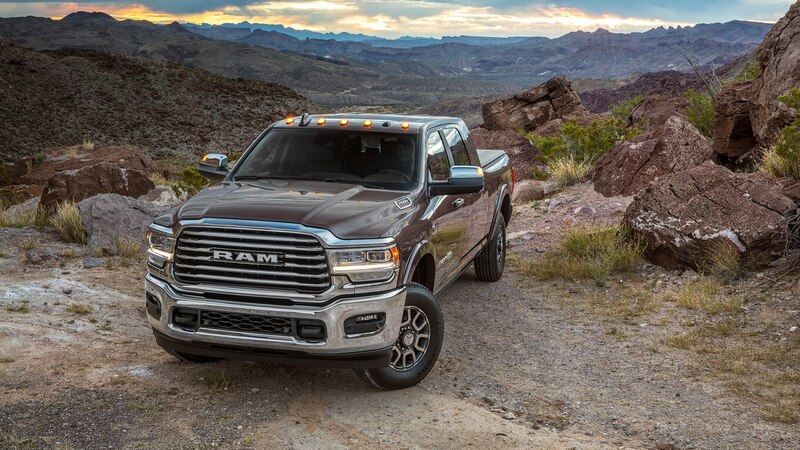 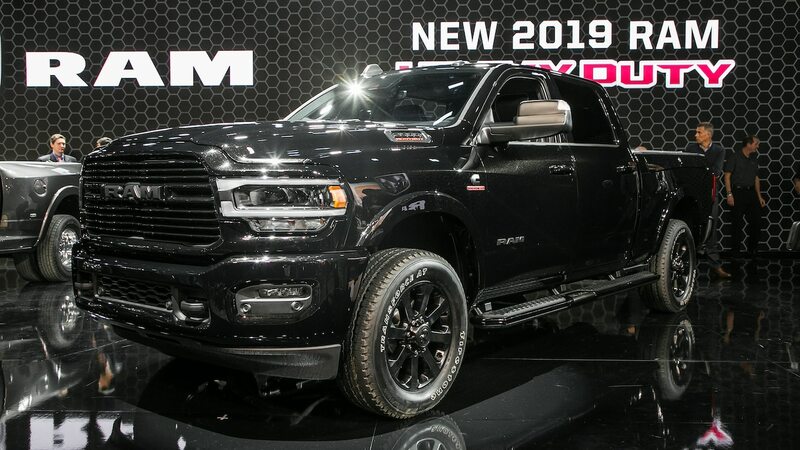 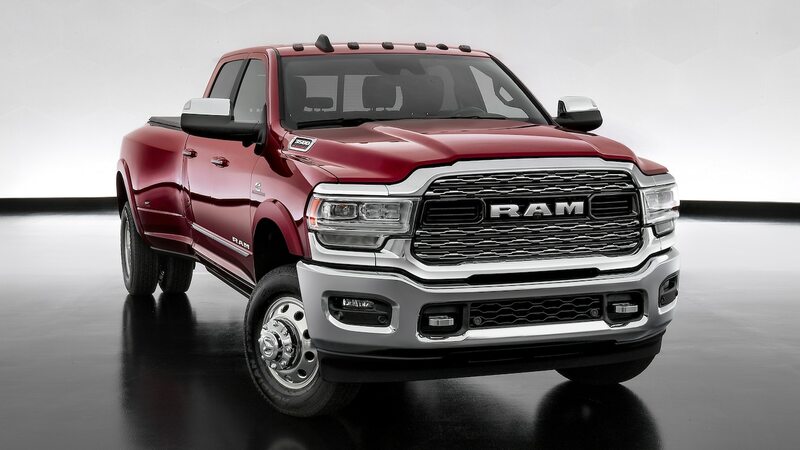 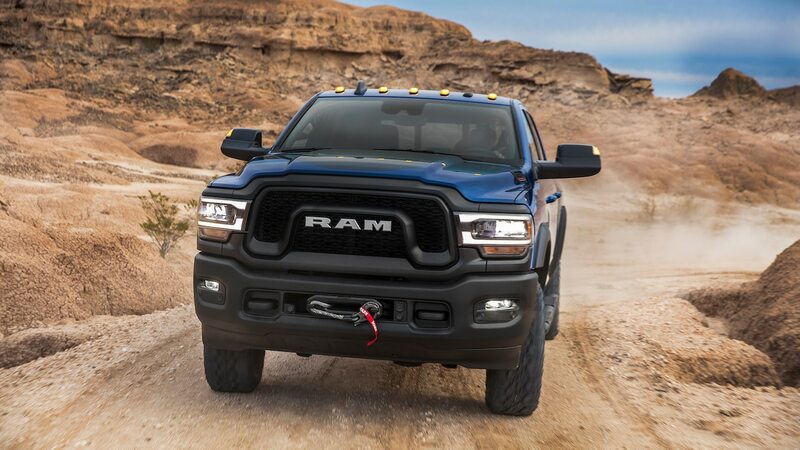 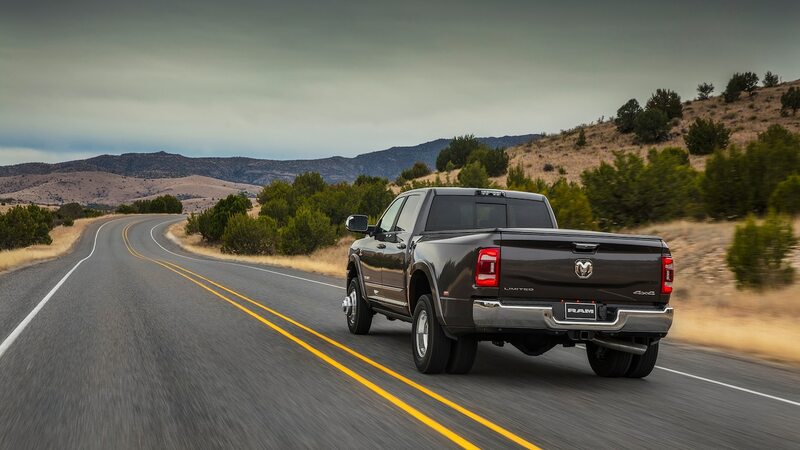 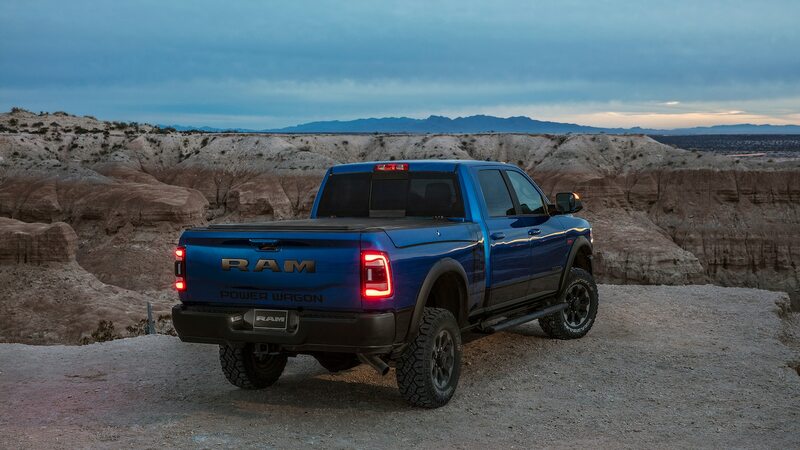 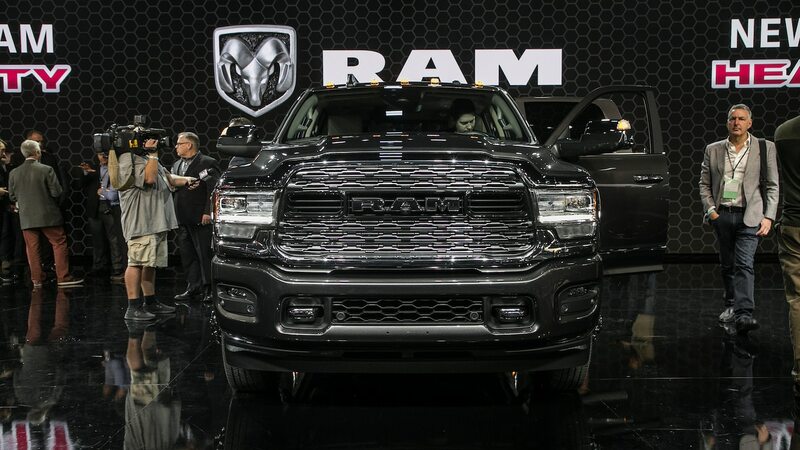 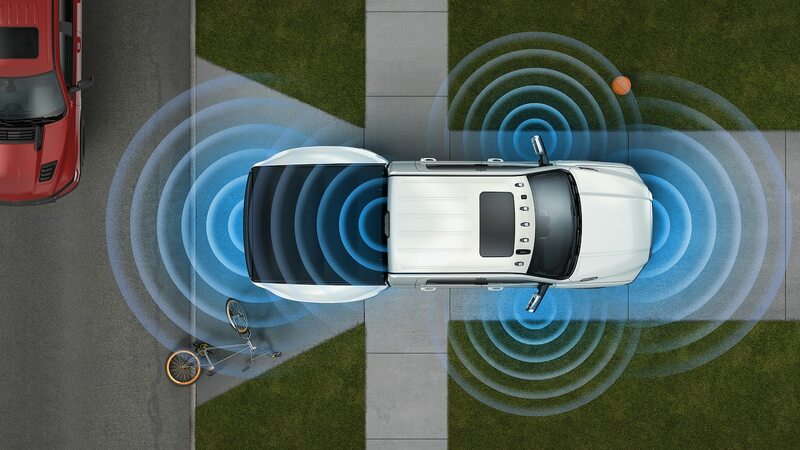 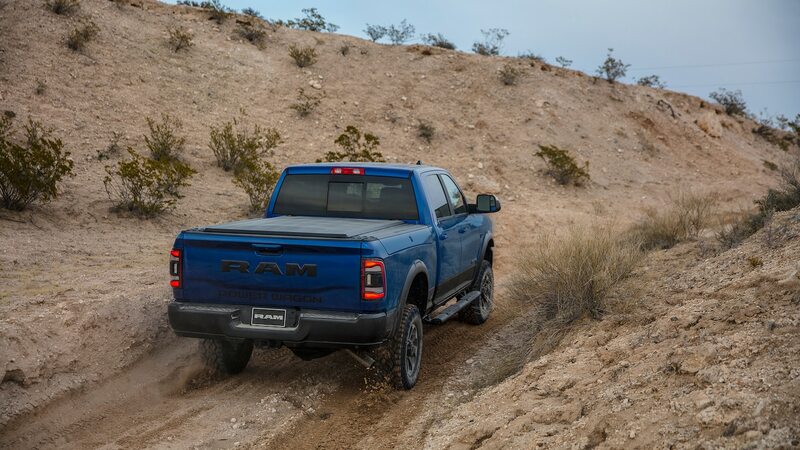 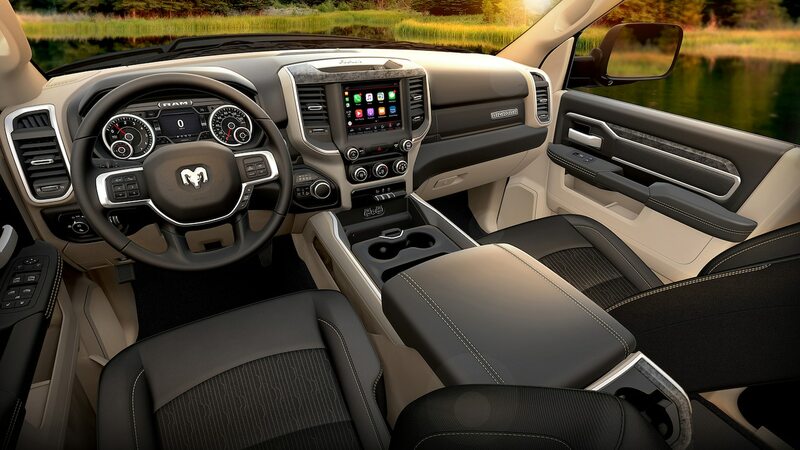 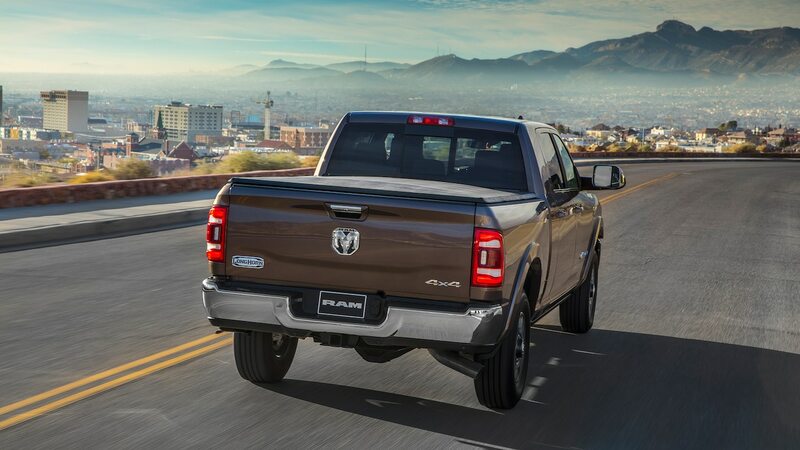 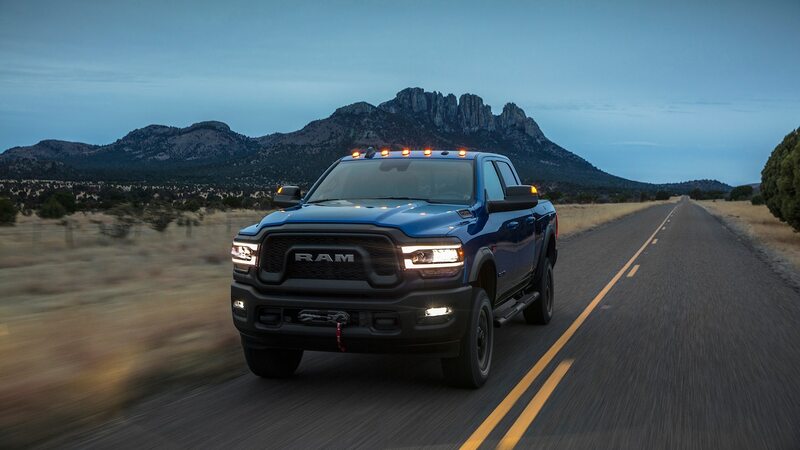 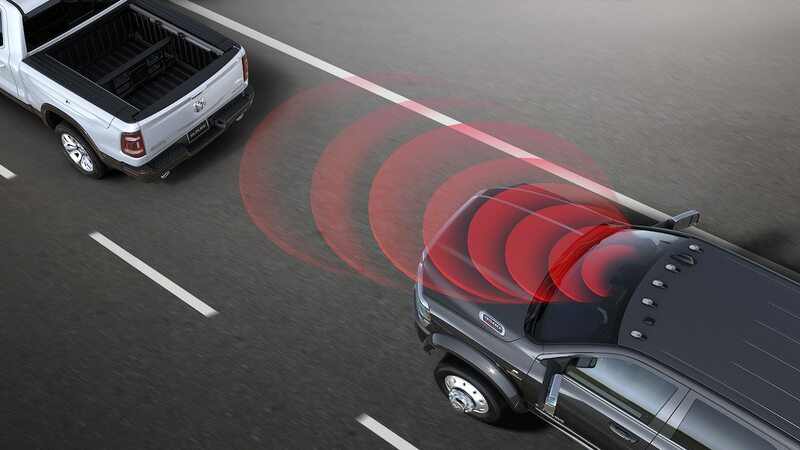 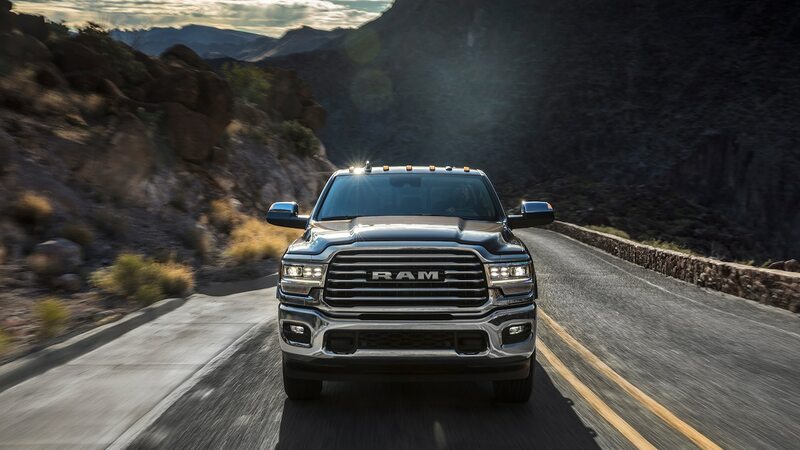 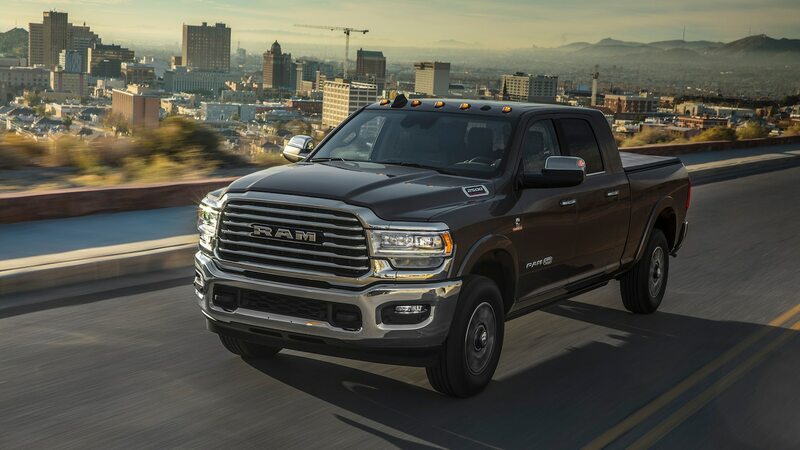 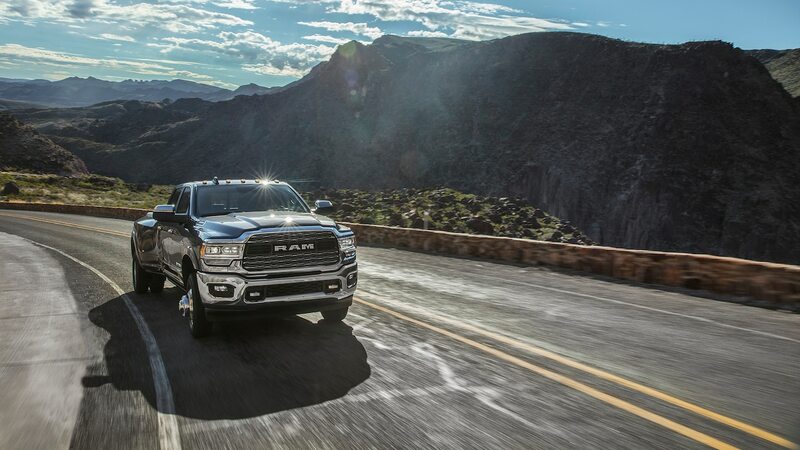 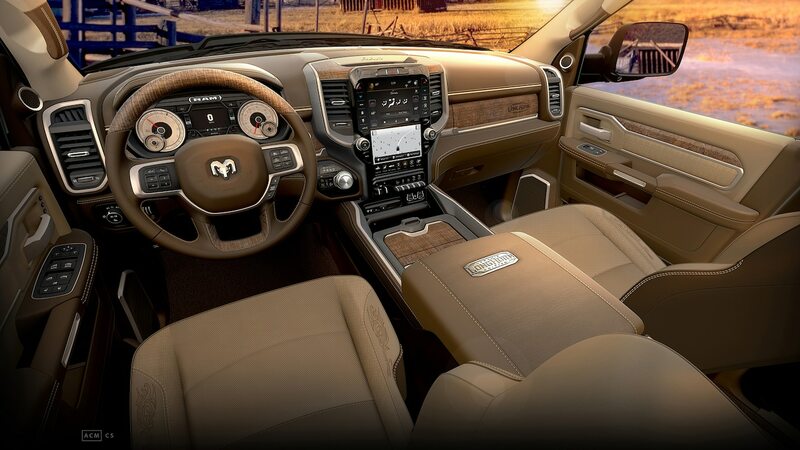 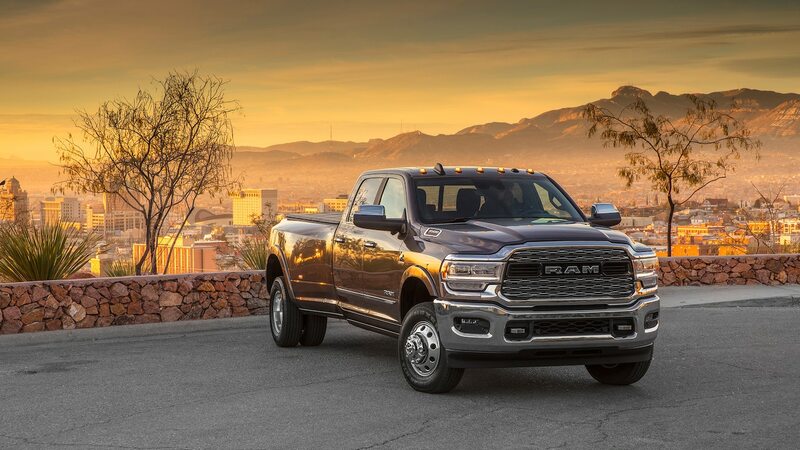 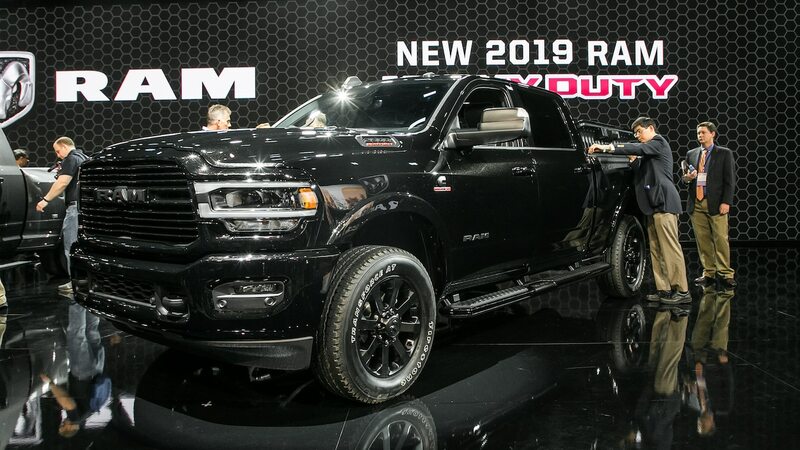 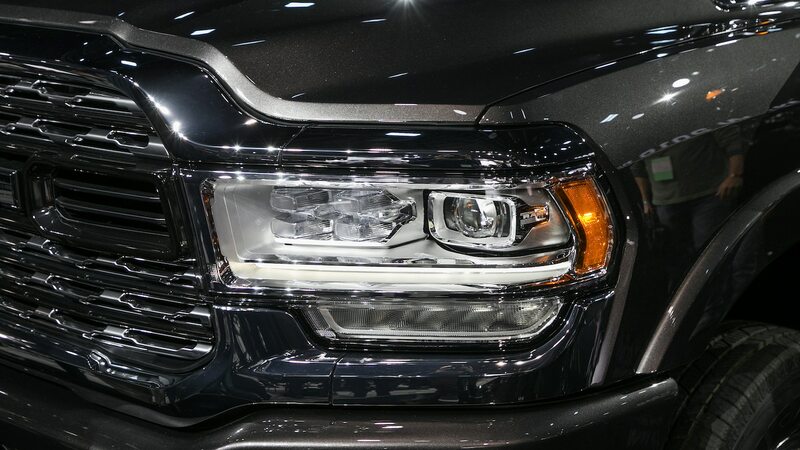 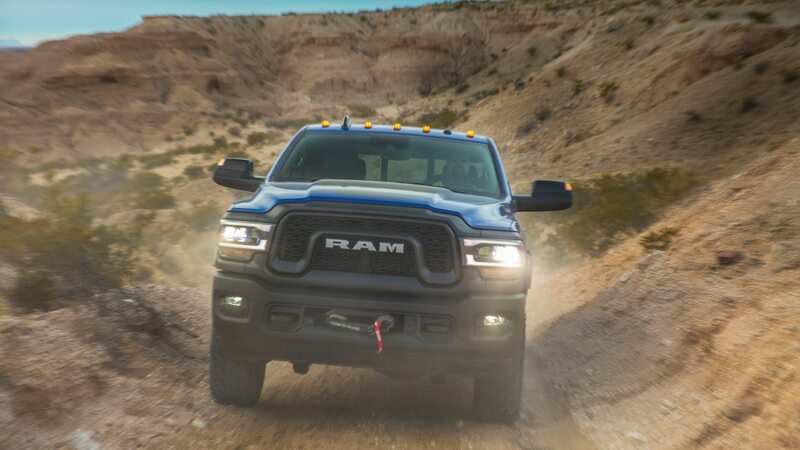 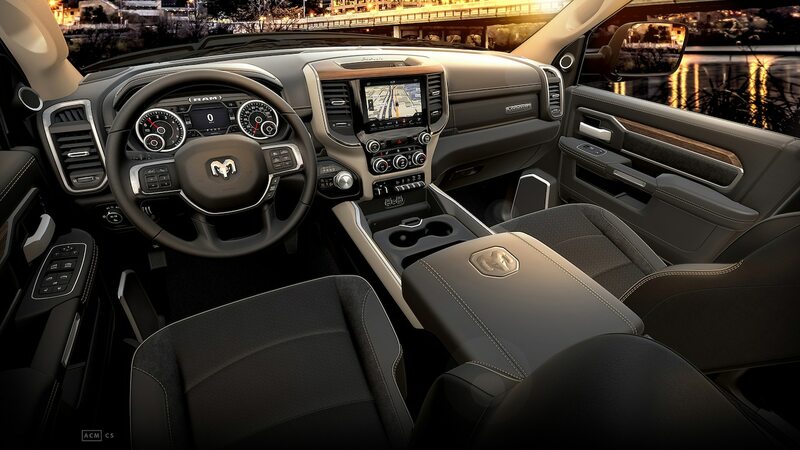 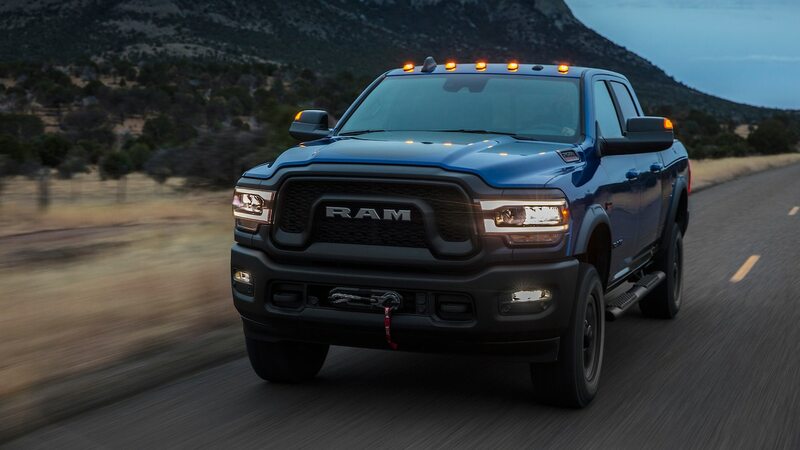 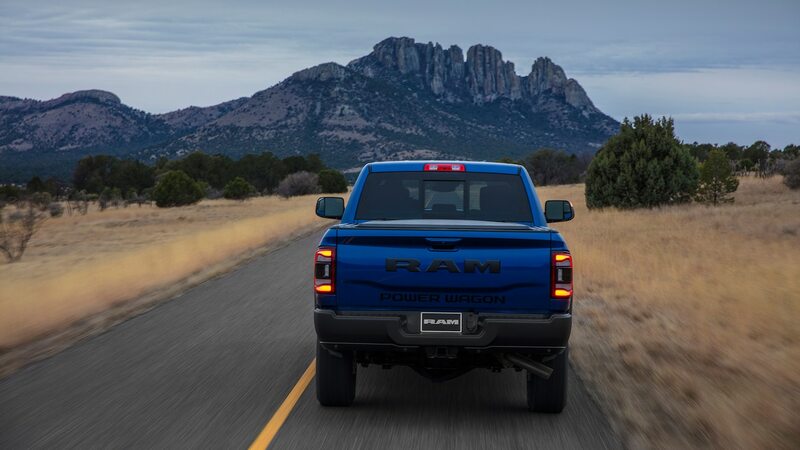 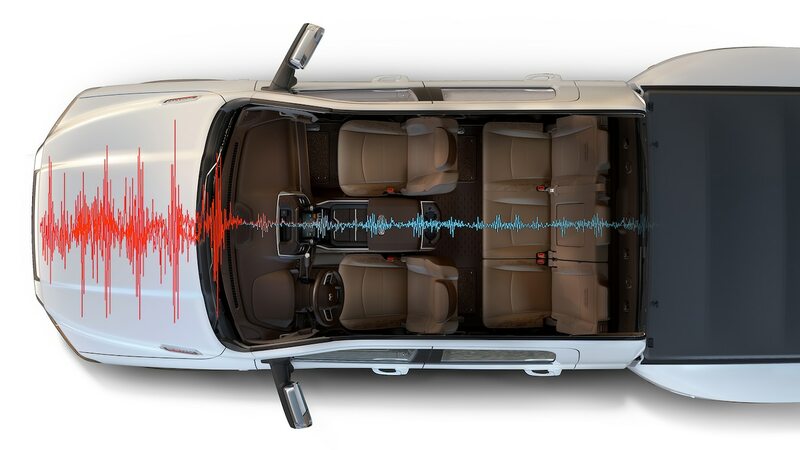 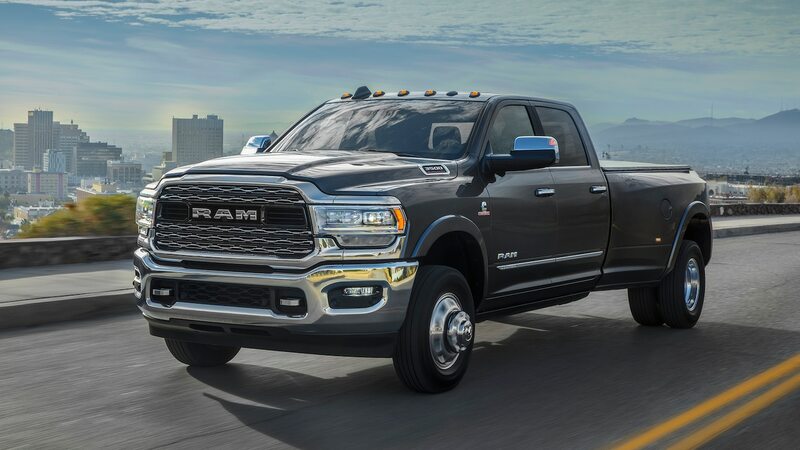 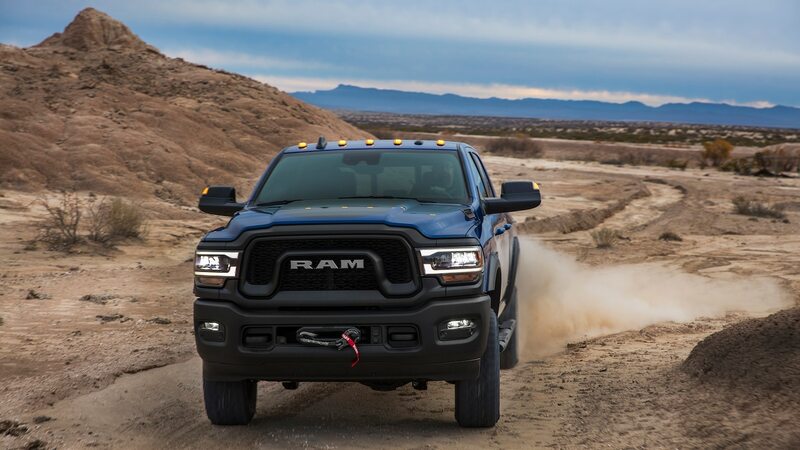 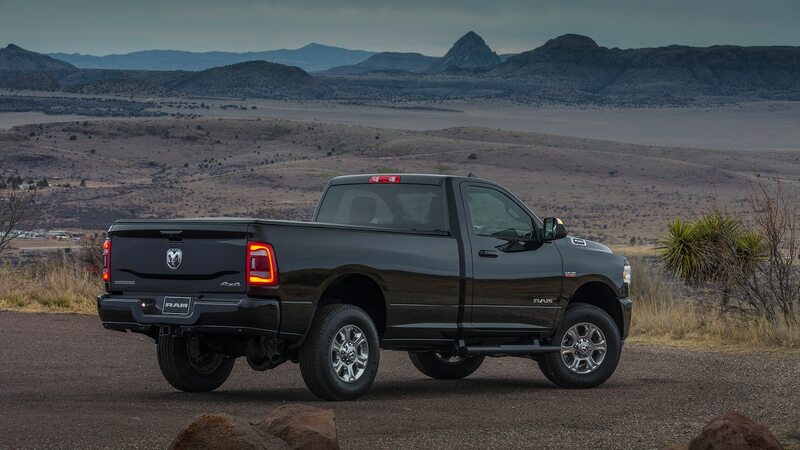 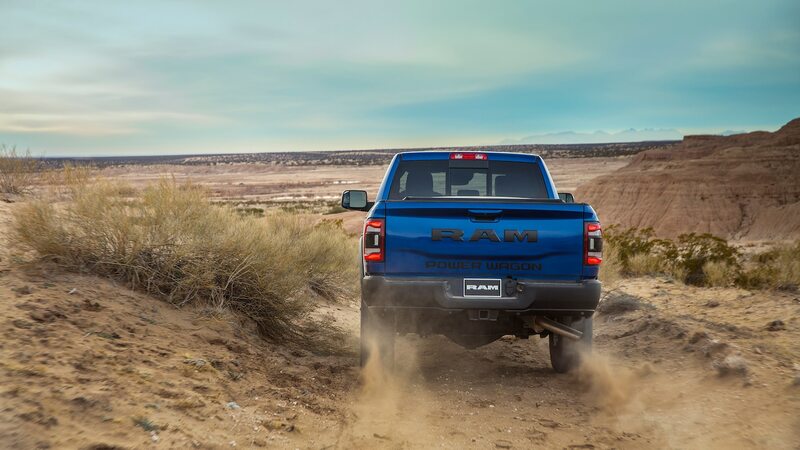 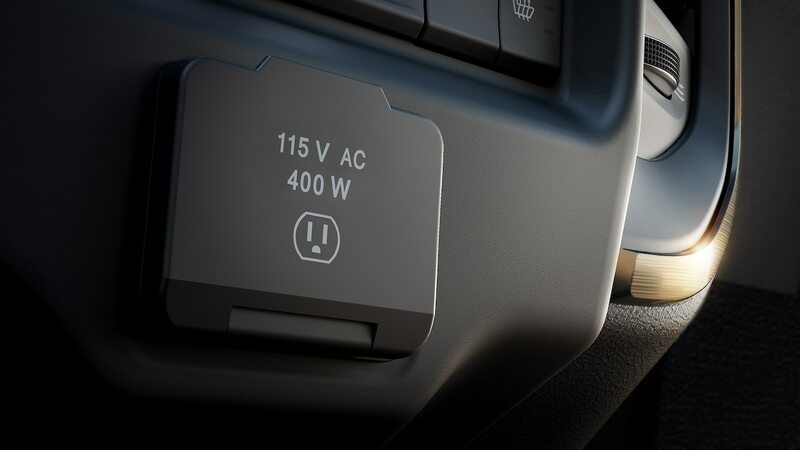 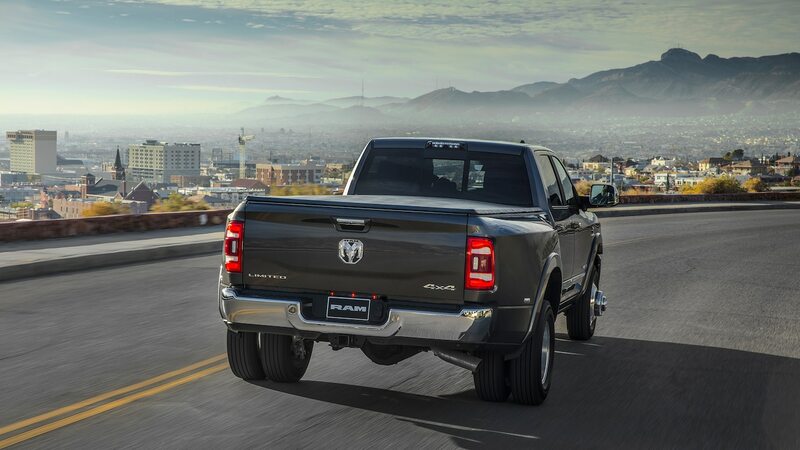 Combined with a claimed class-leading 0.40 coefficient of drag, Ram predicts 6 percent better city and 8 to 10 percent better highway fuel economy for 2500 models regardless of engine and slightly better all-around fuel economy for 3500s.